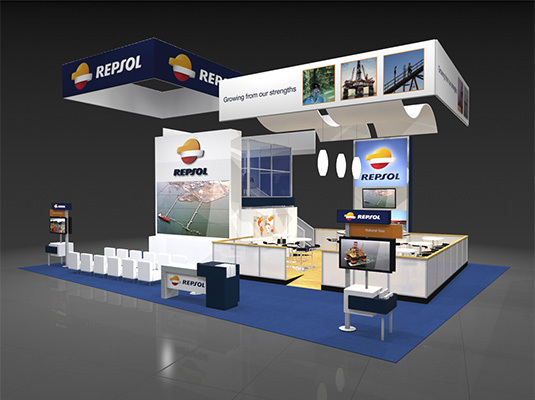 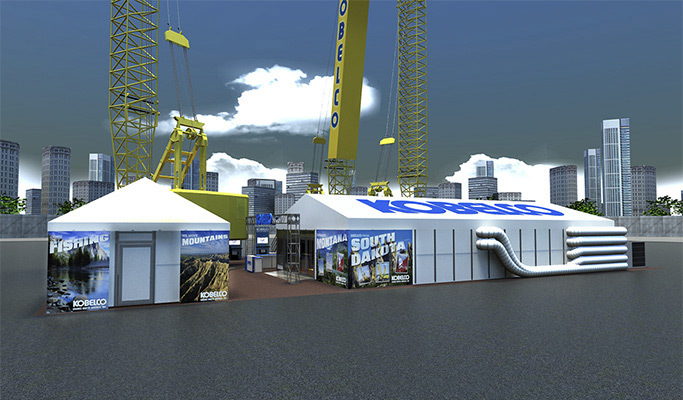 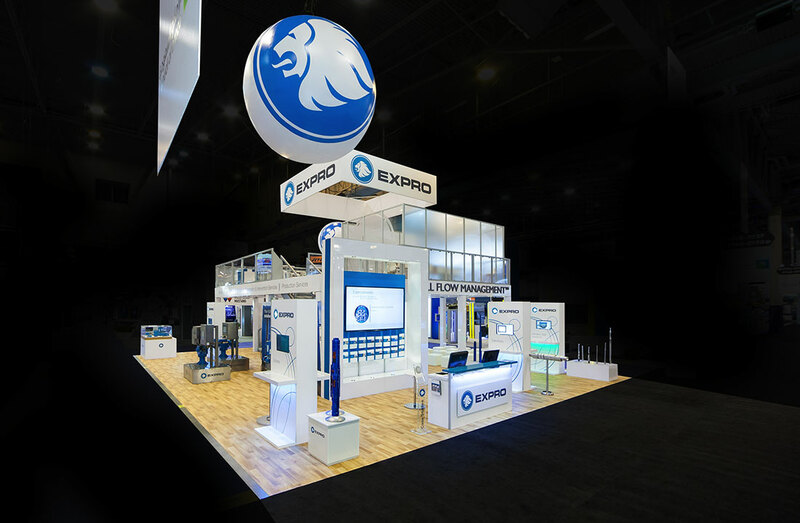 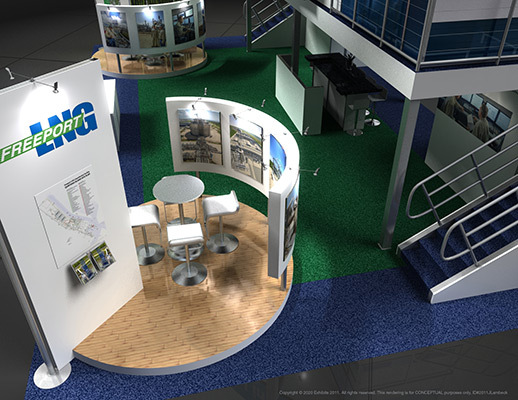 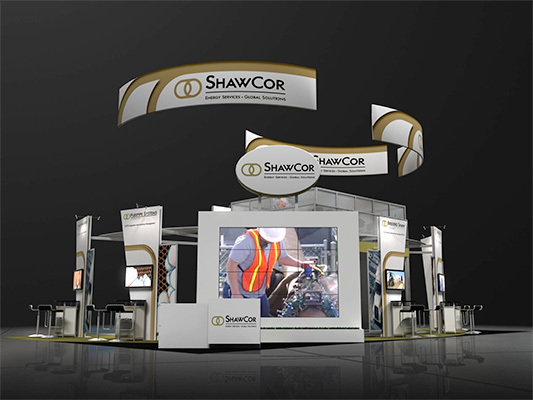 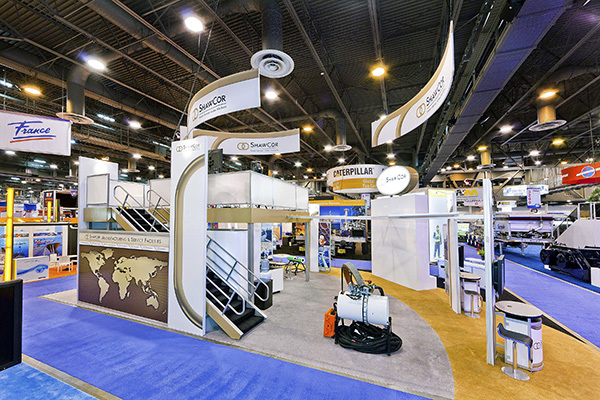 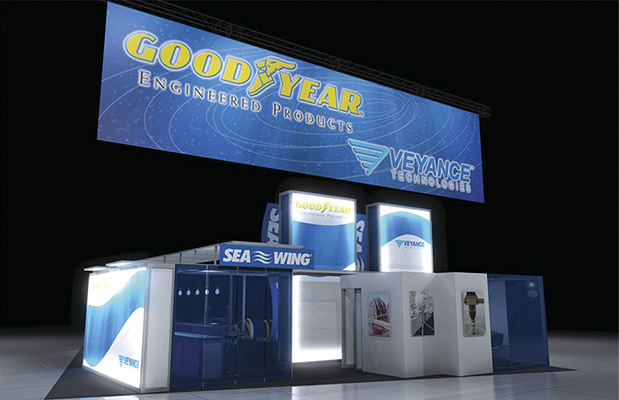 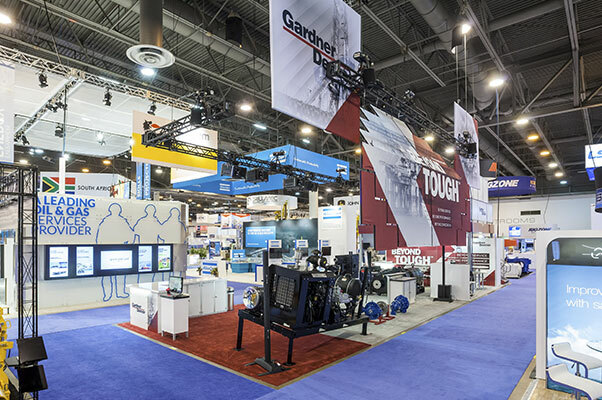 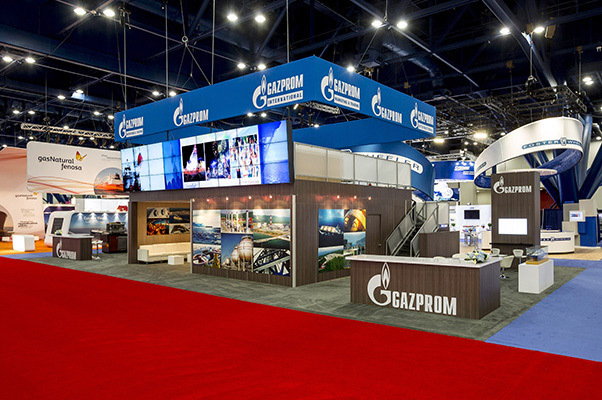 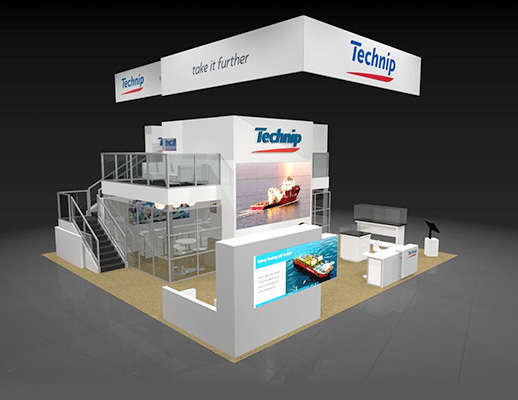 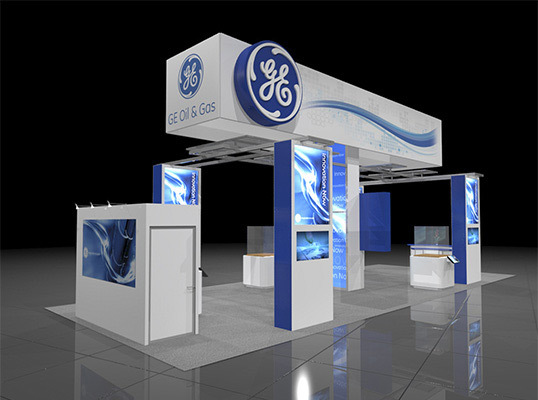 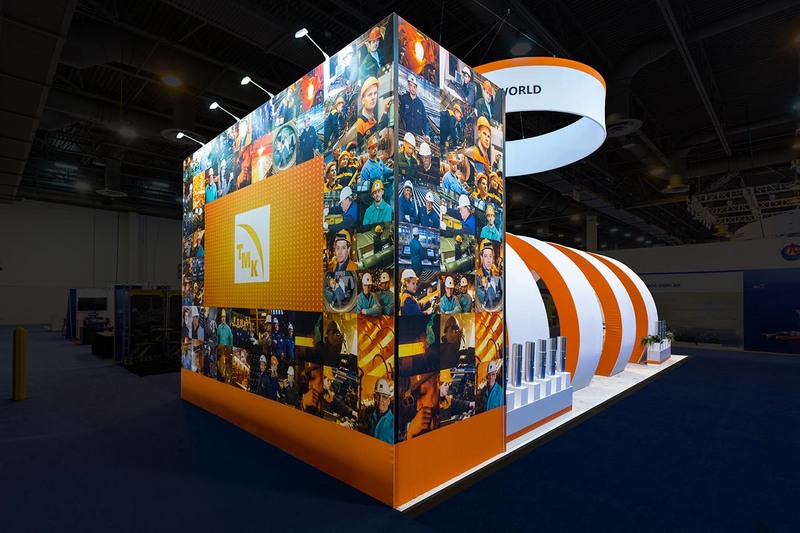 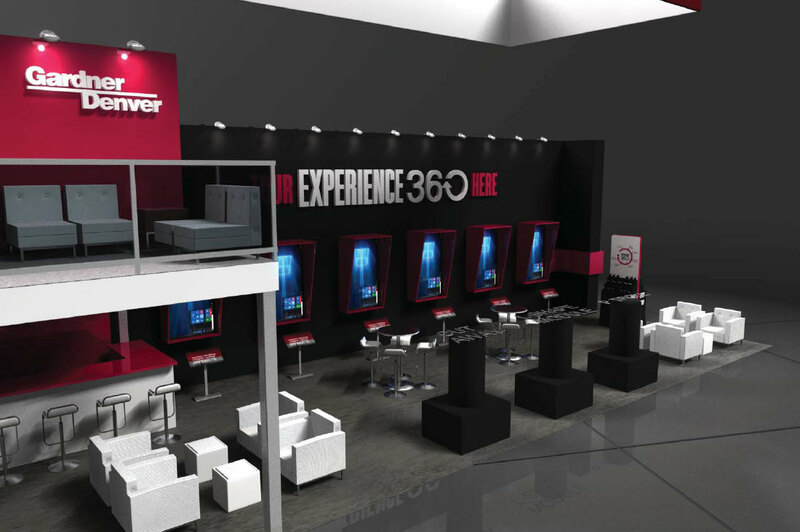 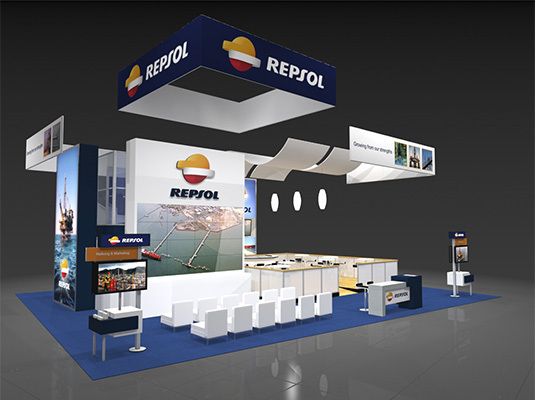 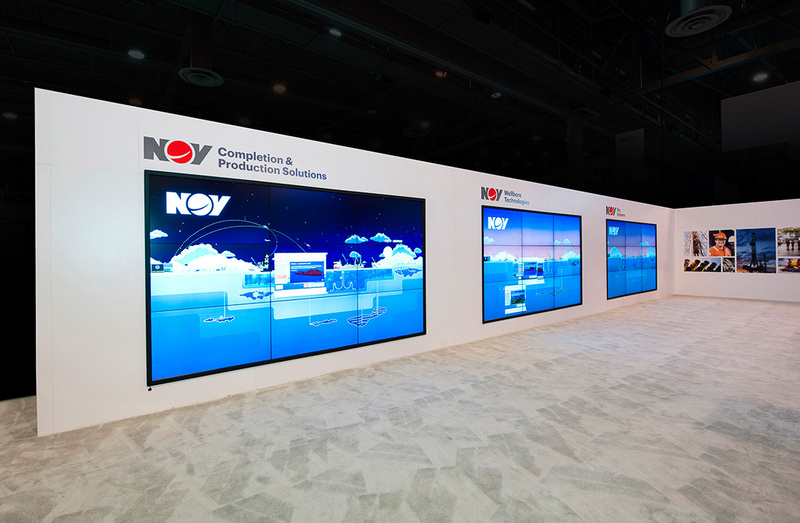 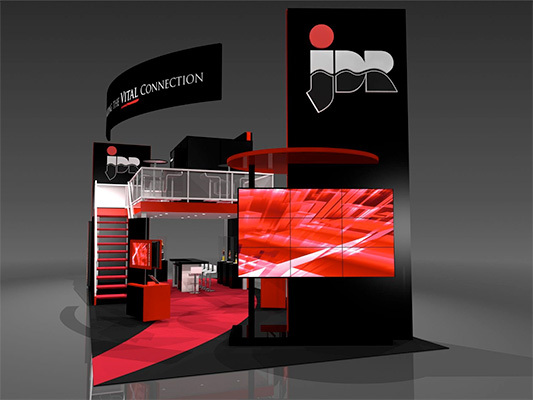 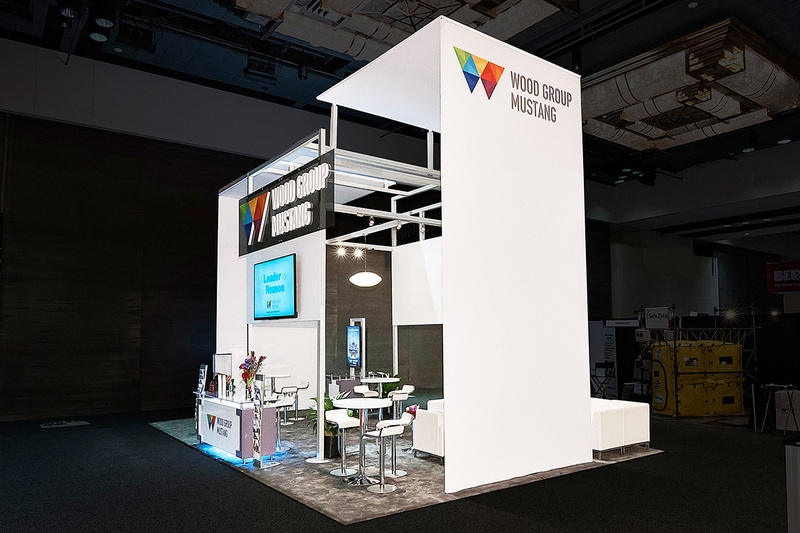 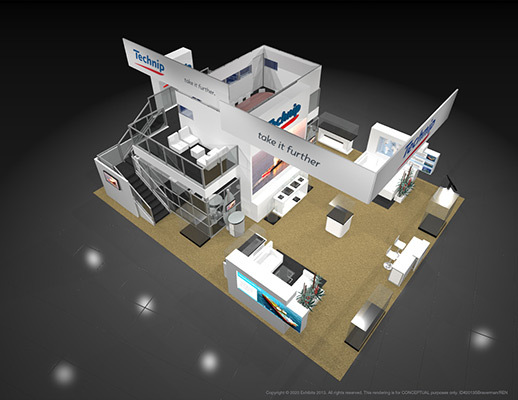 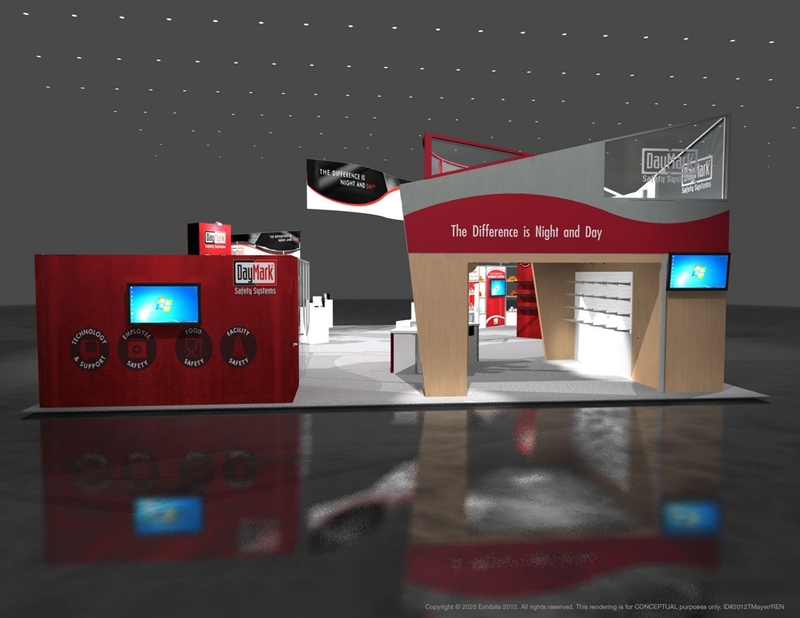 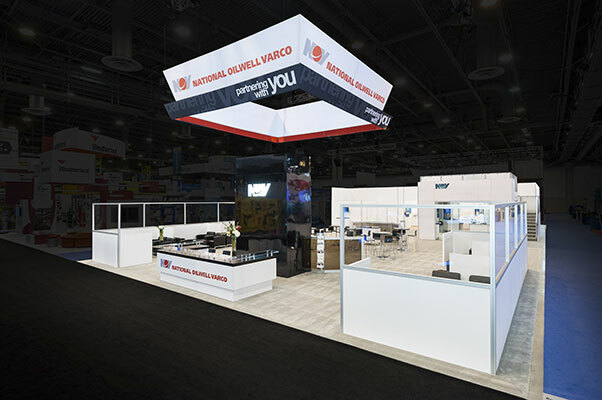 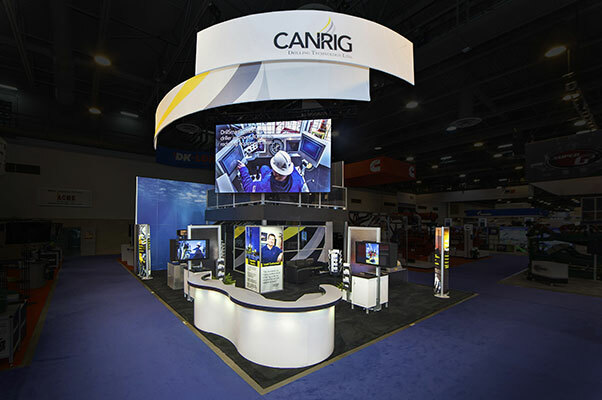 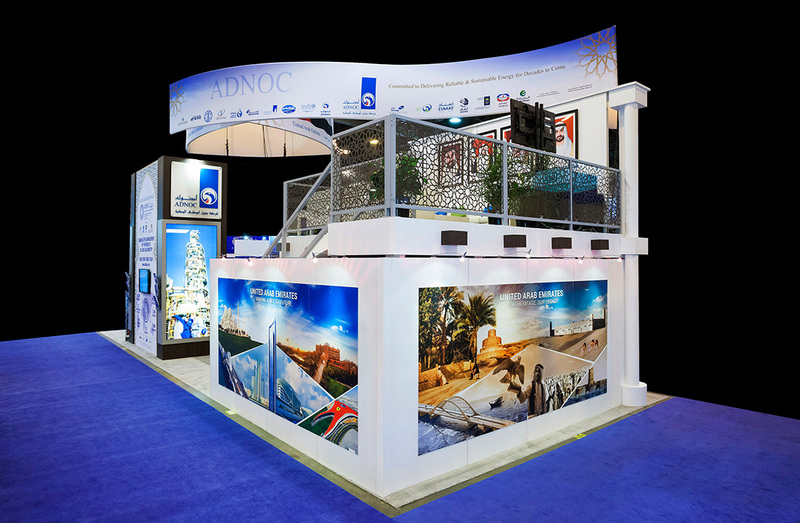 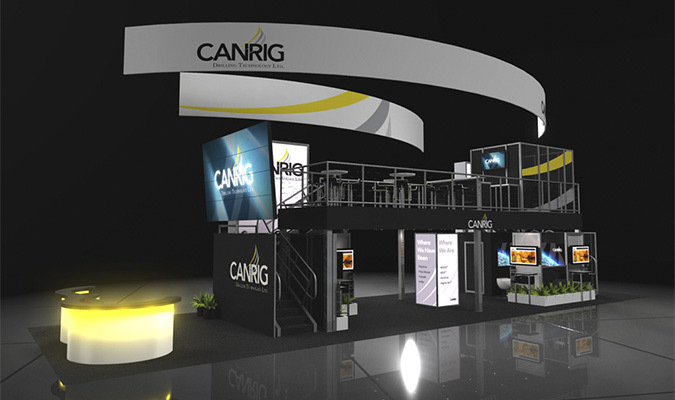 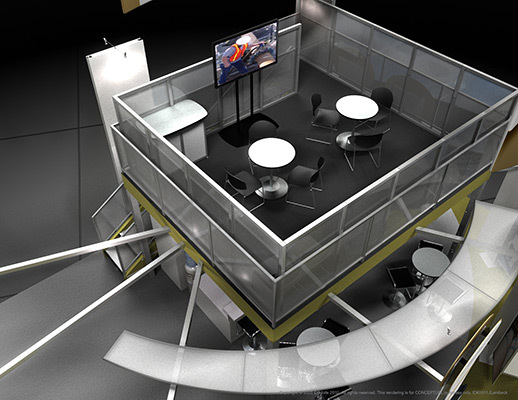 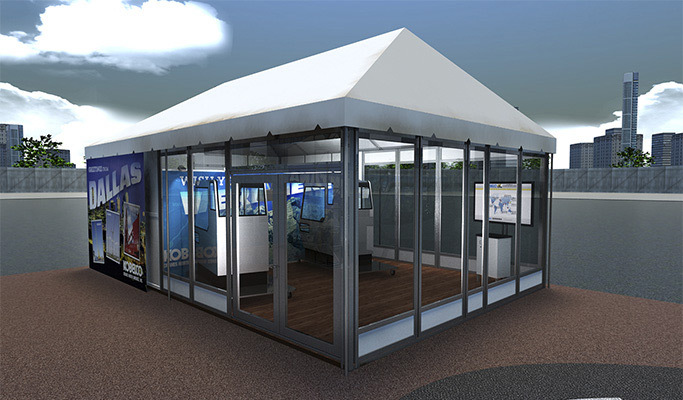 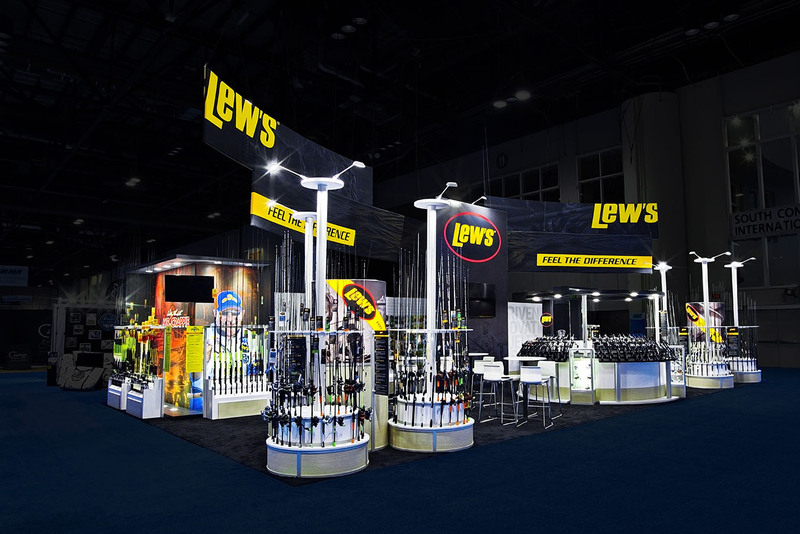 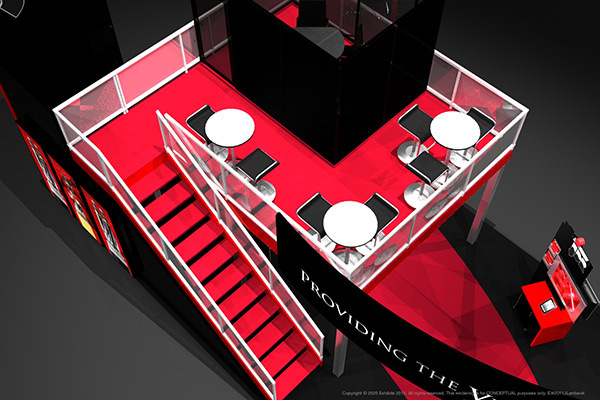 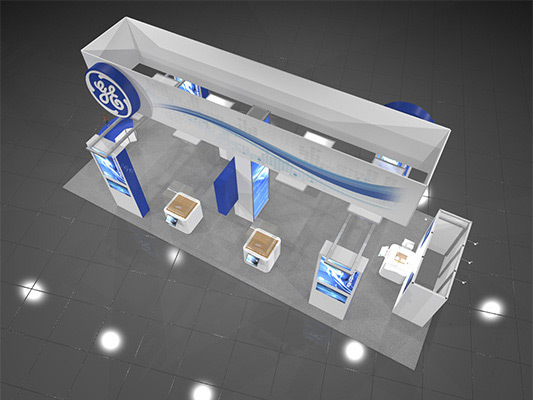 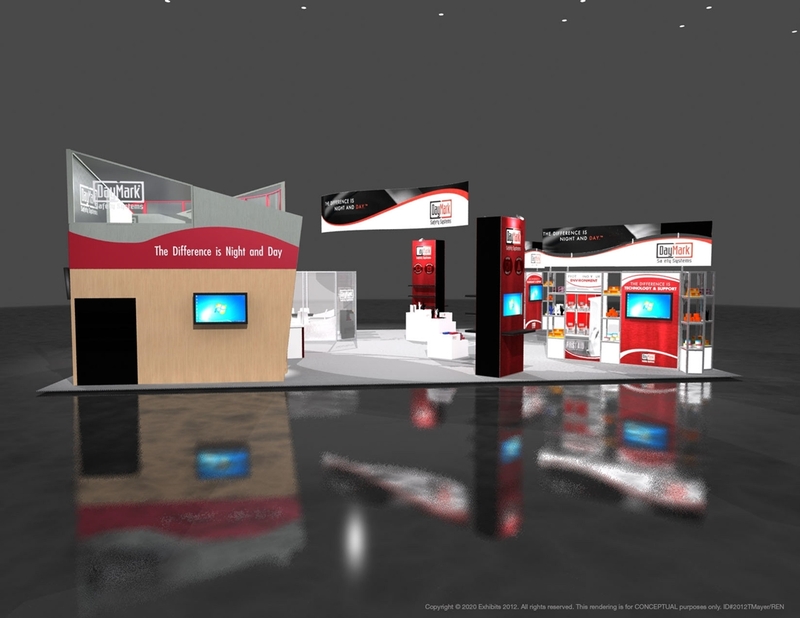 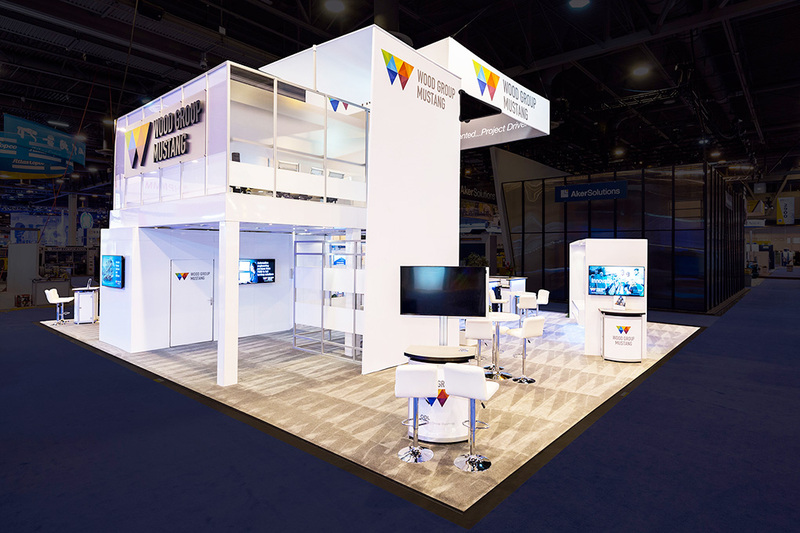 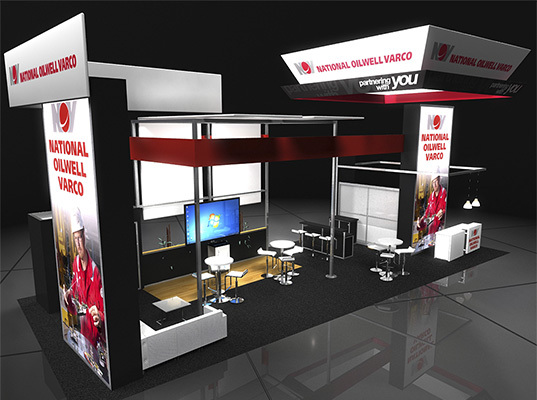 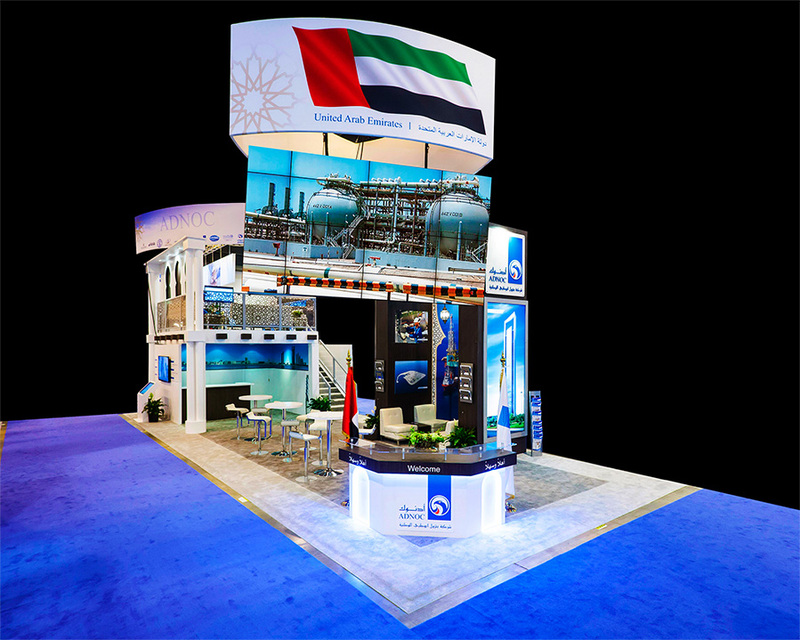 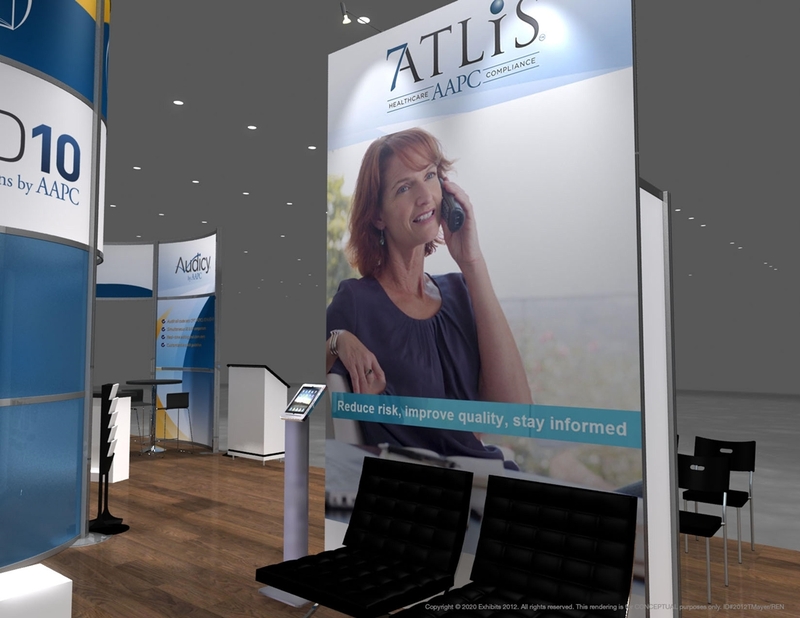 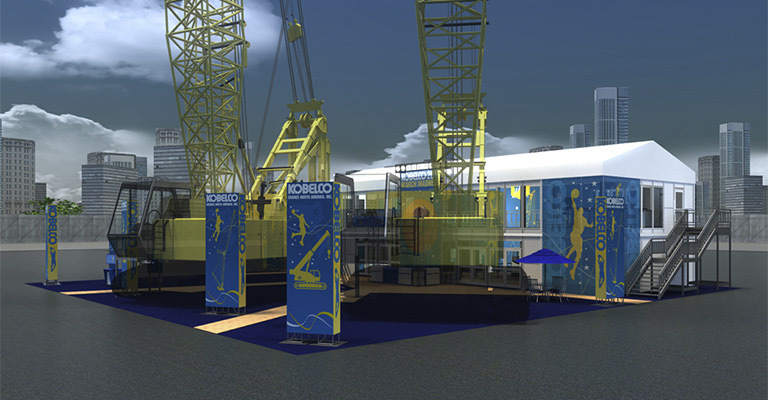 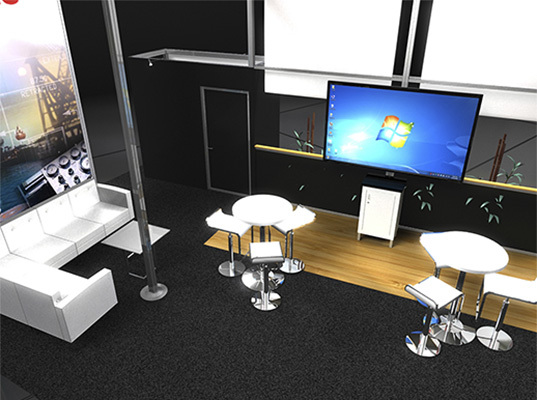 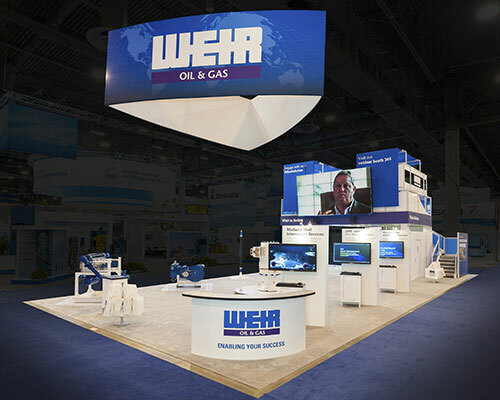 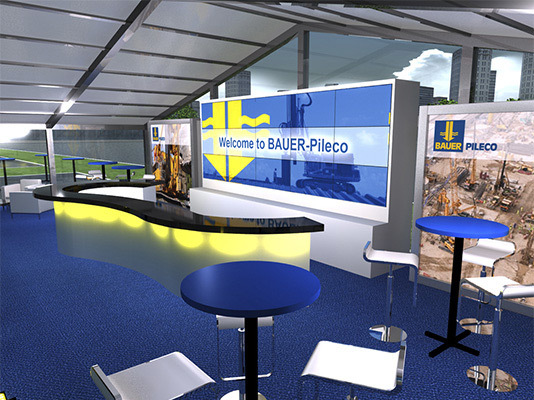 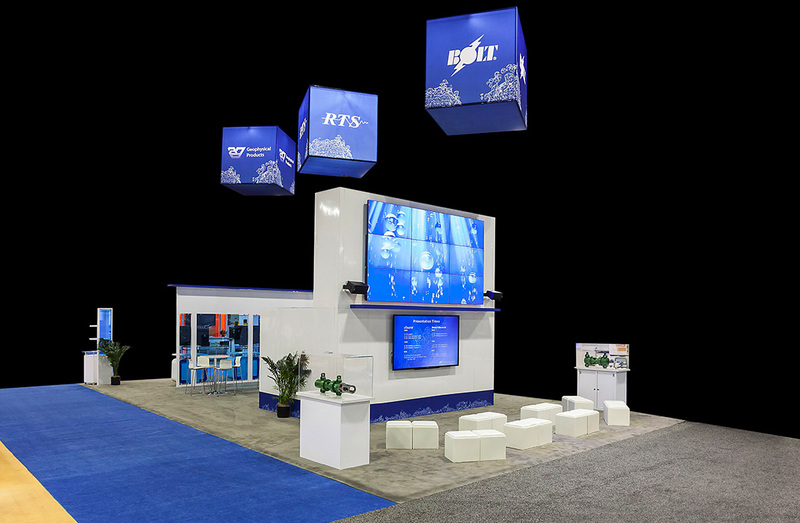 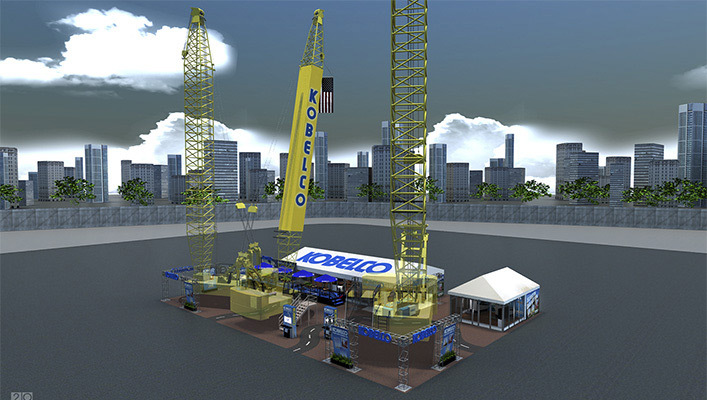 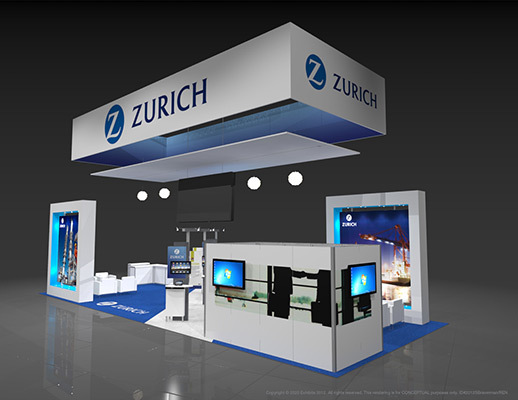 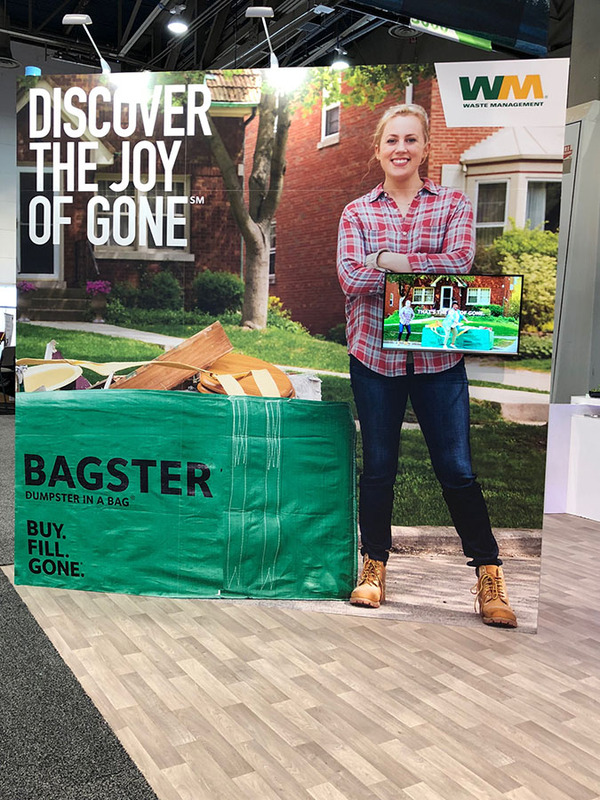 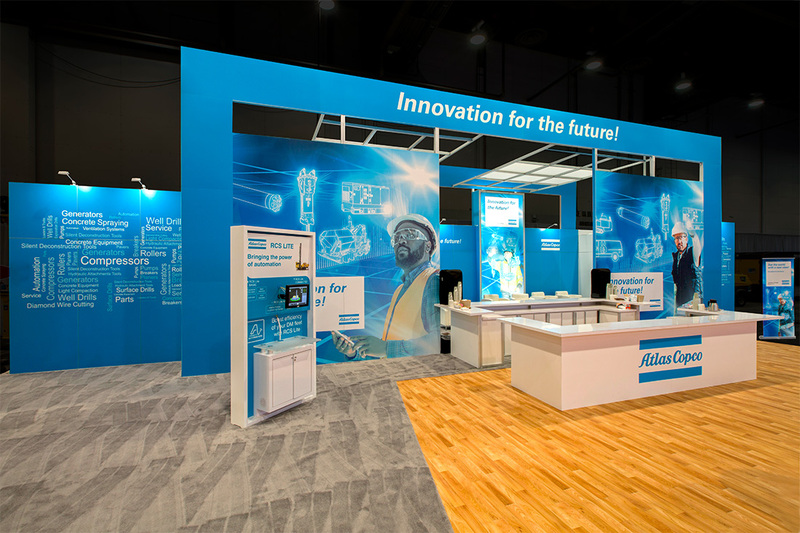 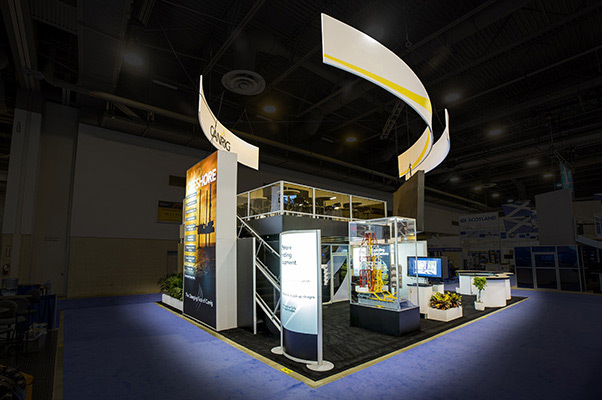 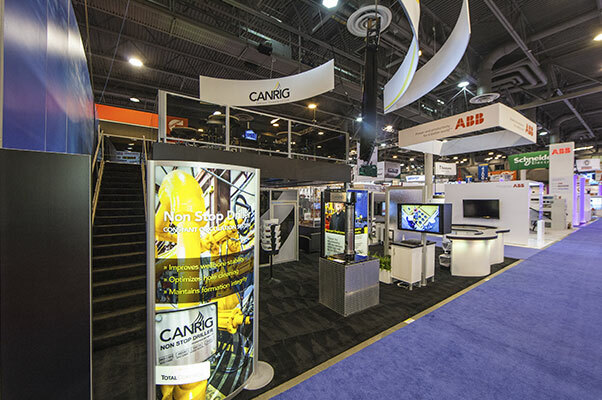 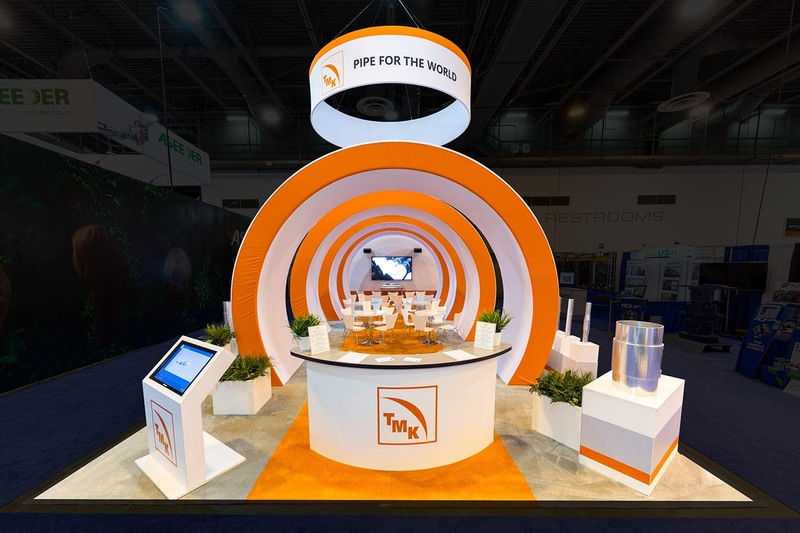 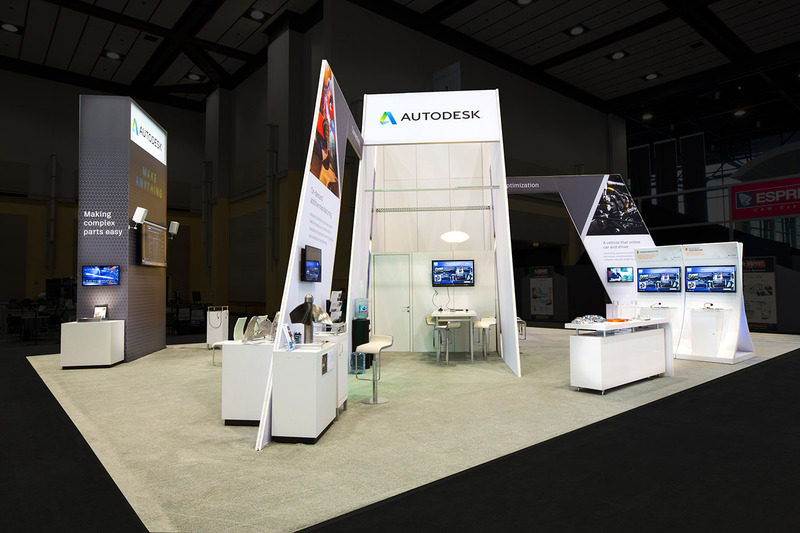 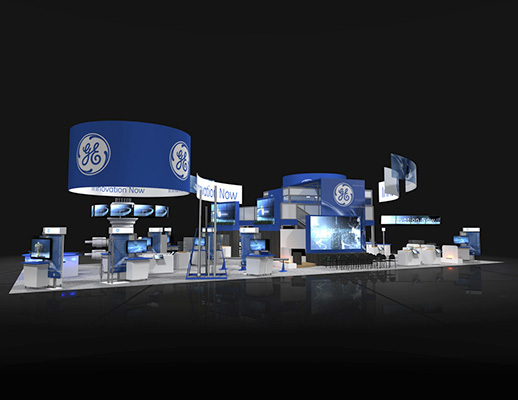 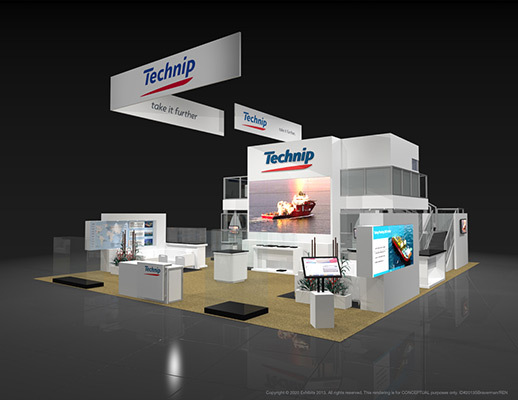 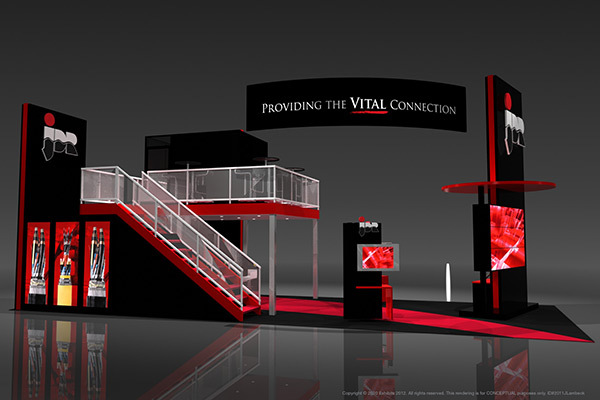 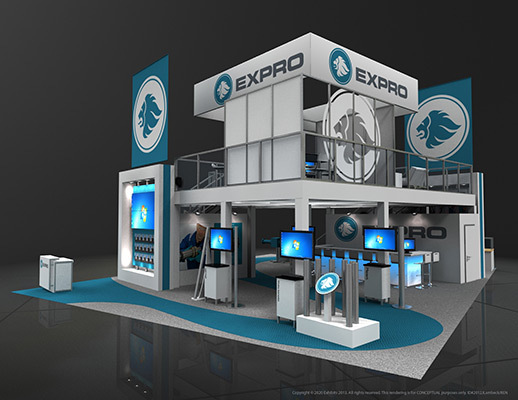 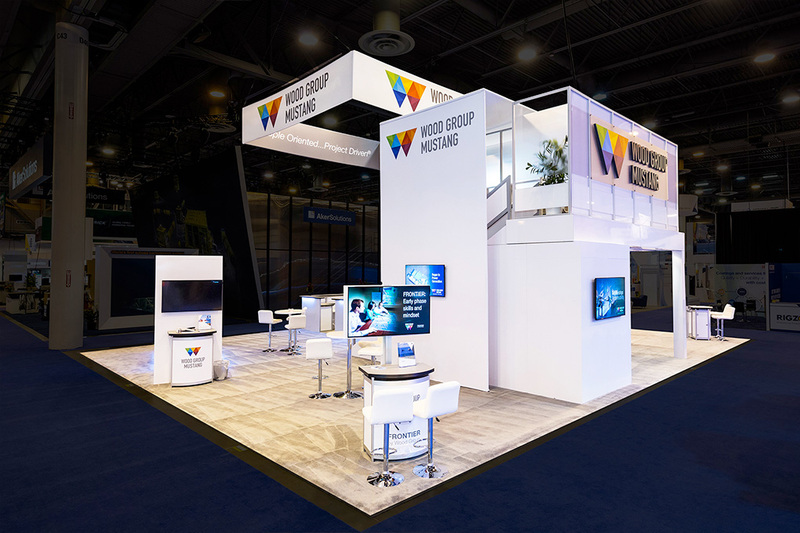 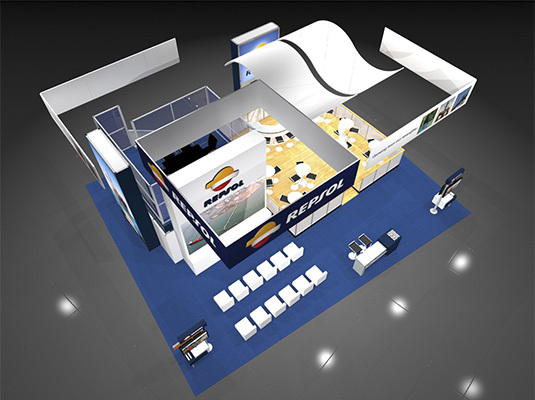 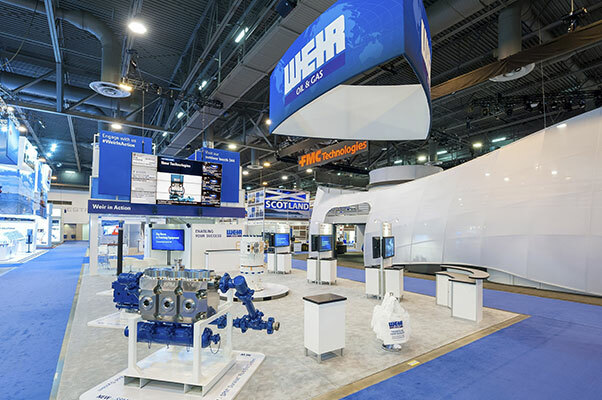 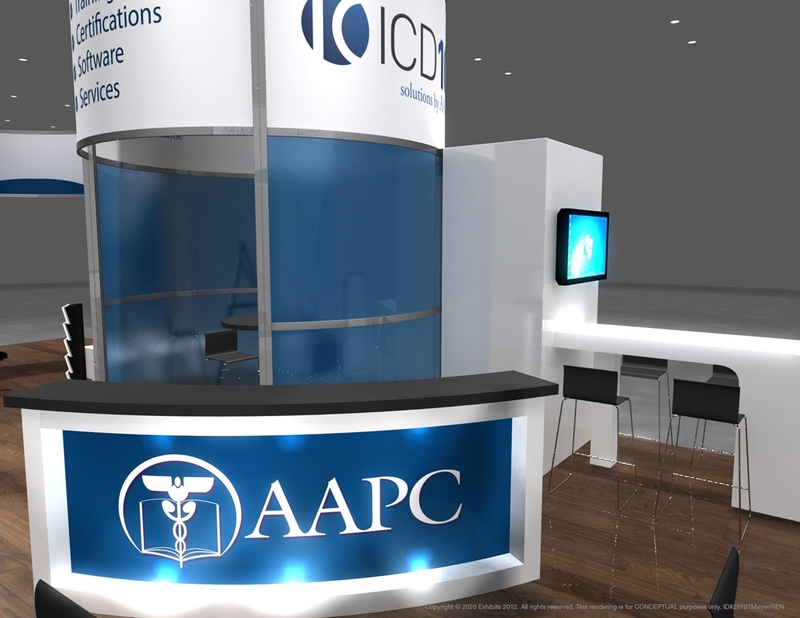 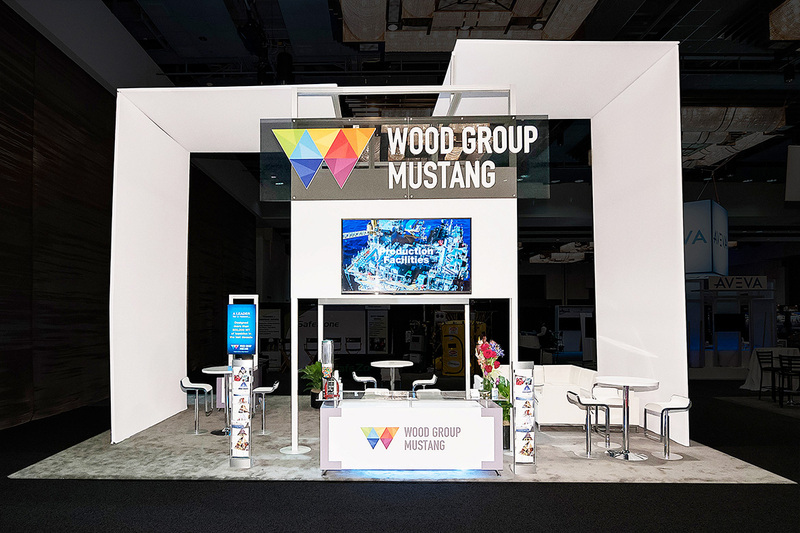 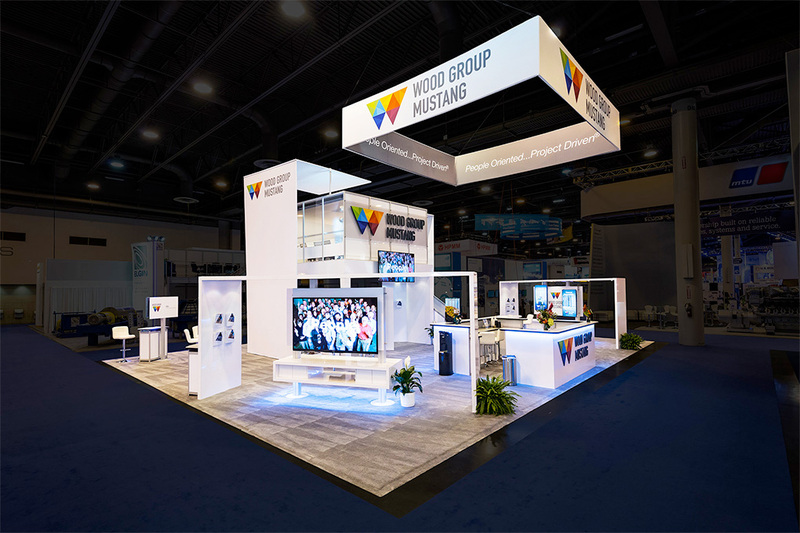 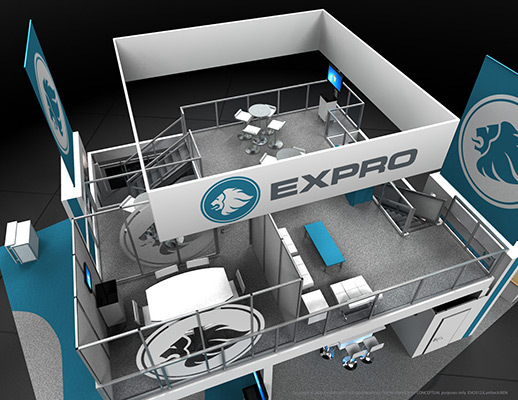 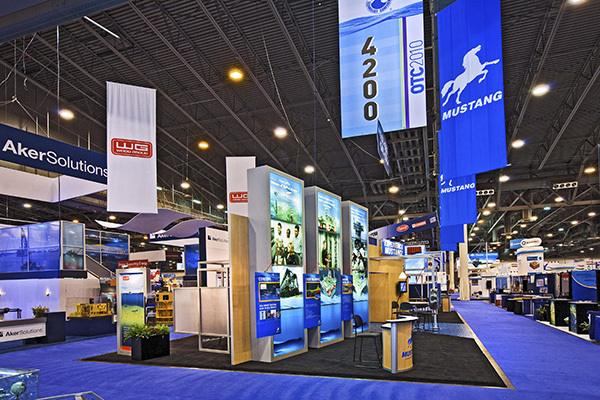 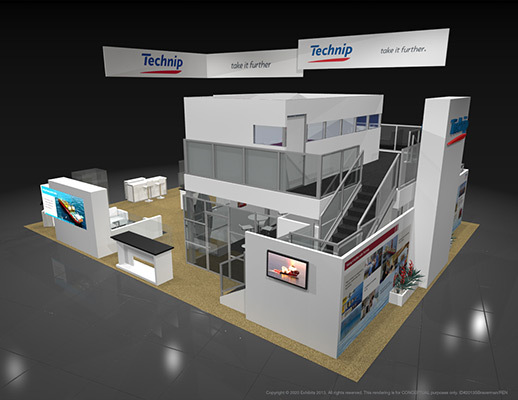 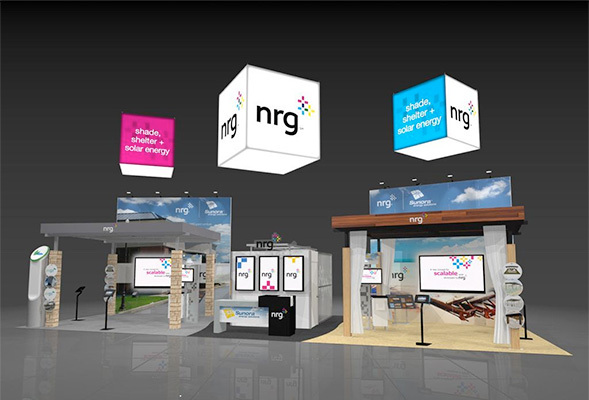 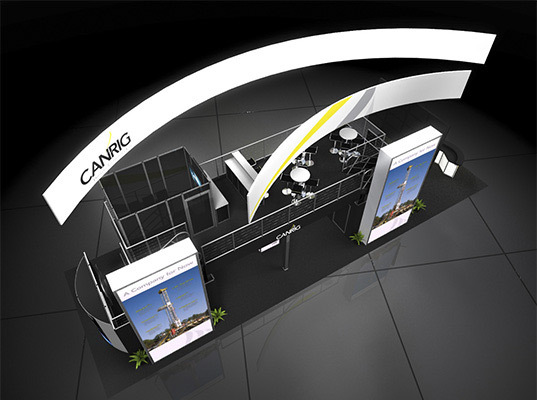 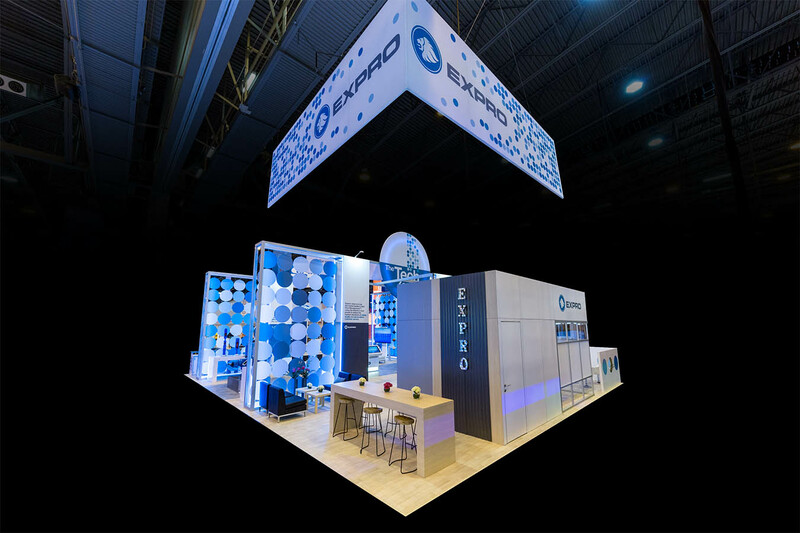 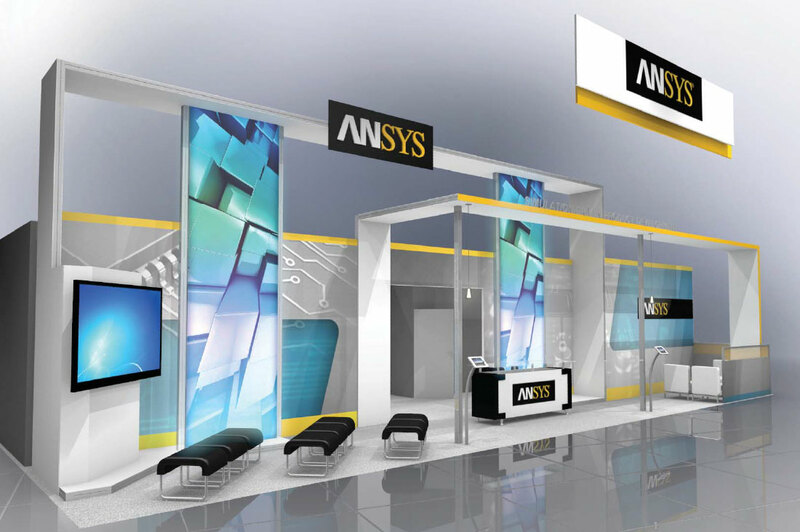 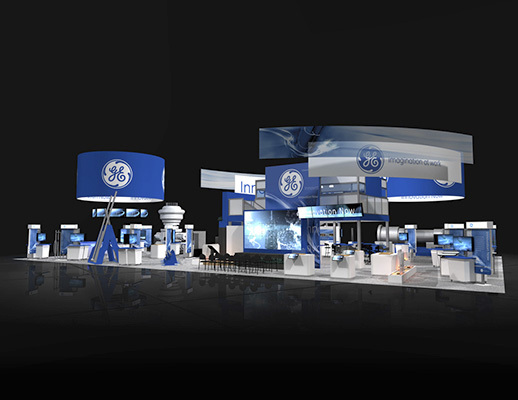 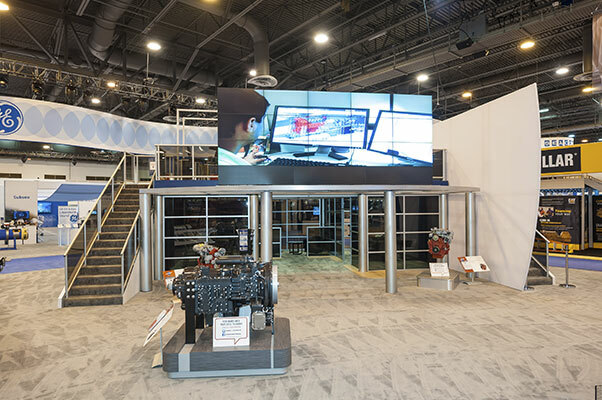 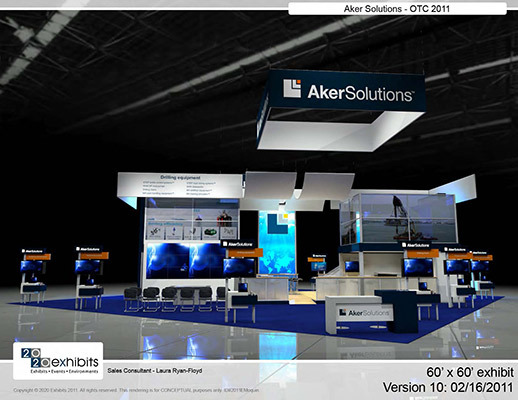 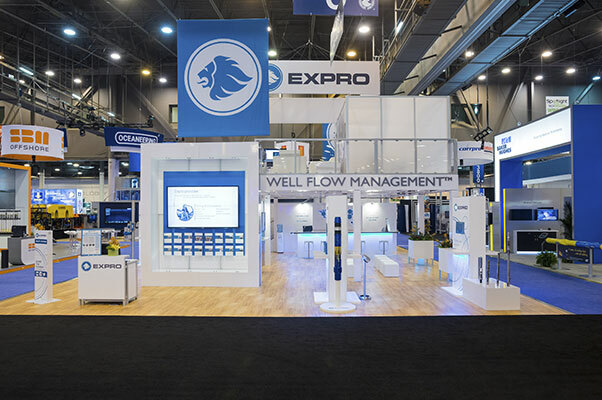 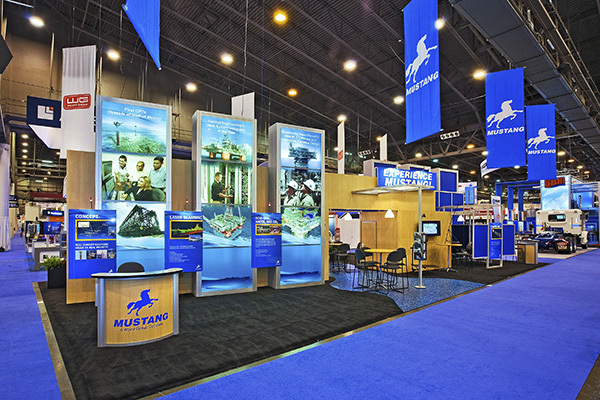 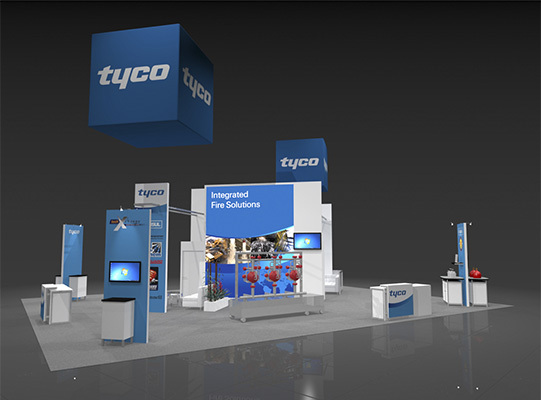 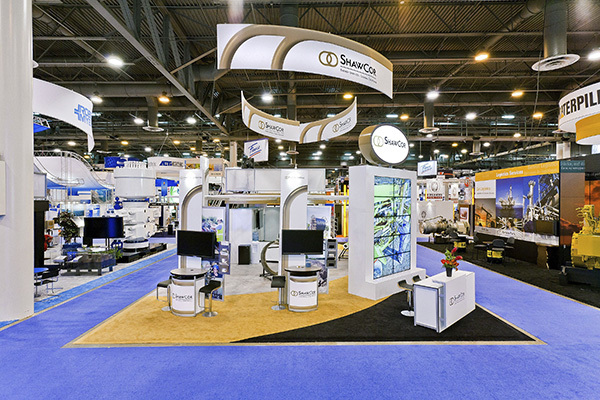 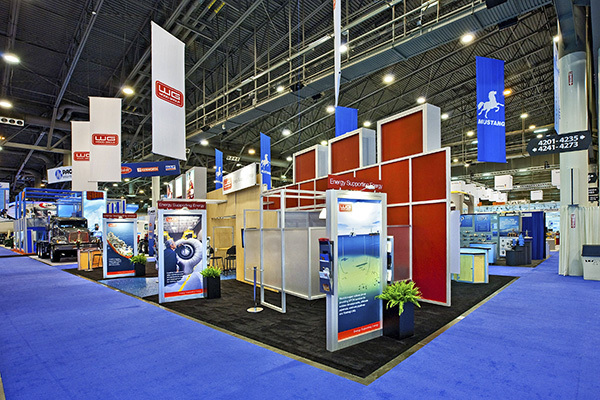 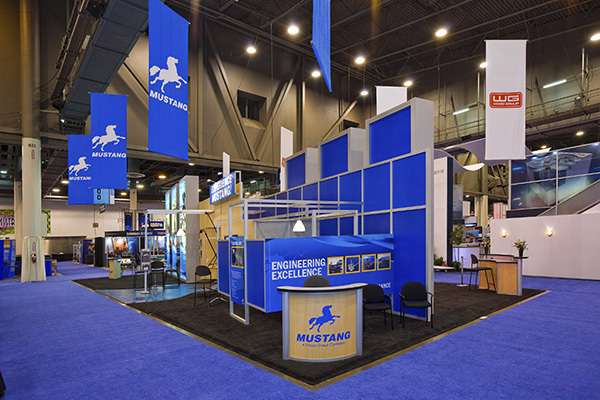 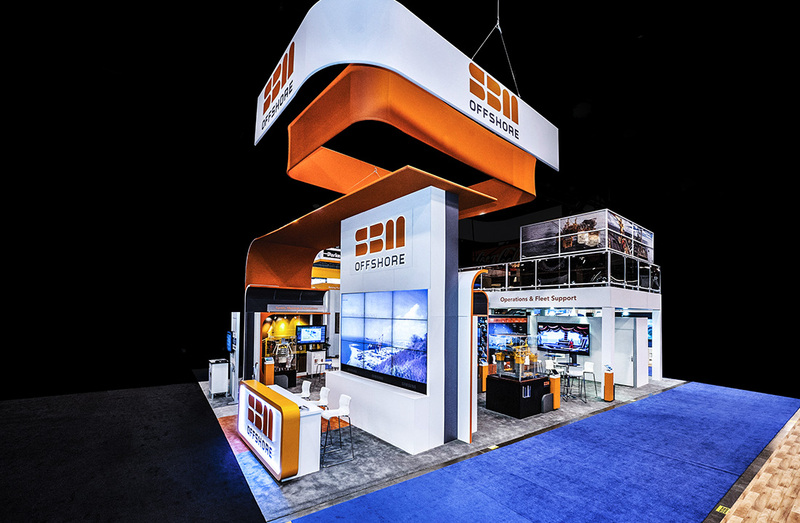 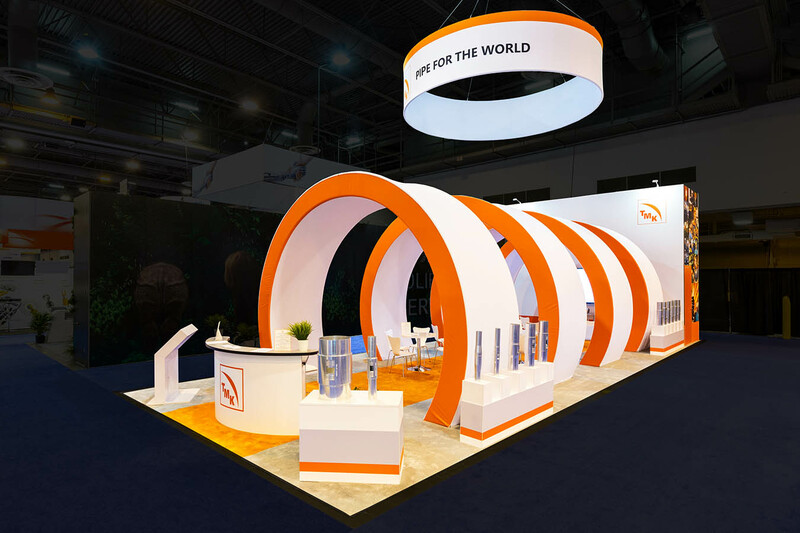 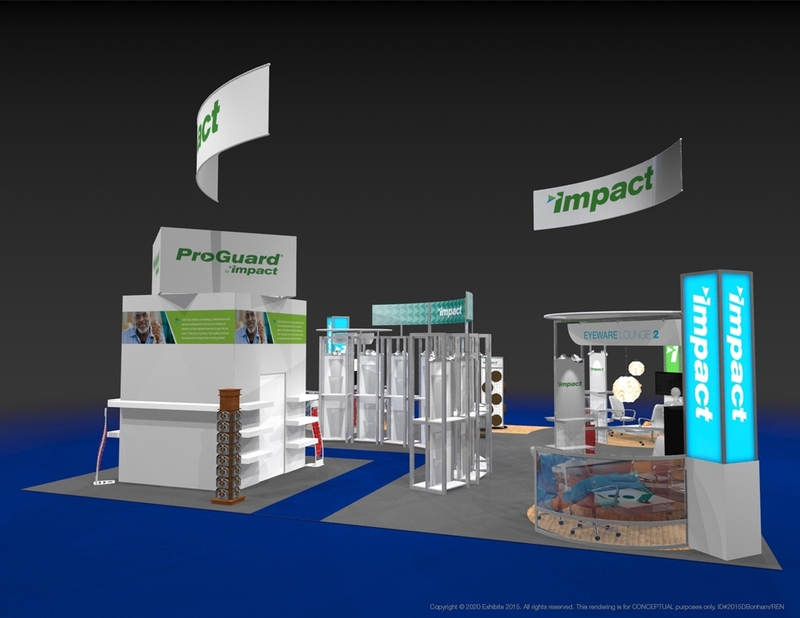 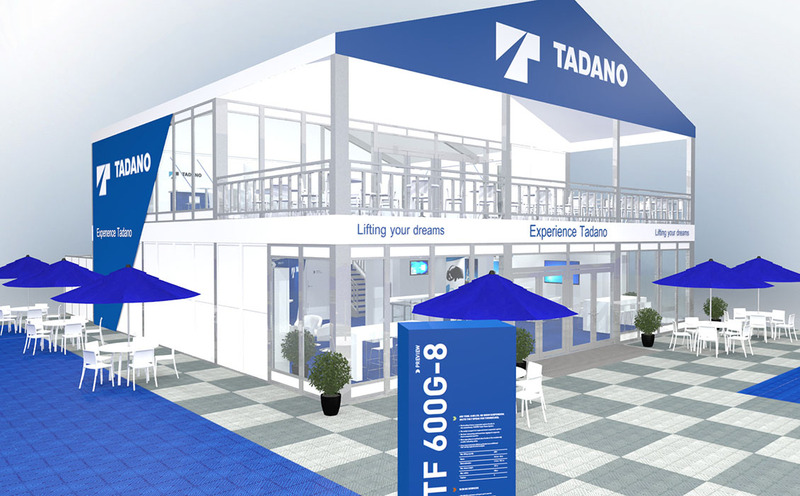 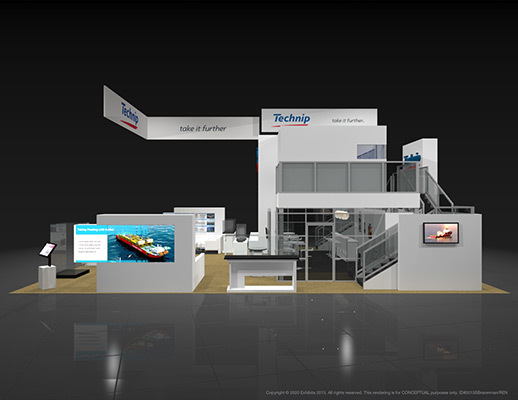 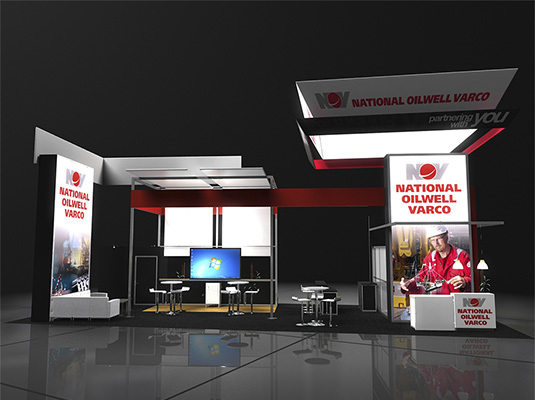 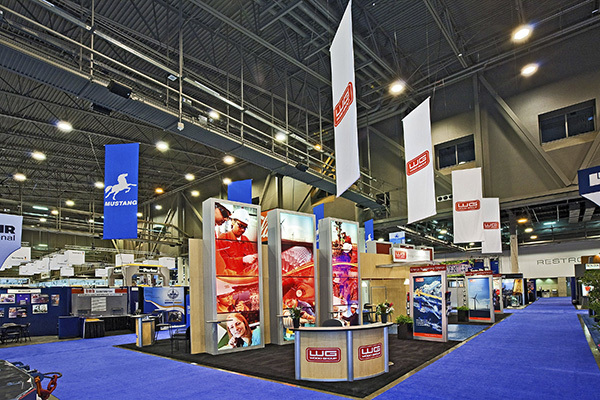 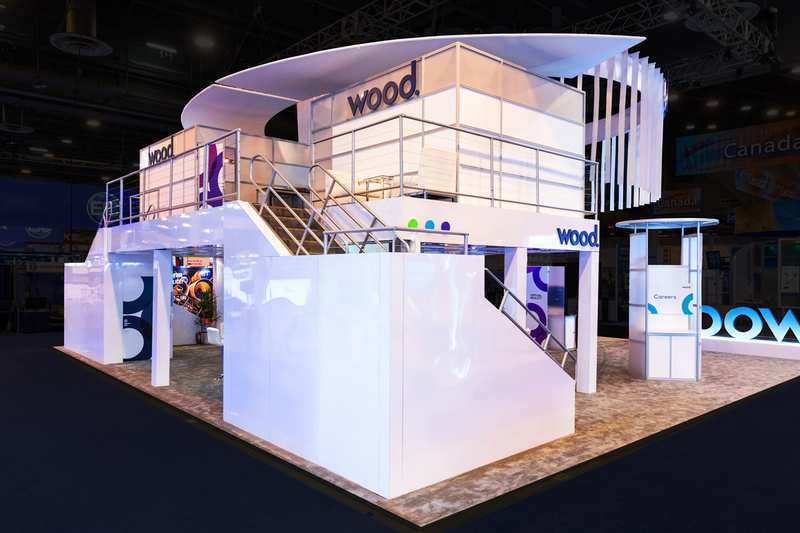 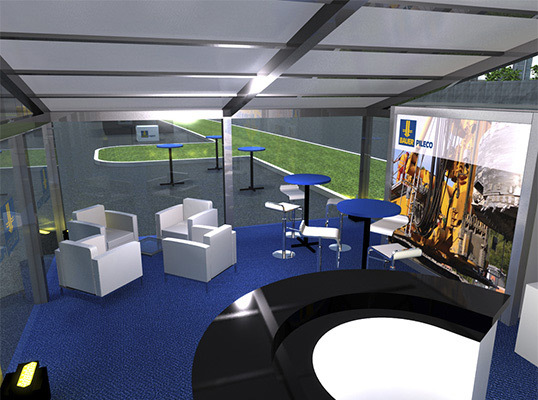 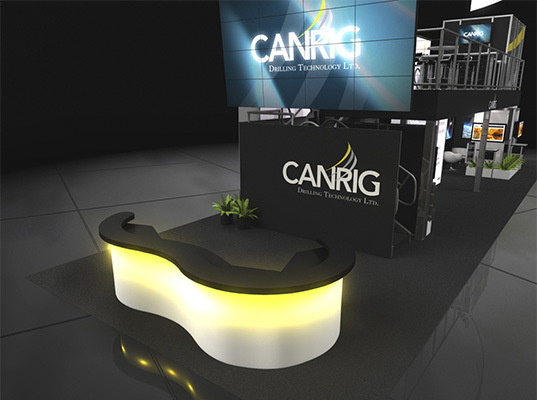 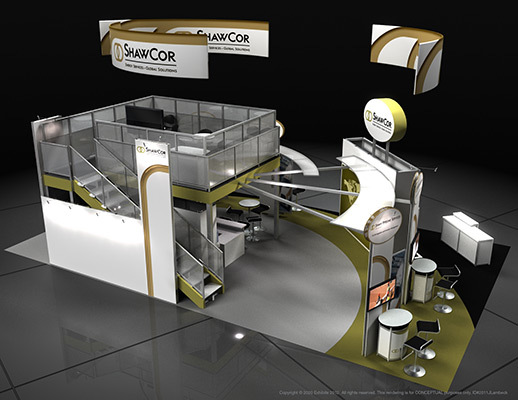 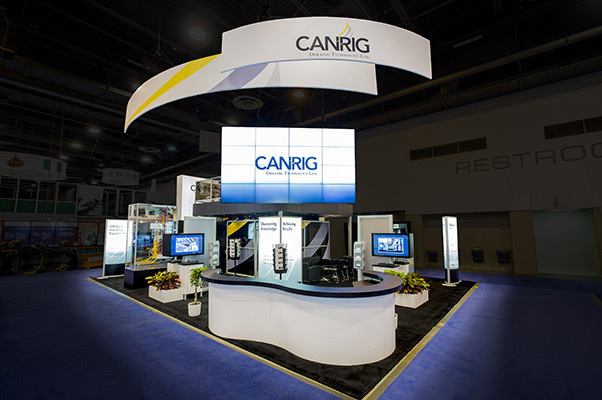 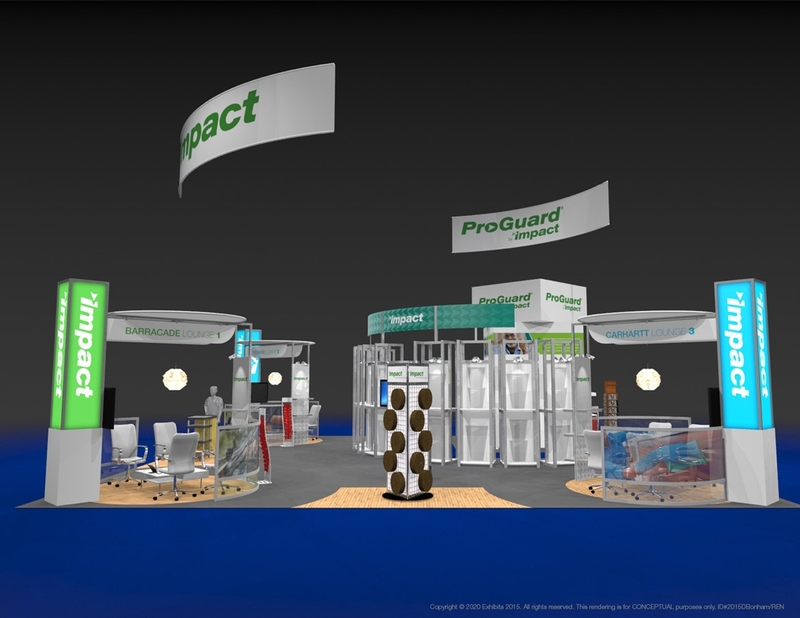 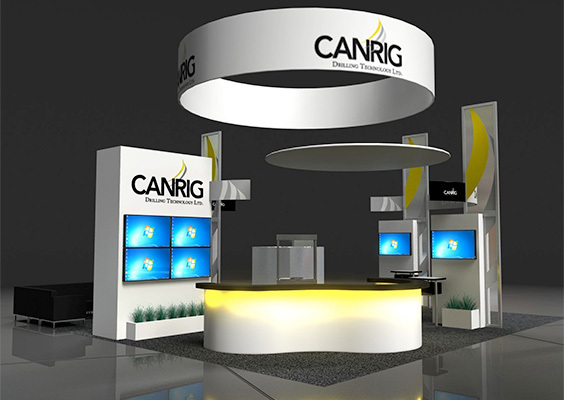 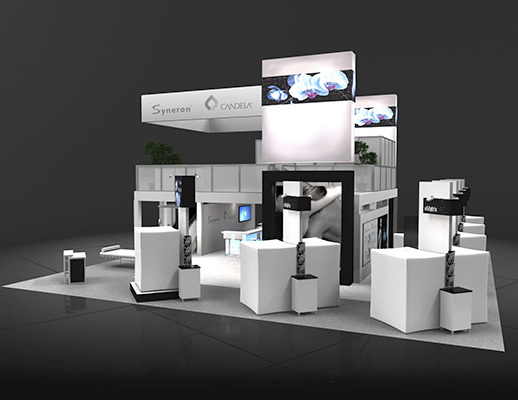 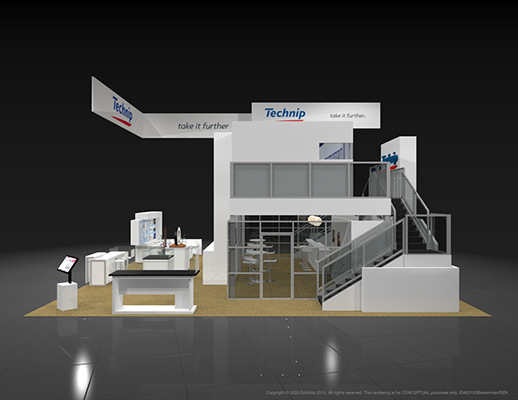 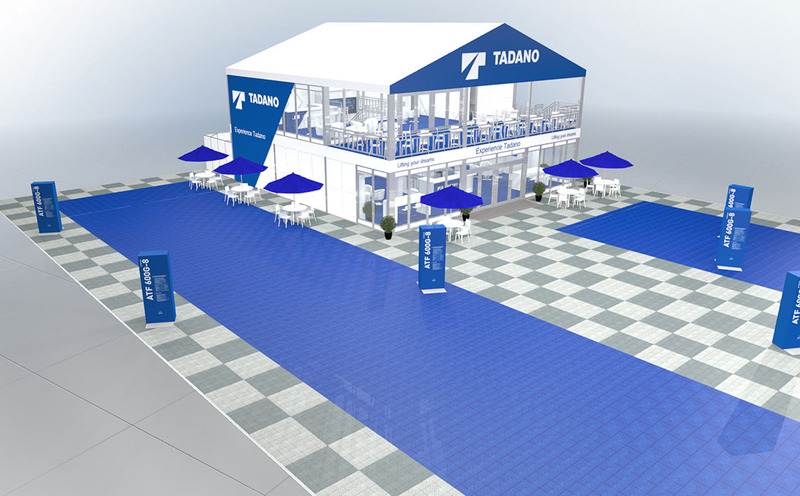 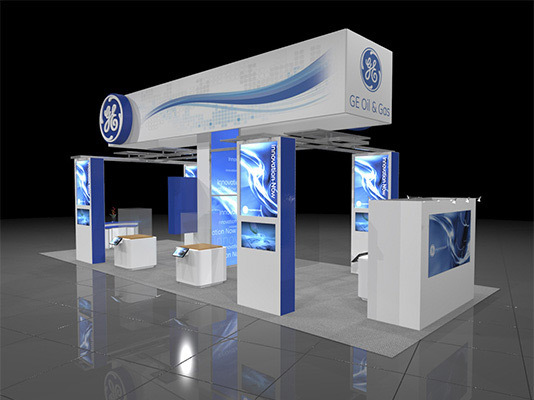 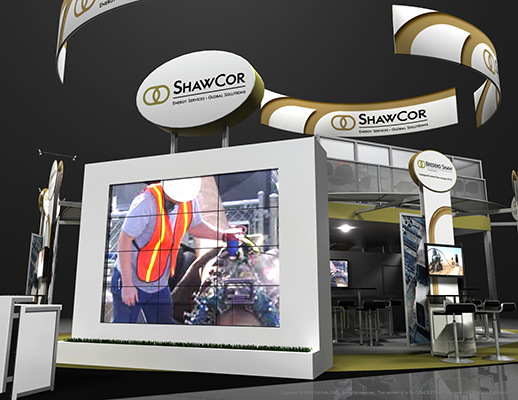 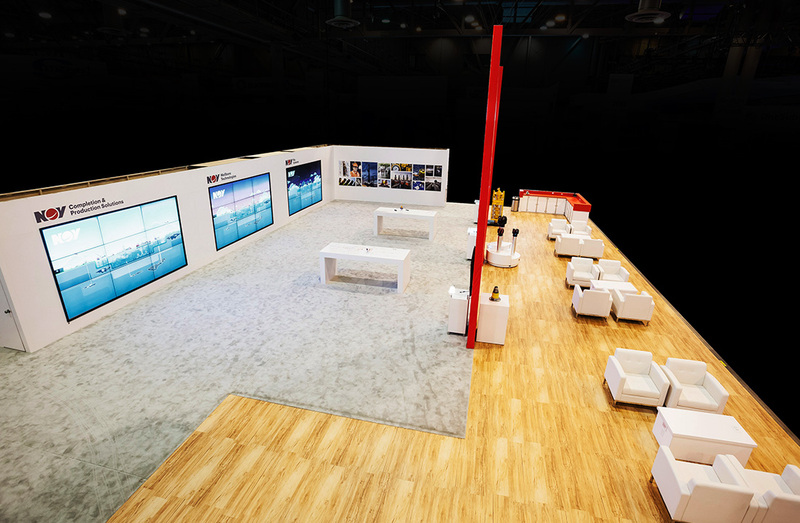 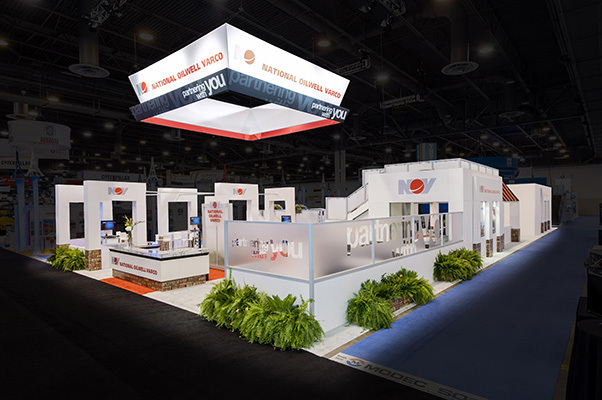 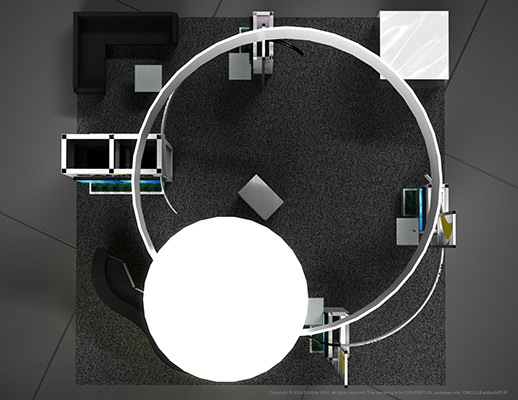 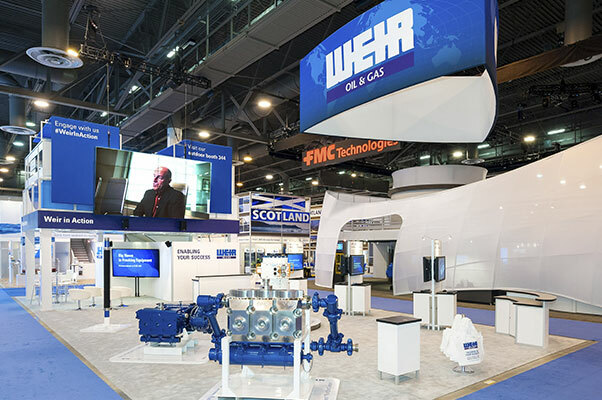 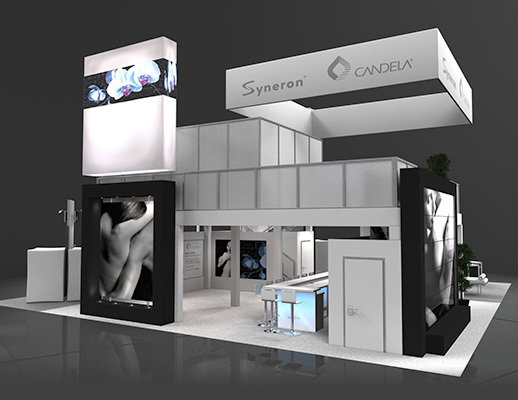 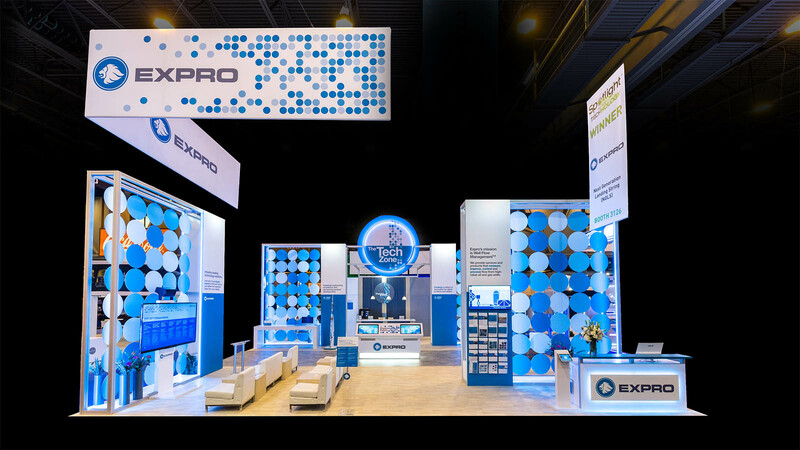 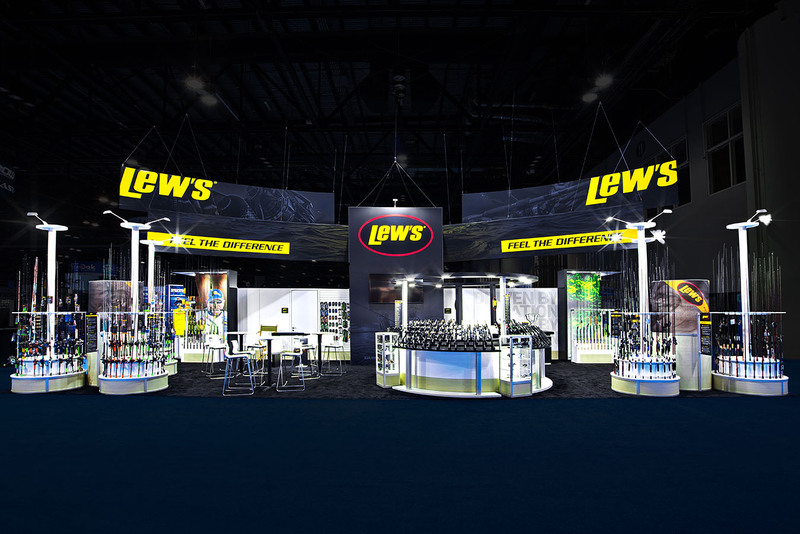 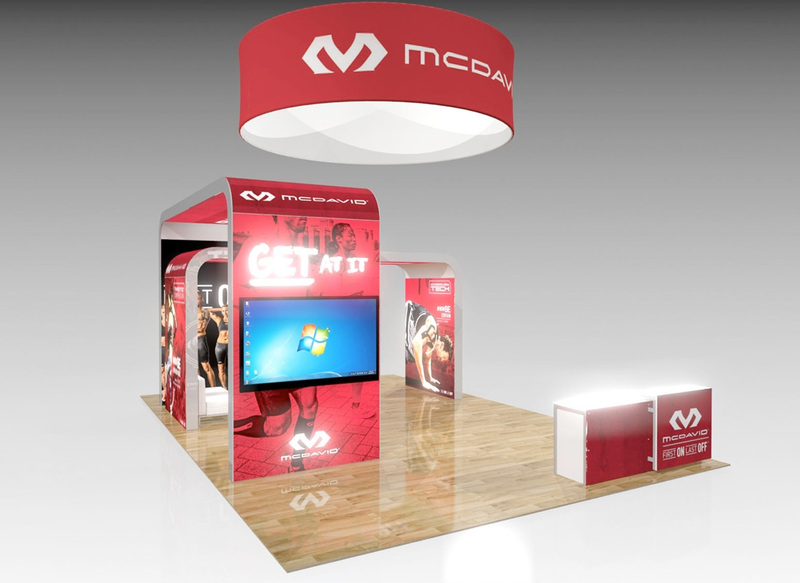 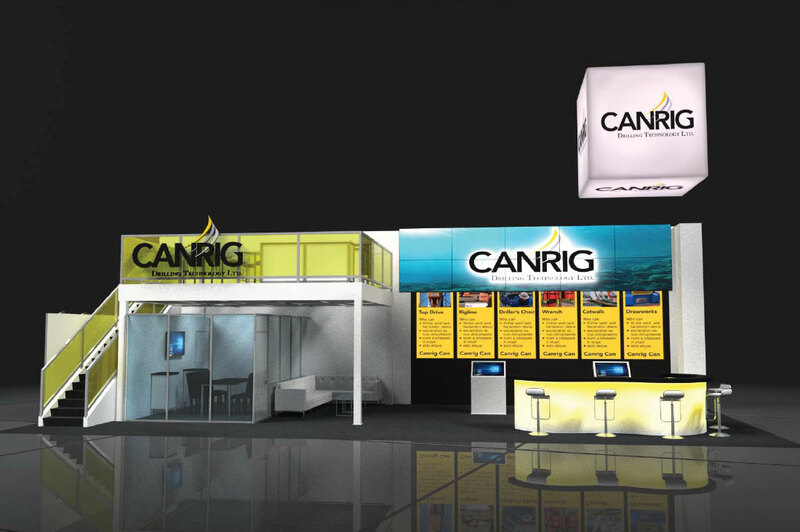 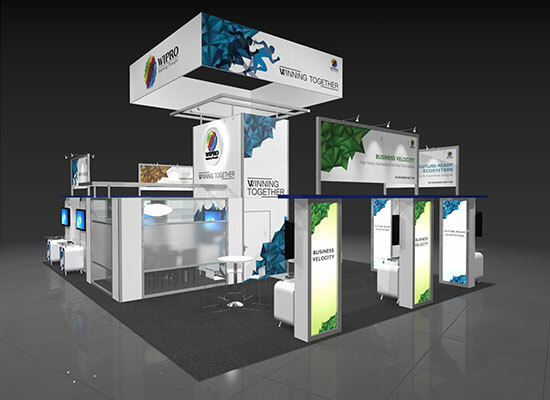 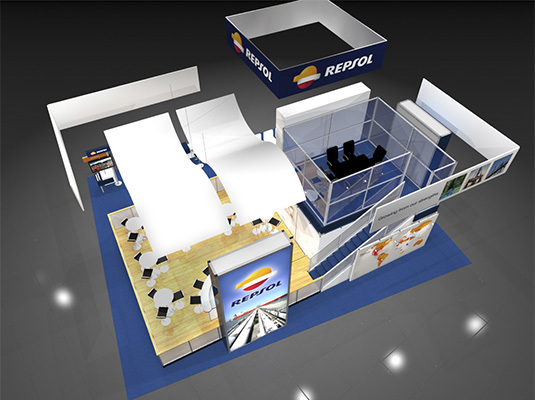 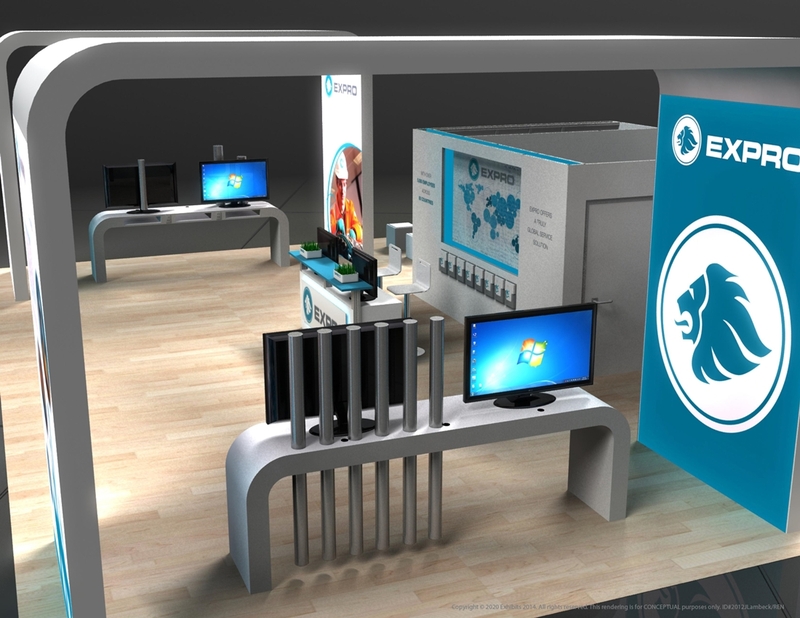 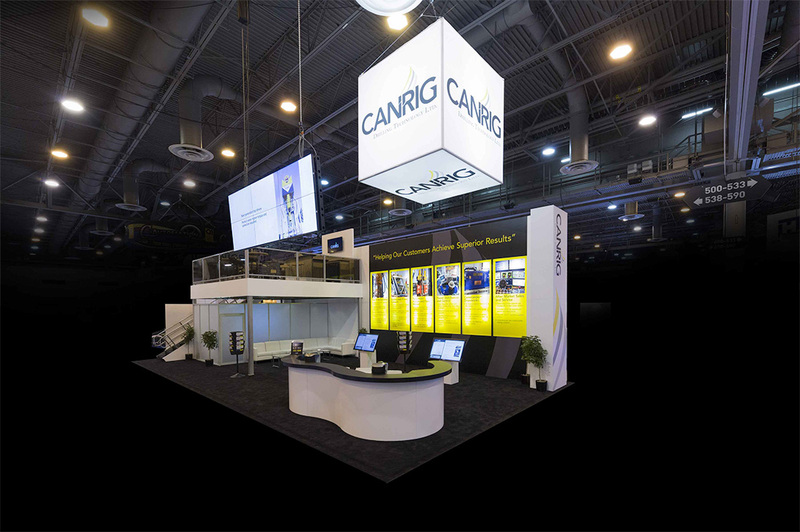 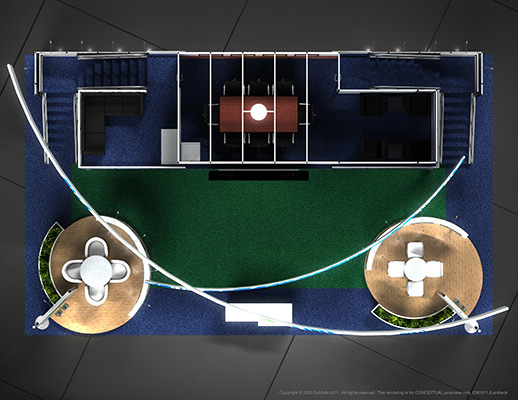 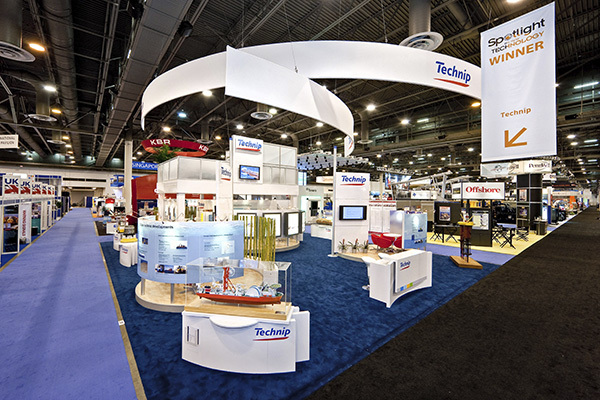 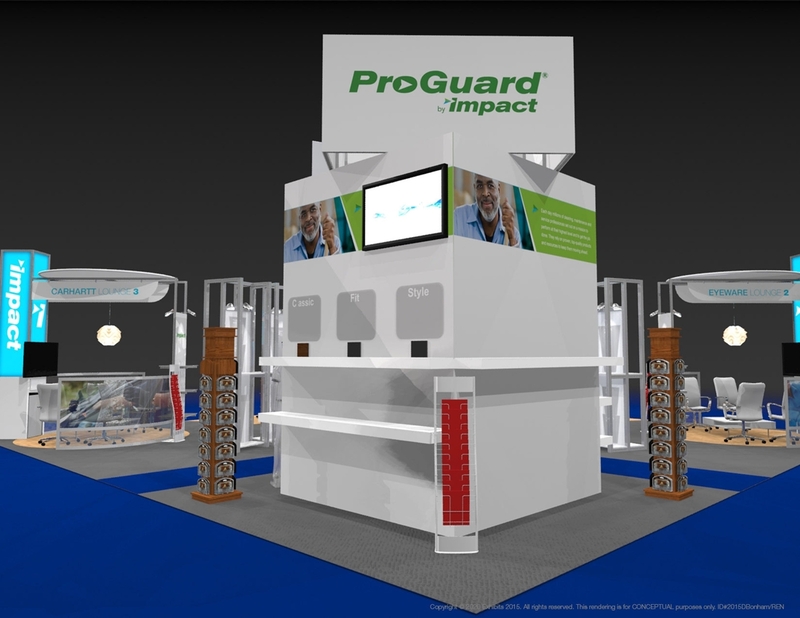 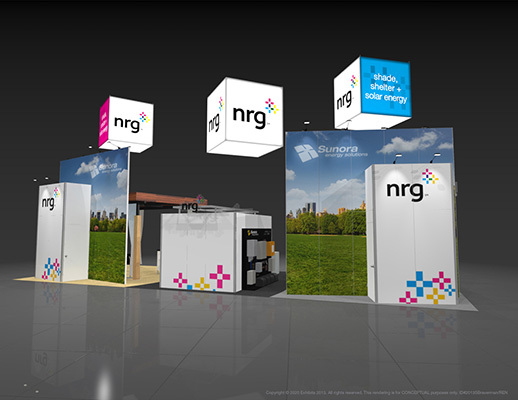 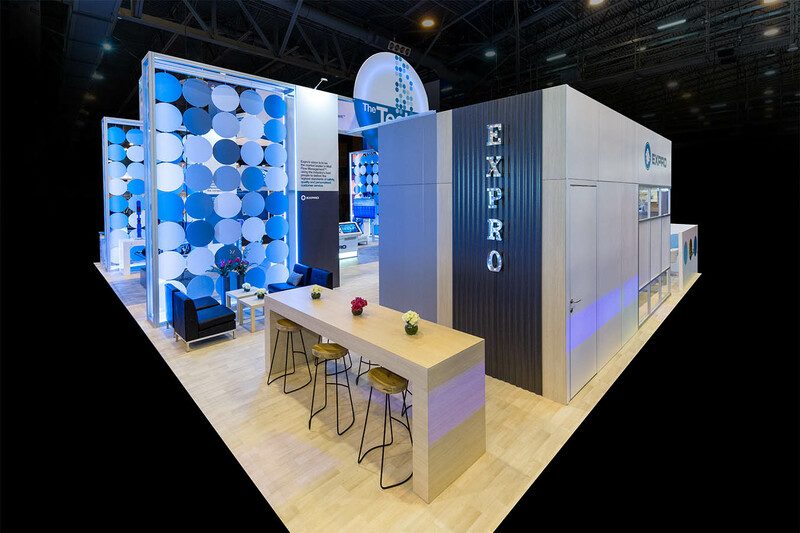 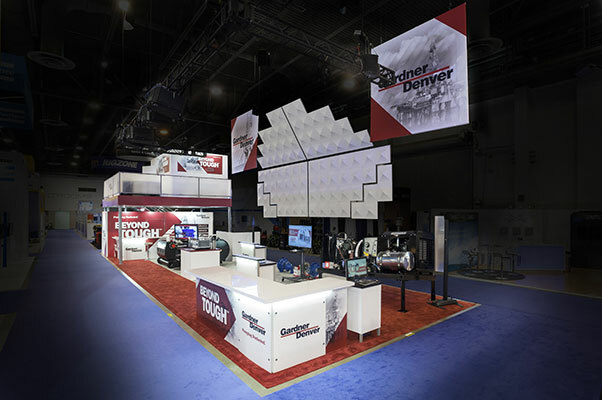 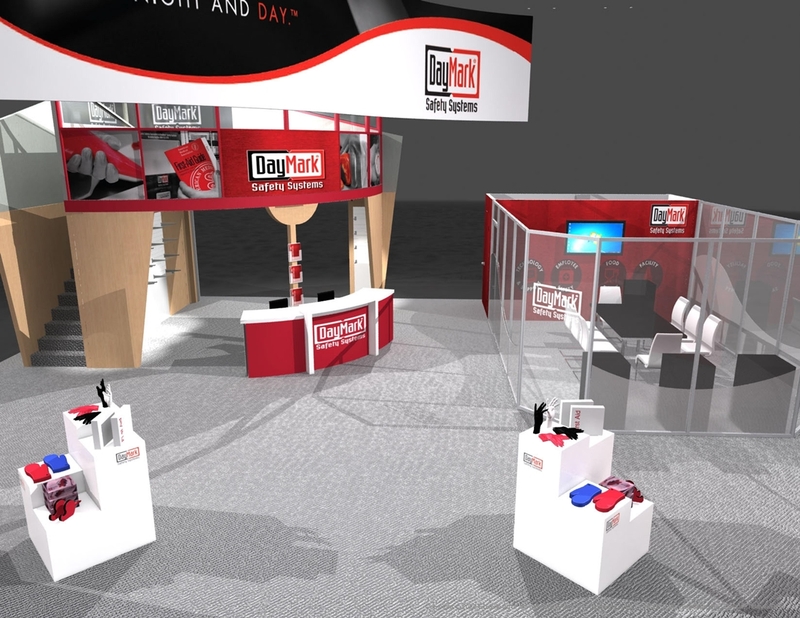 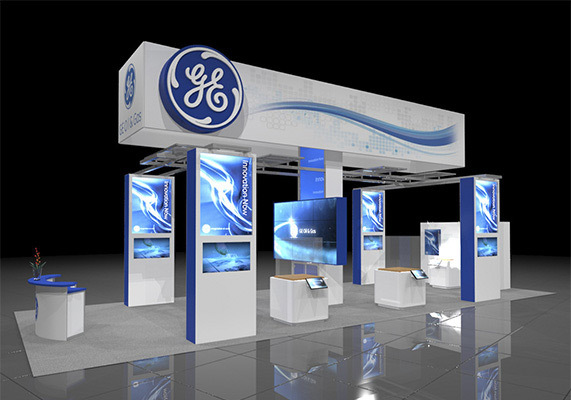 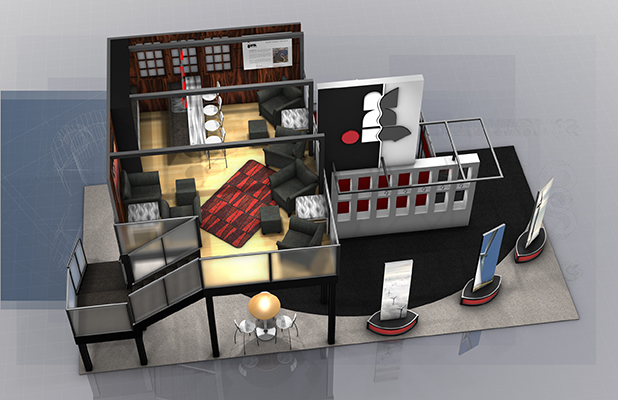 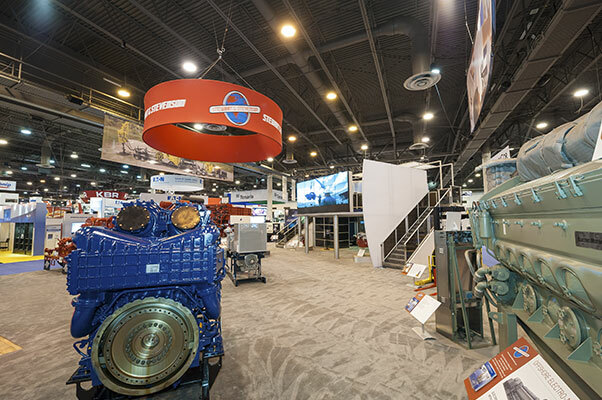 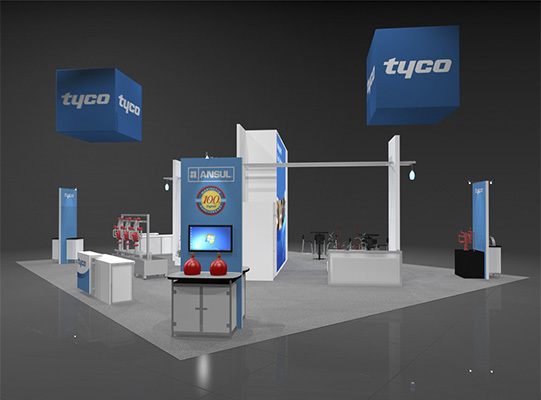 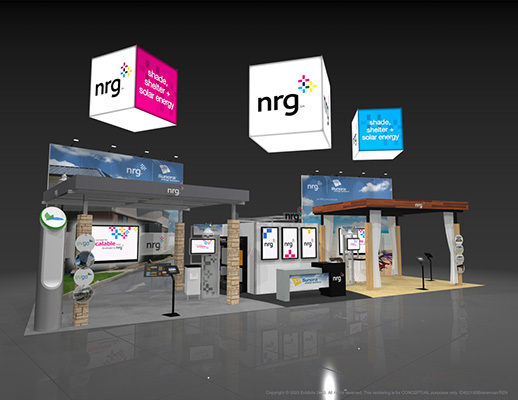 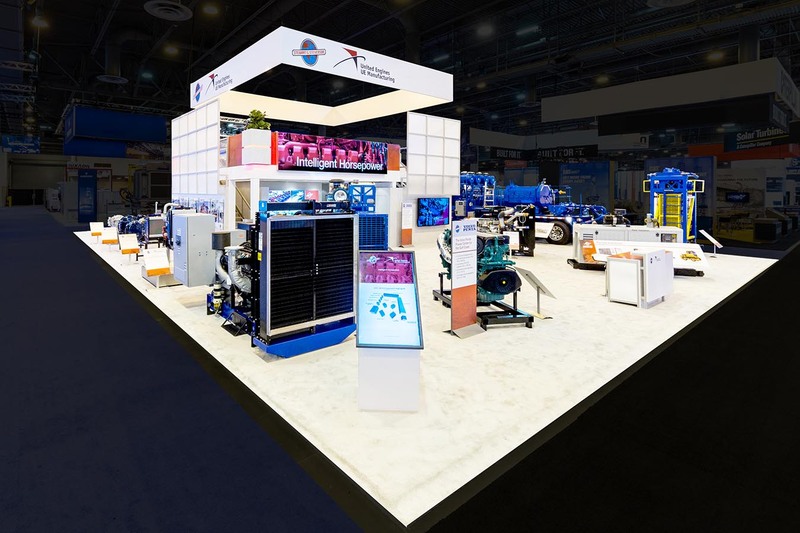 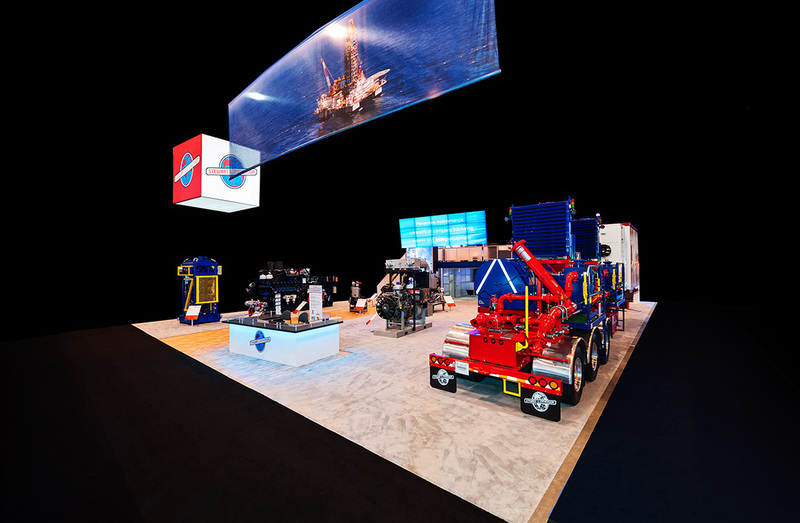 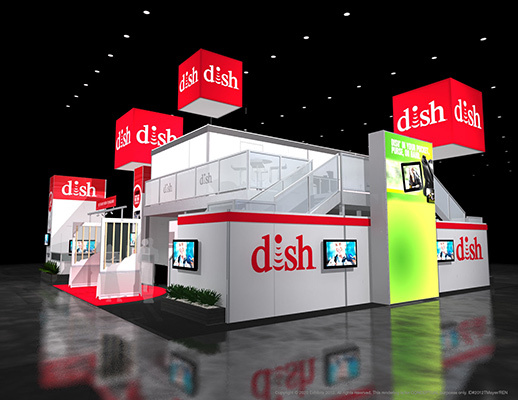 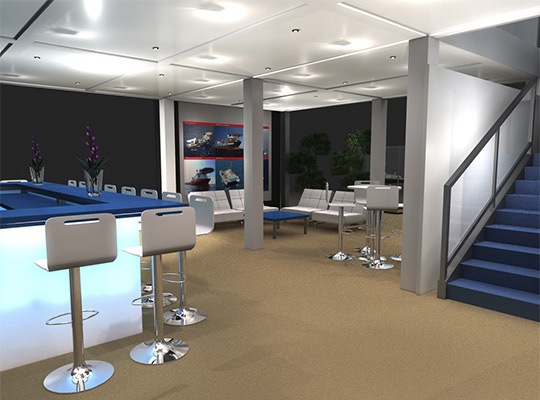 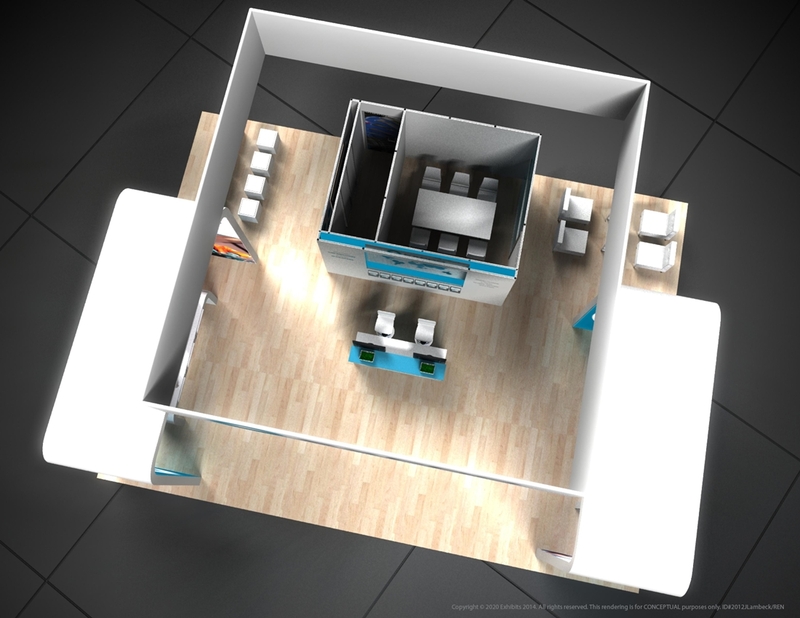 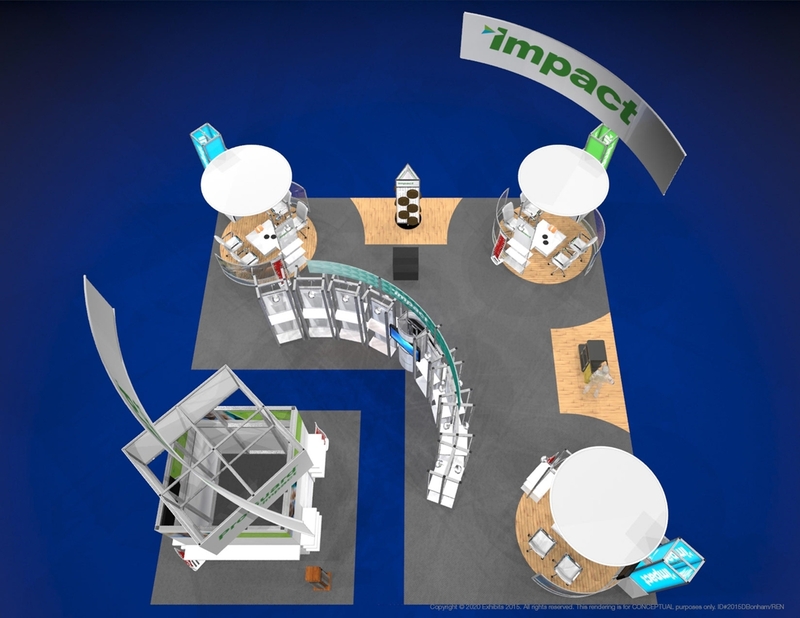 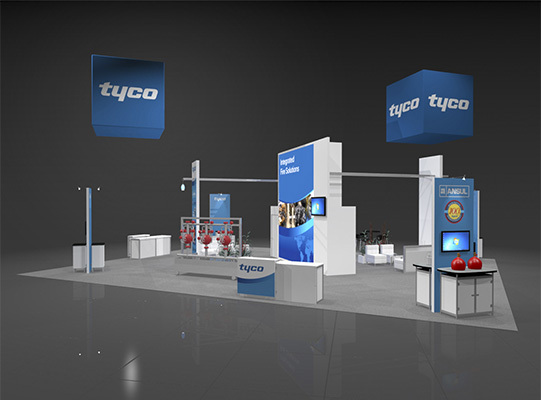 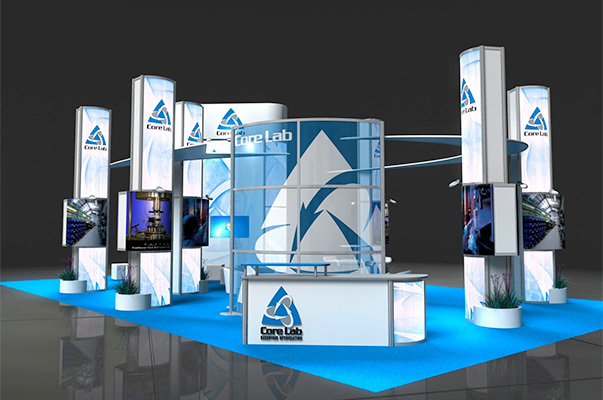 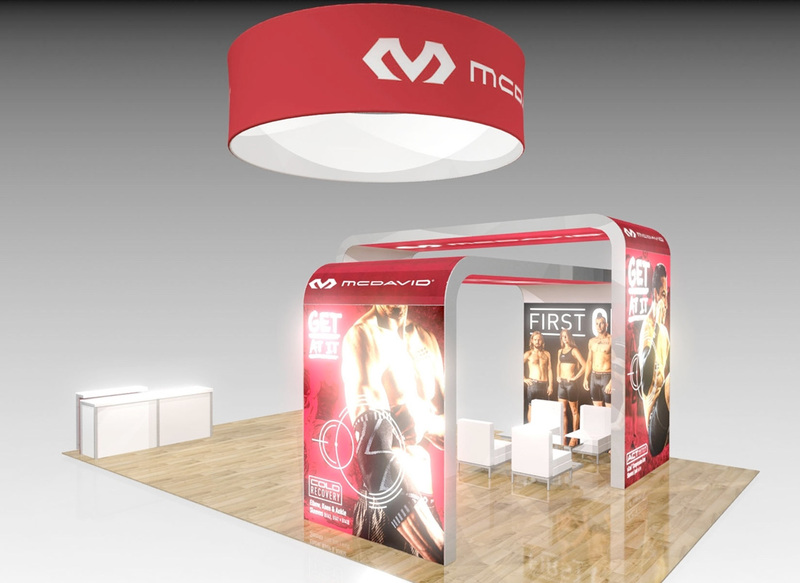 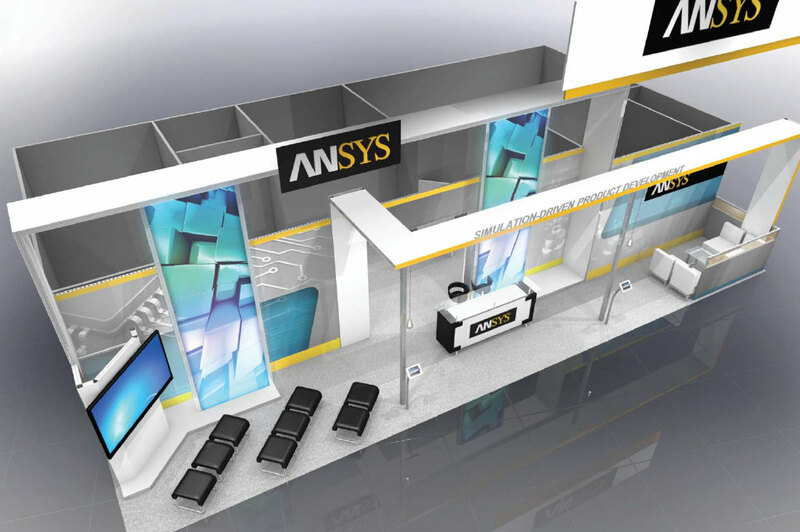 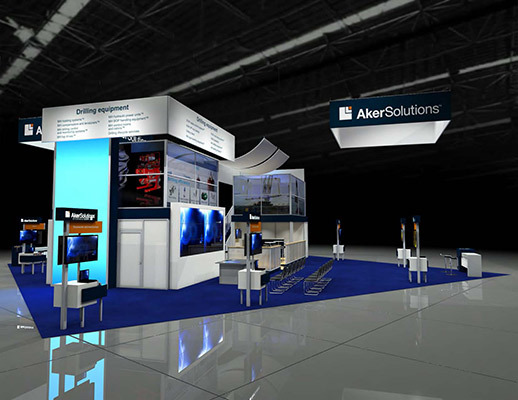 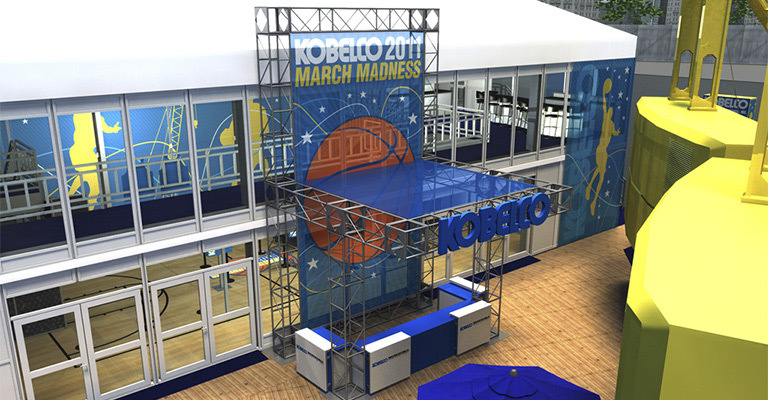 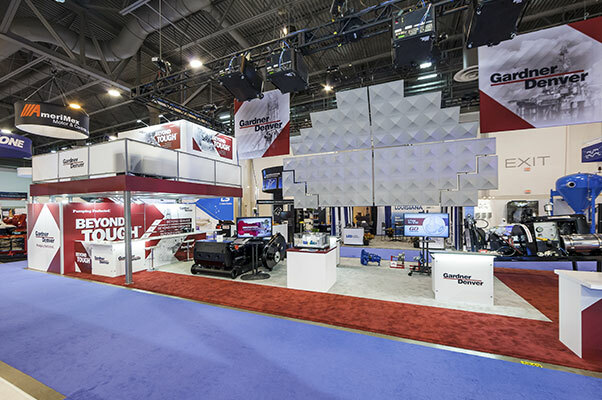 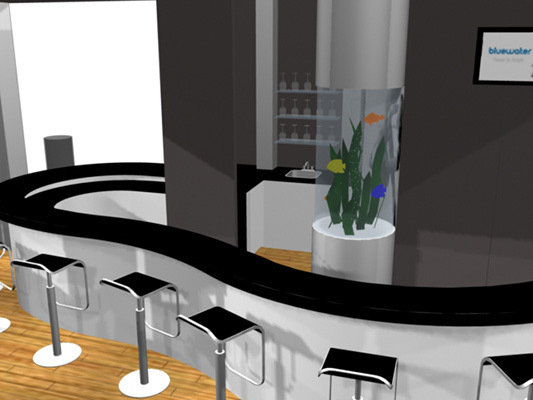 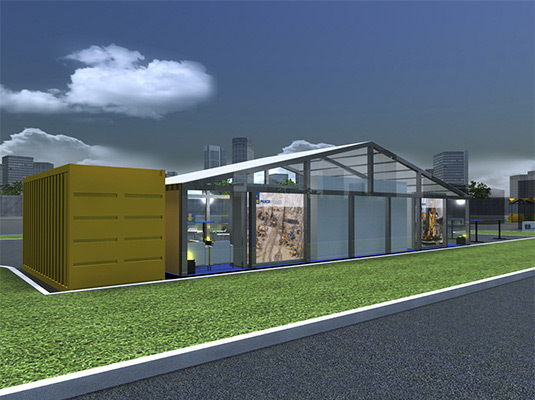 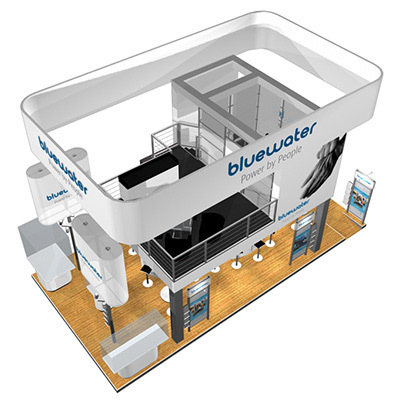 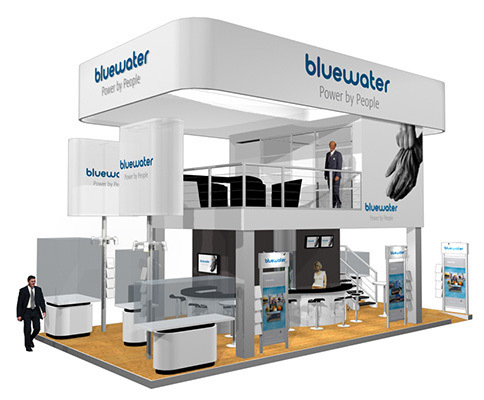 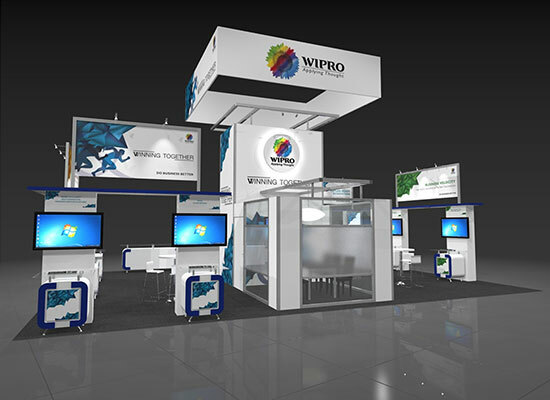 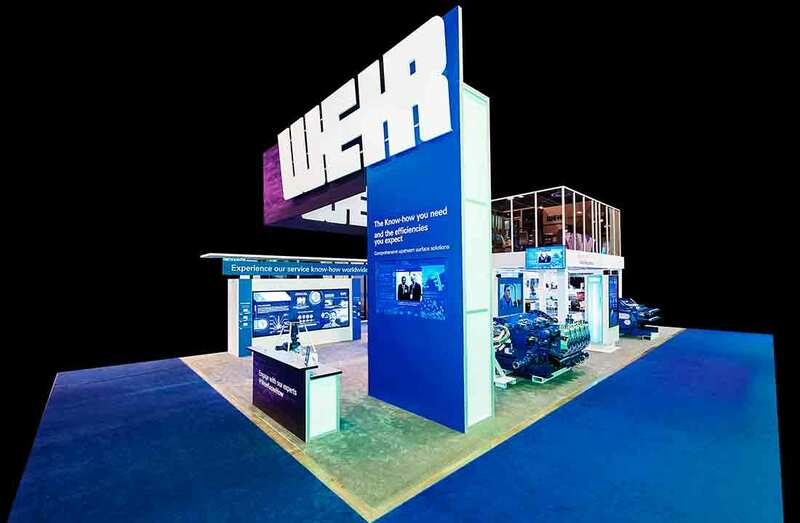 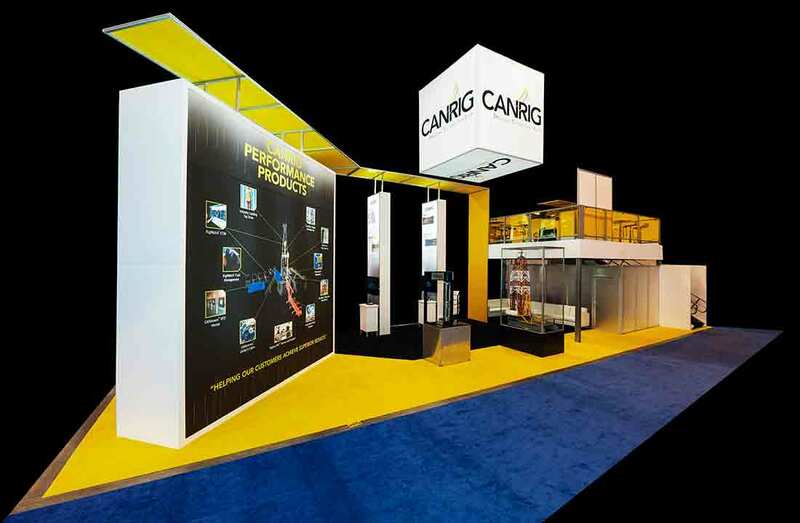 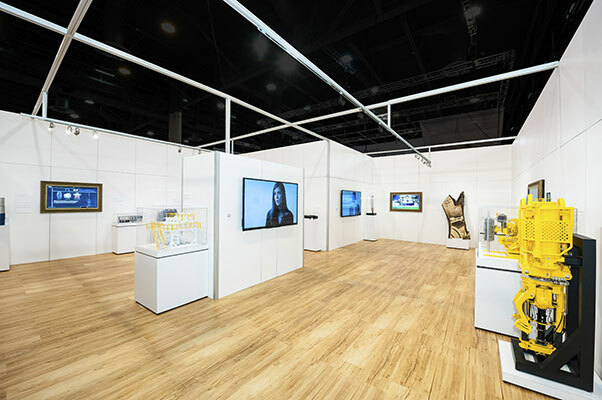 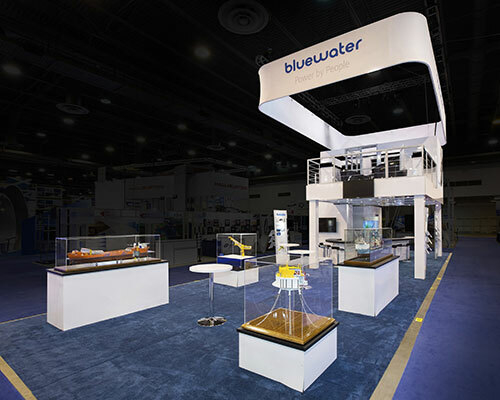 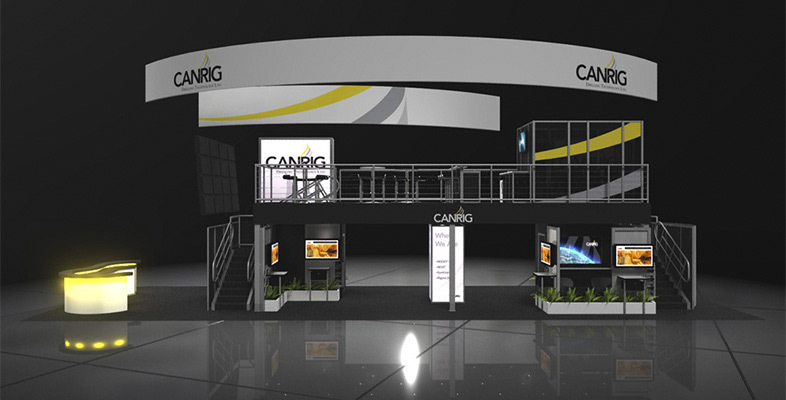 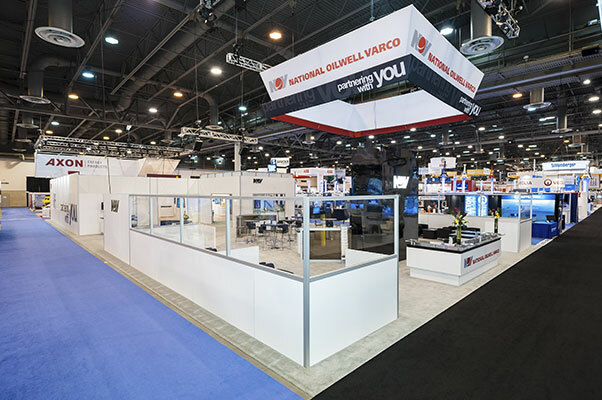 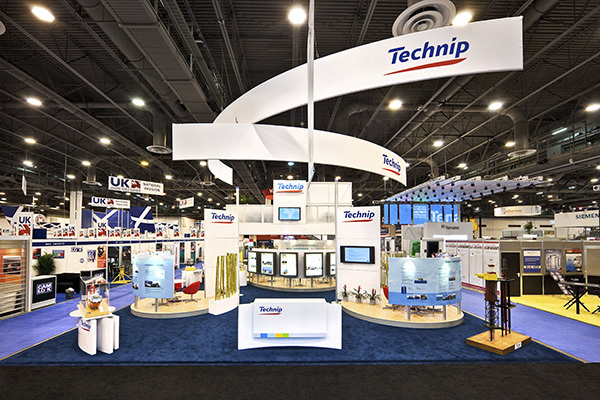 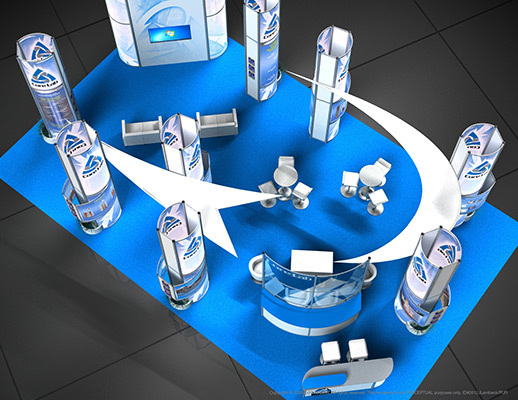 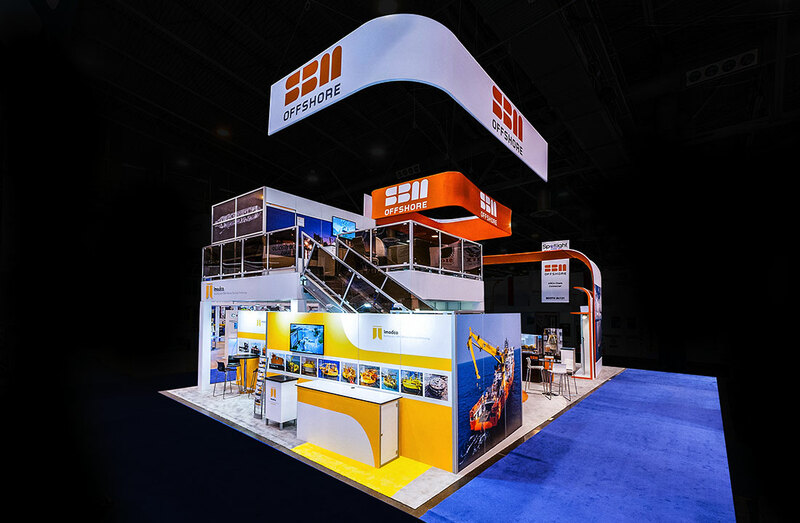 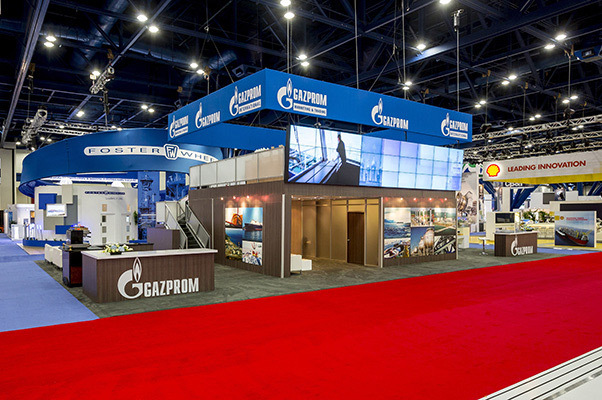 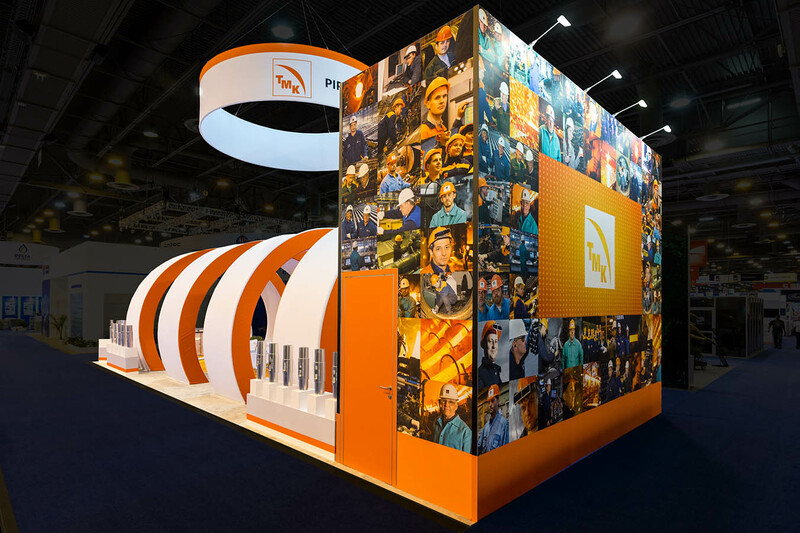 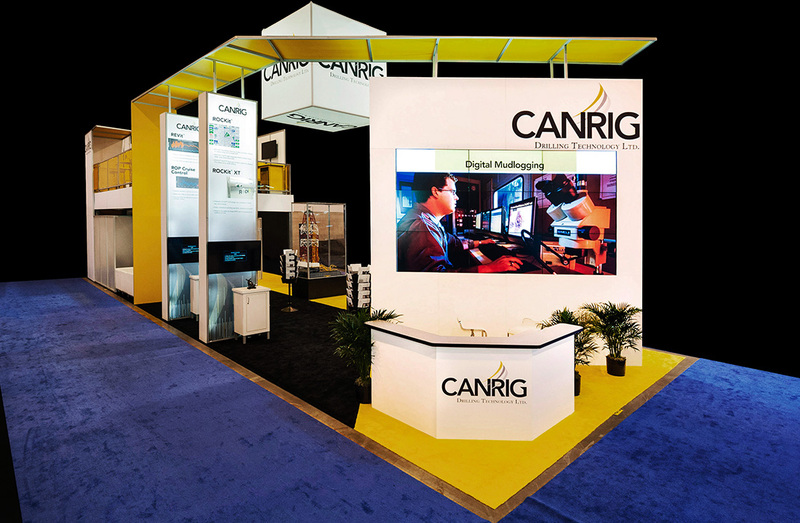 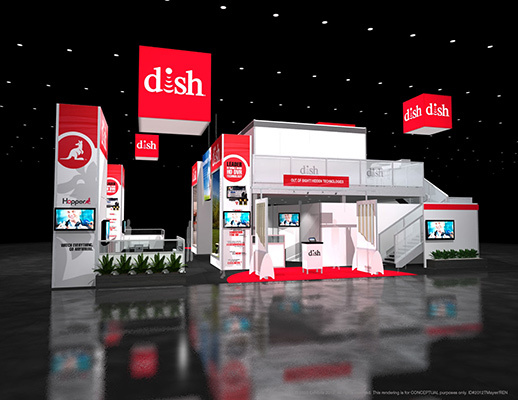 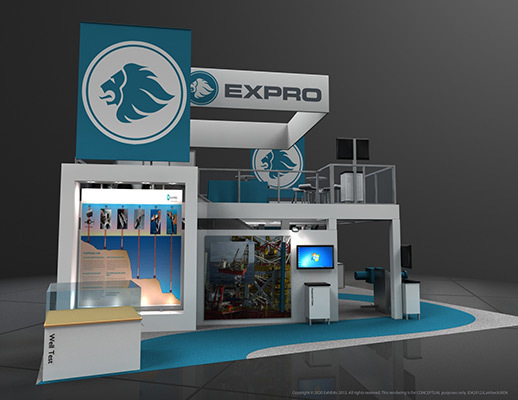 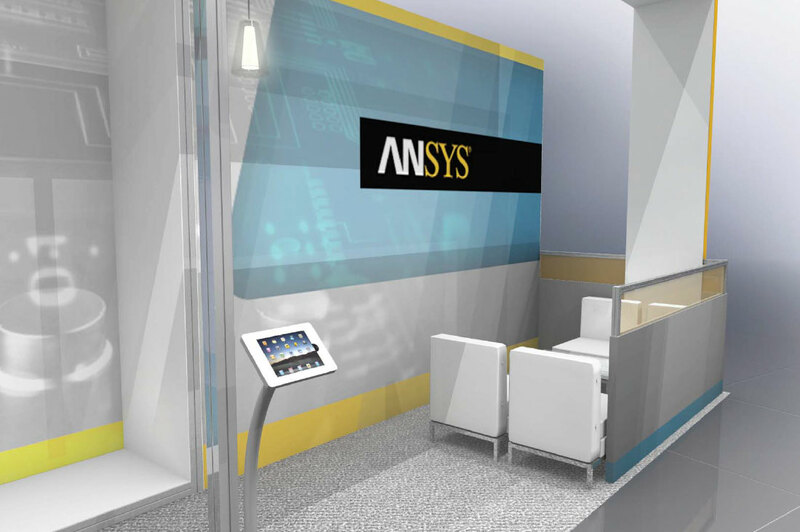 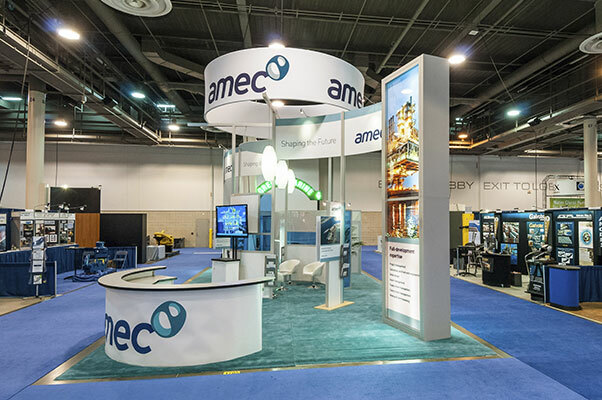 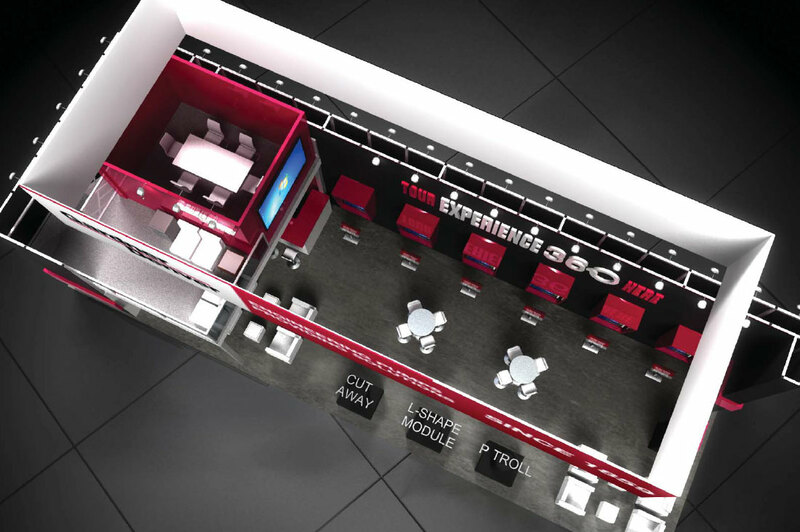 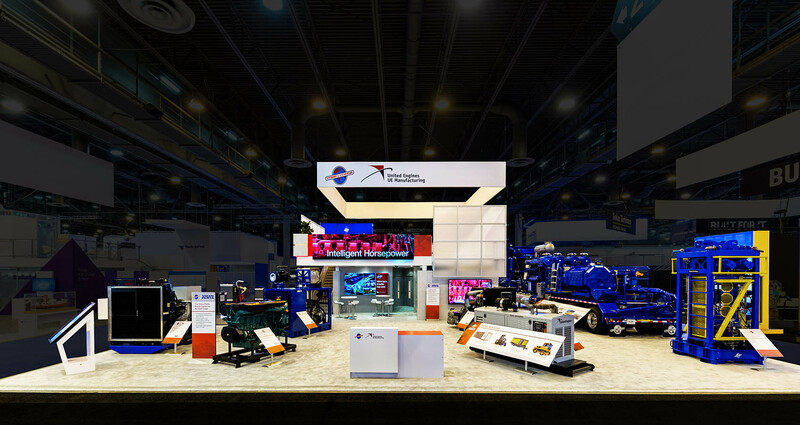 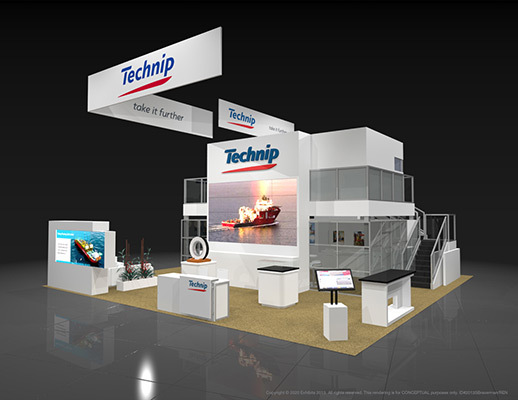 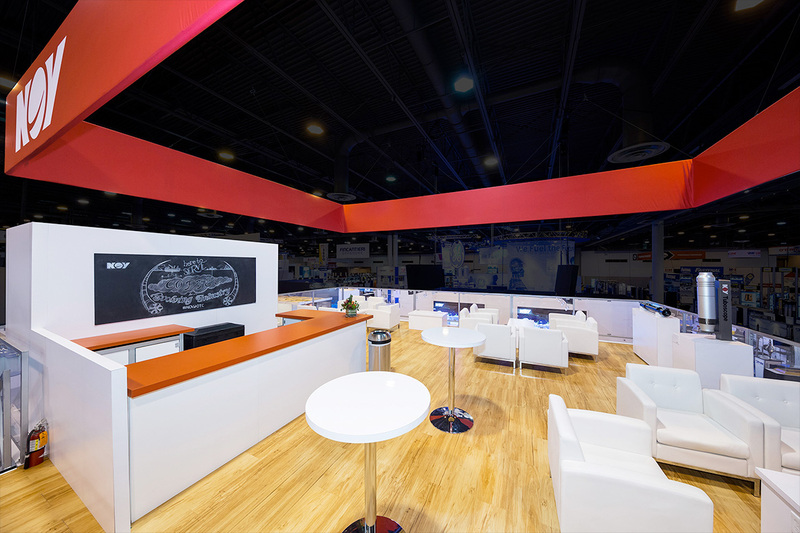 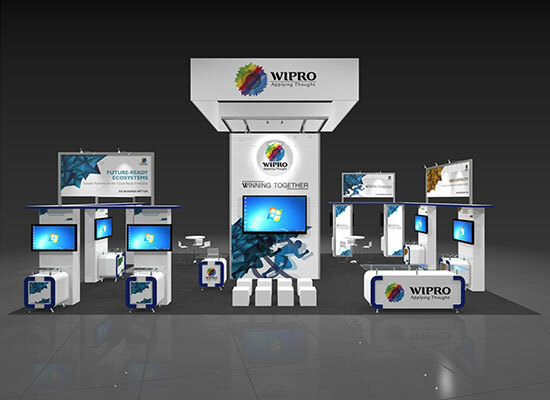 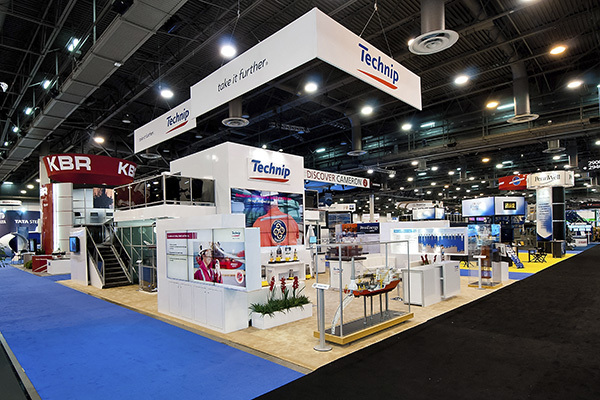 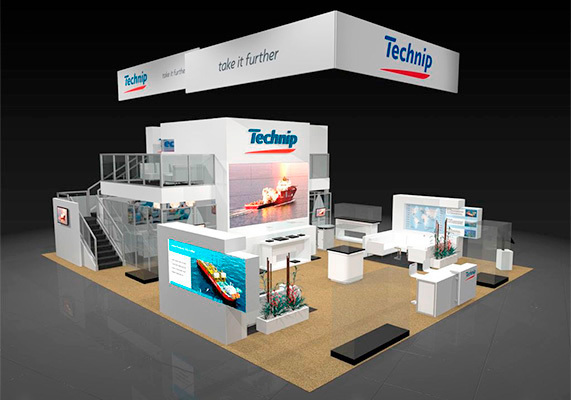 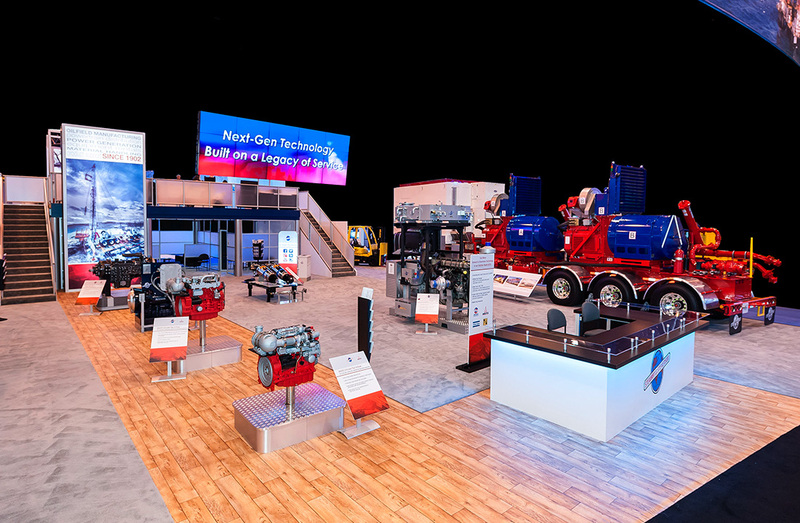 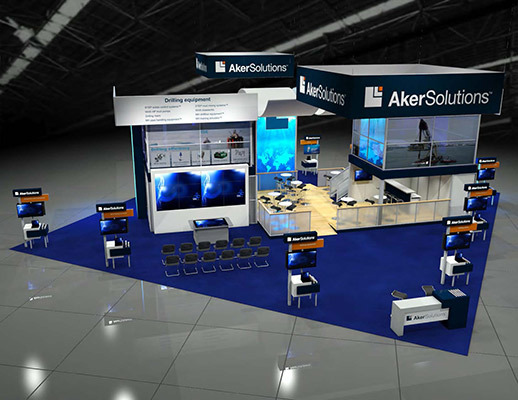 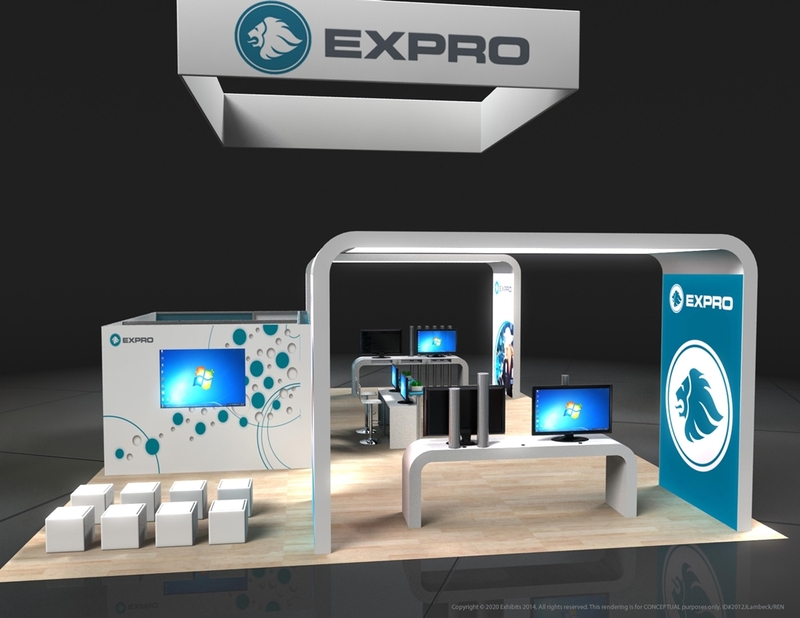 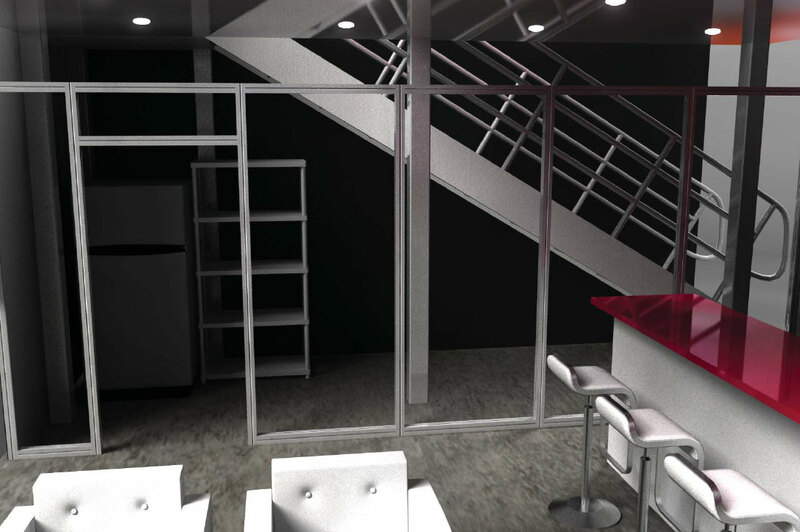 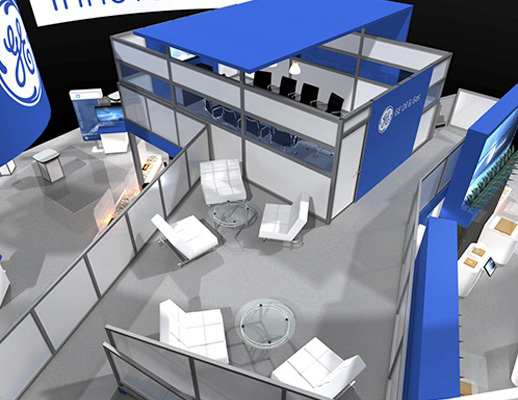 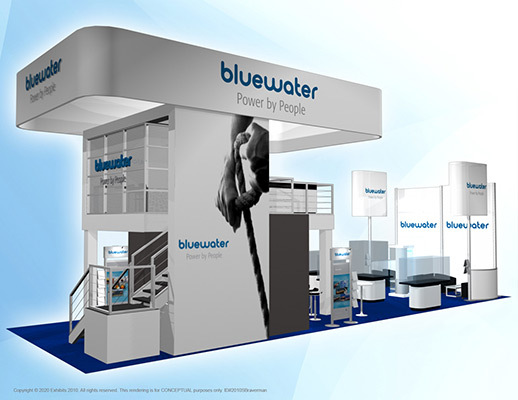 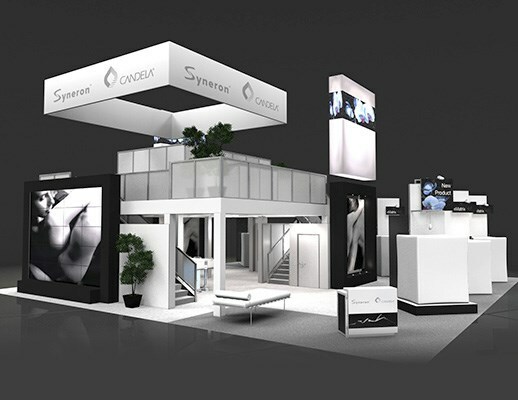 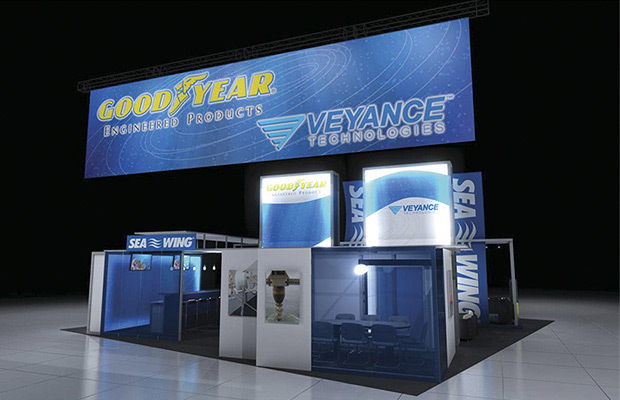 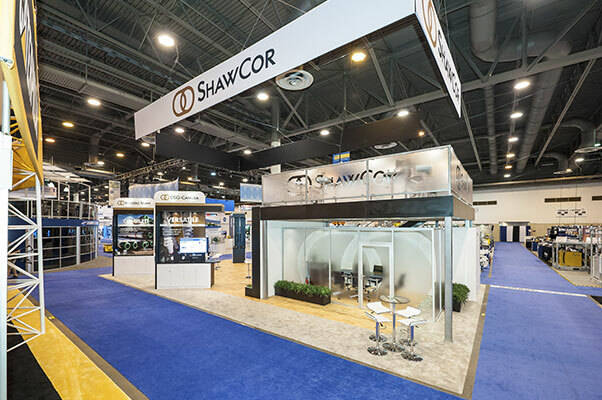 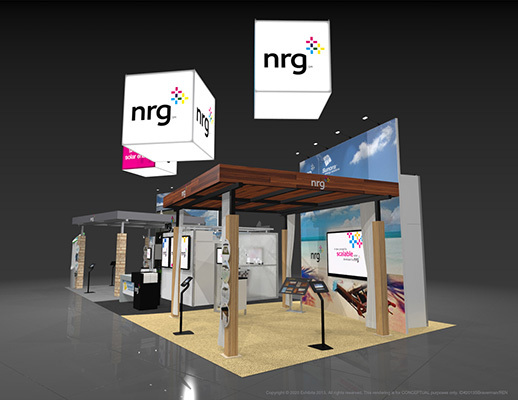 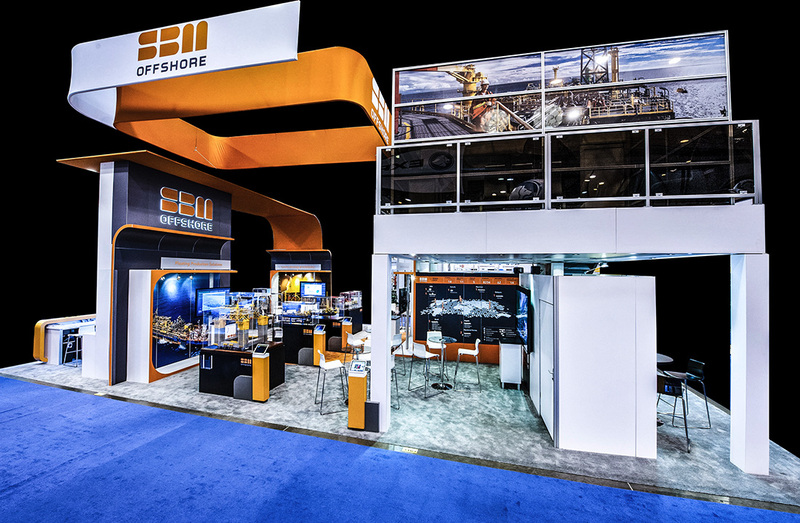 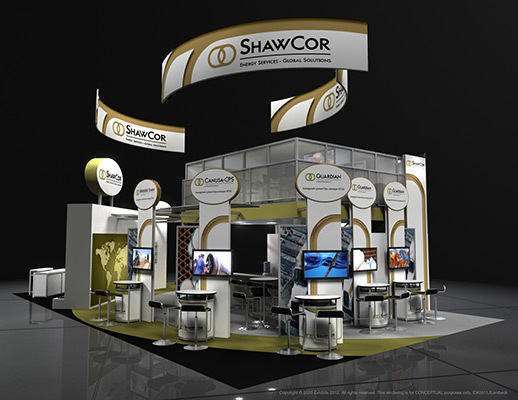 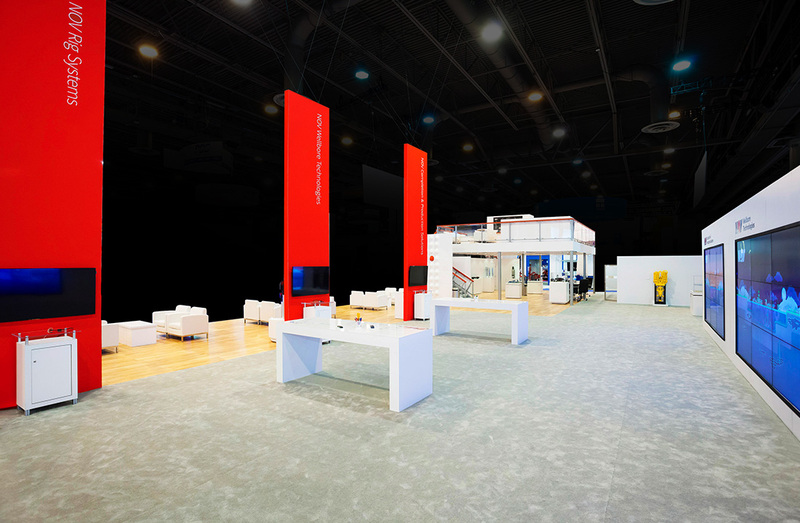 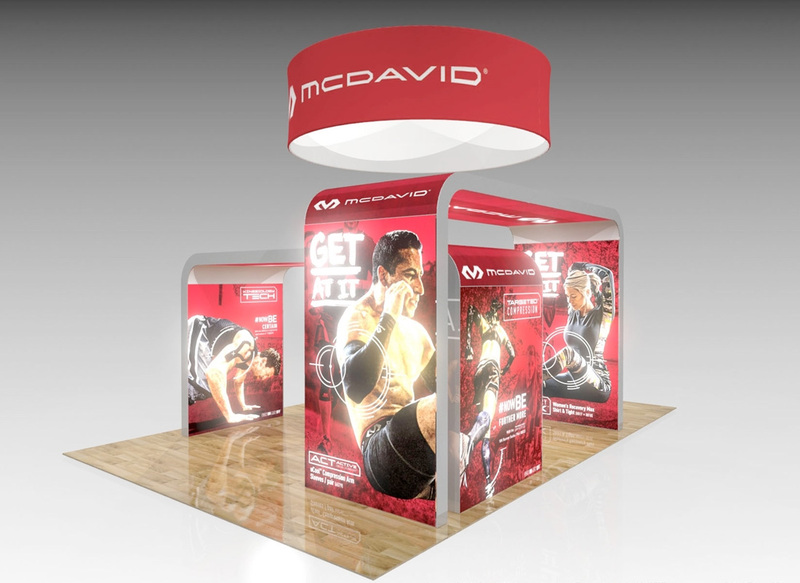 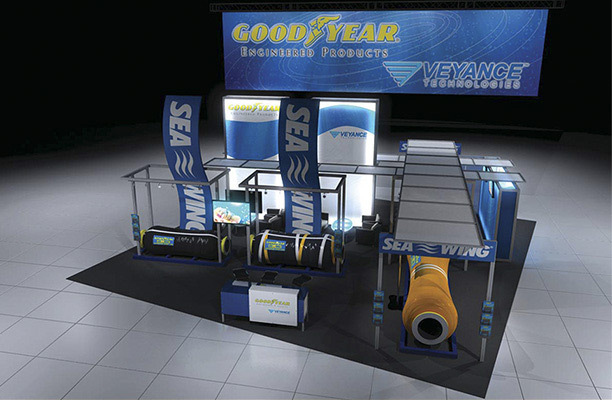 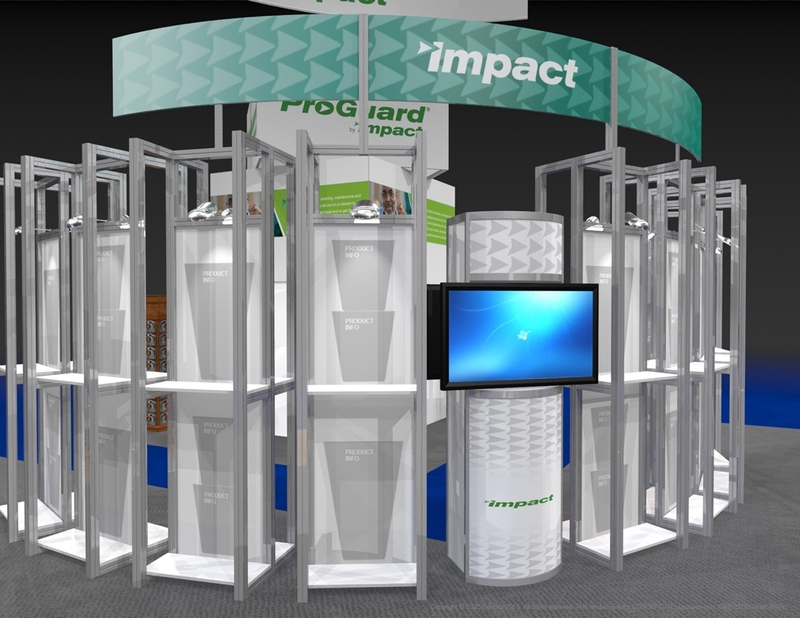 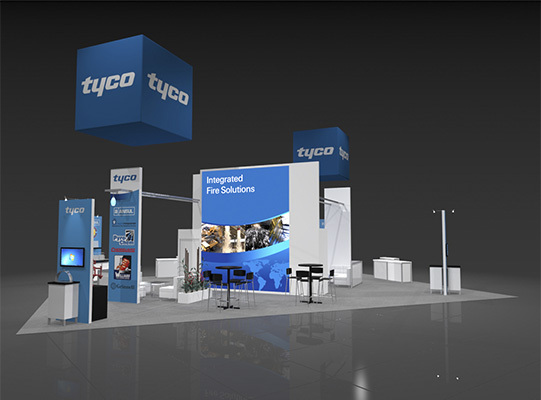 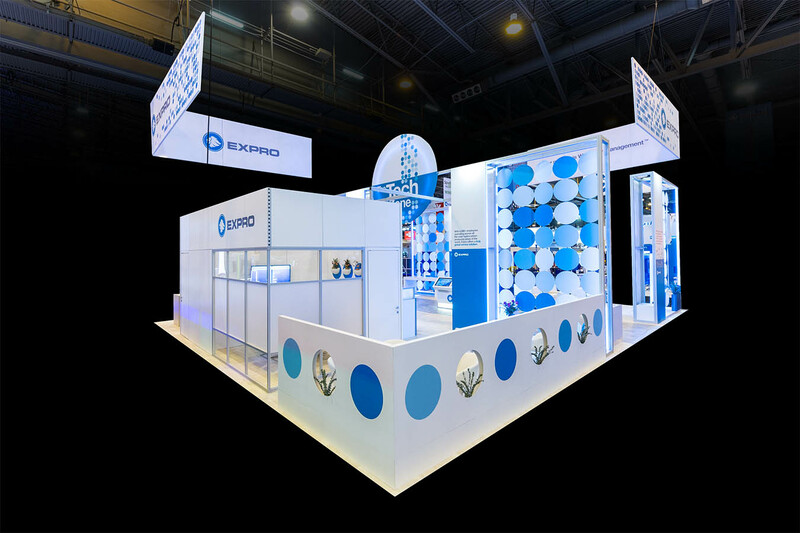 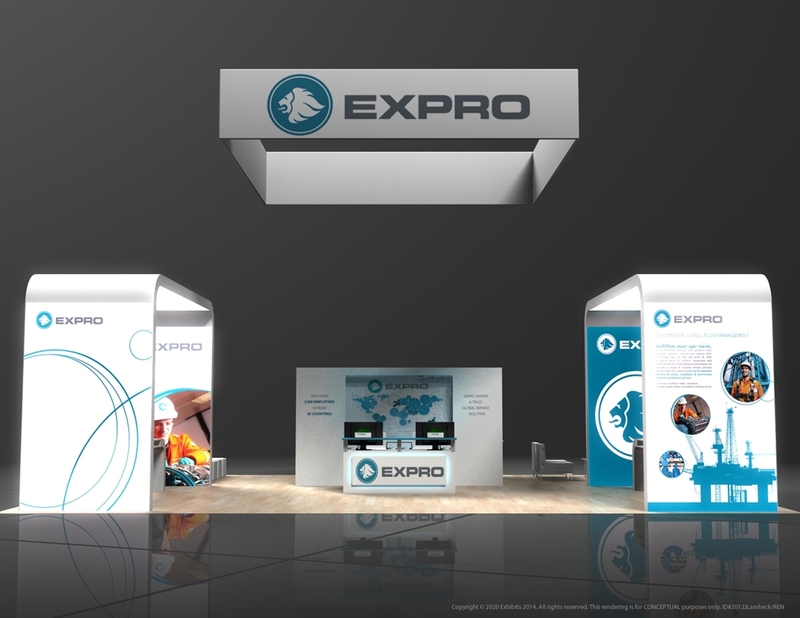 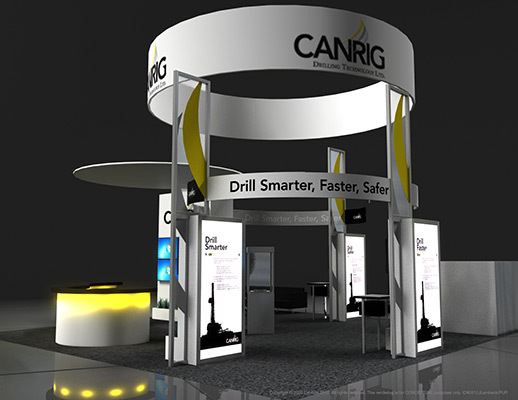 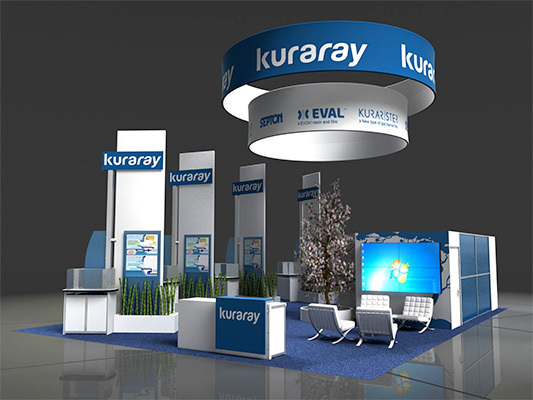 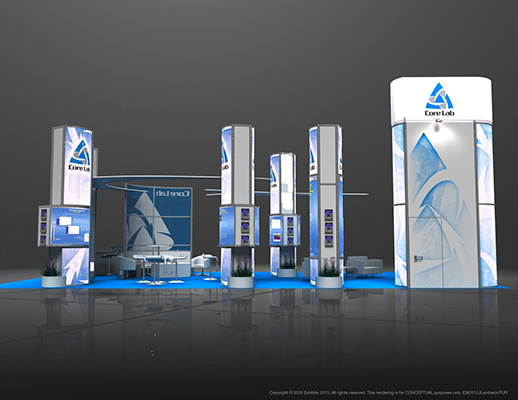 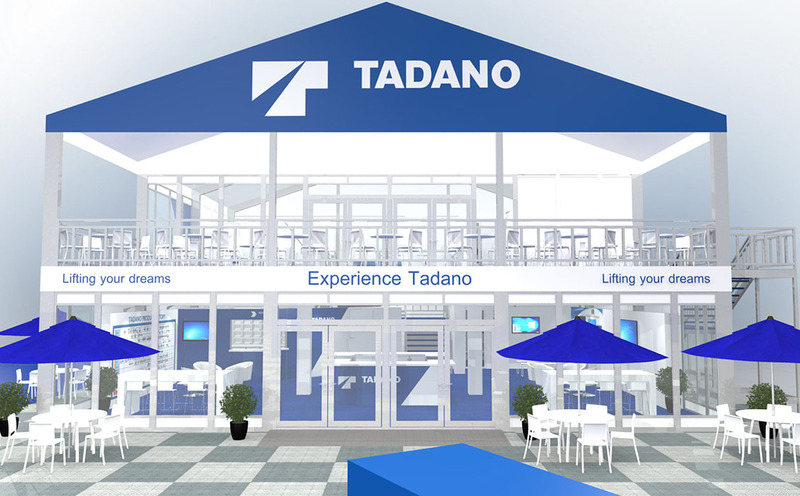 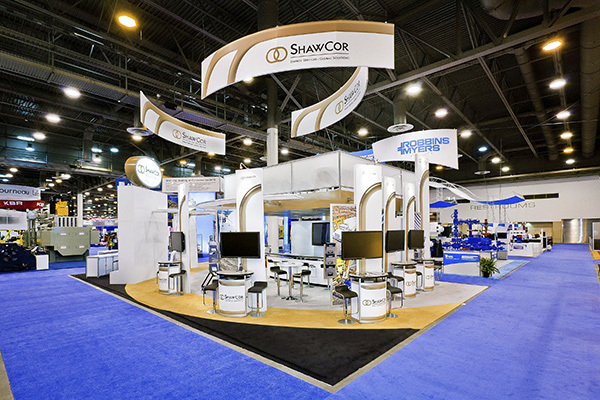 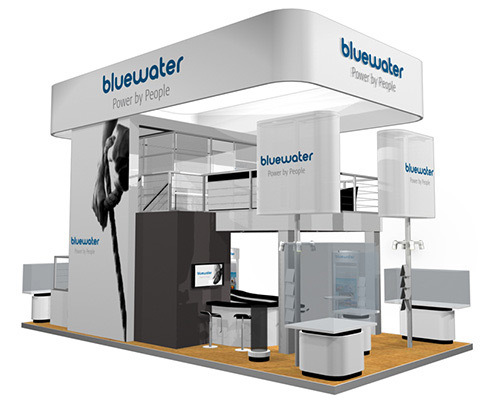 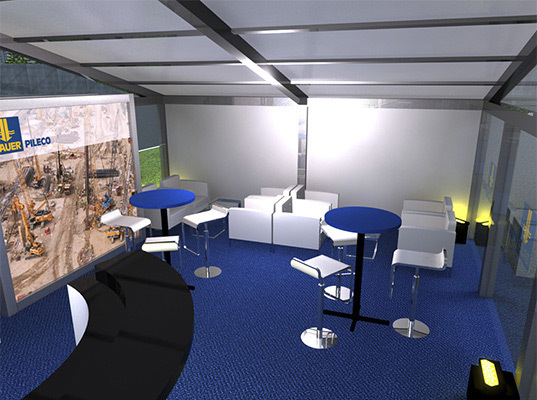 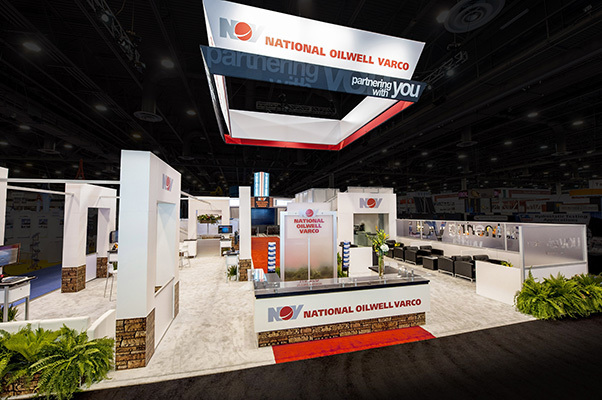 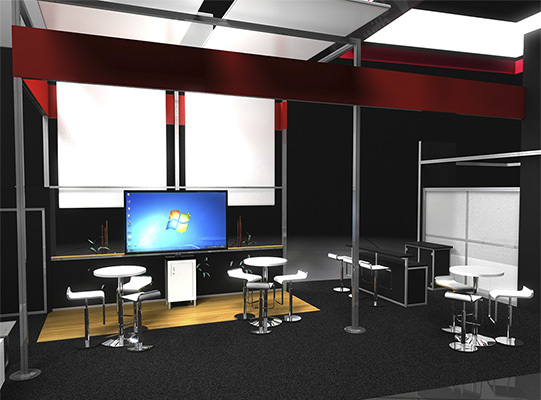 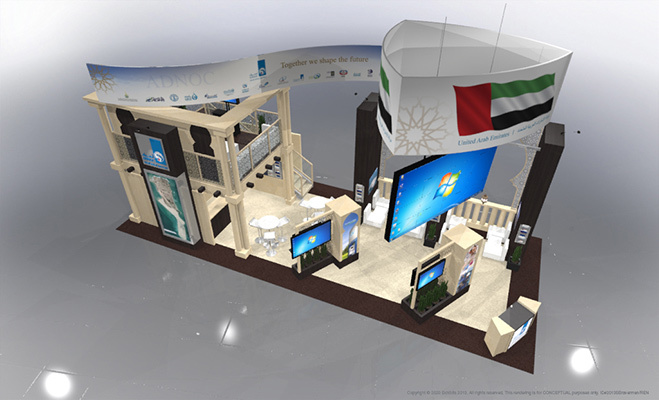 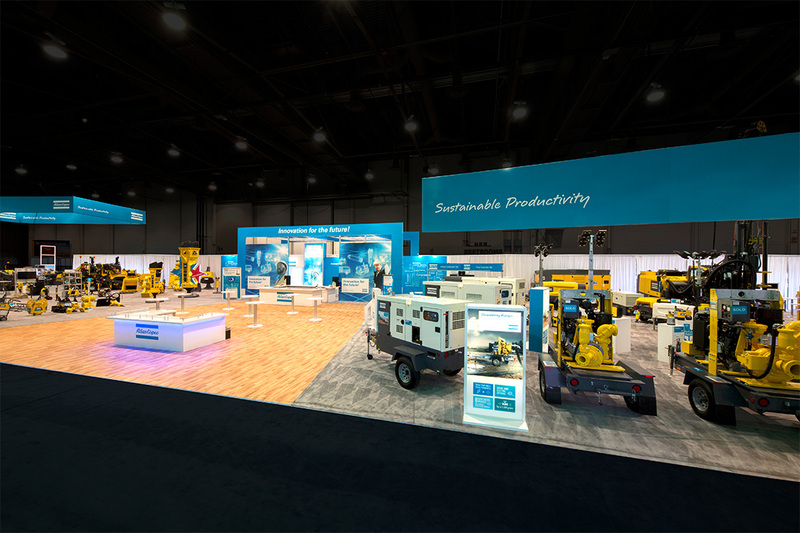 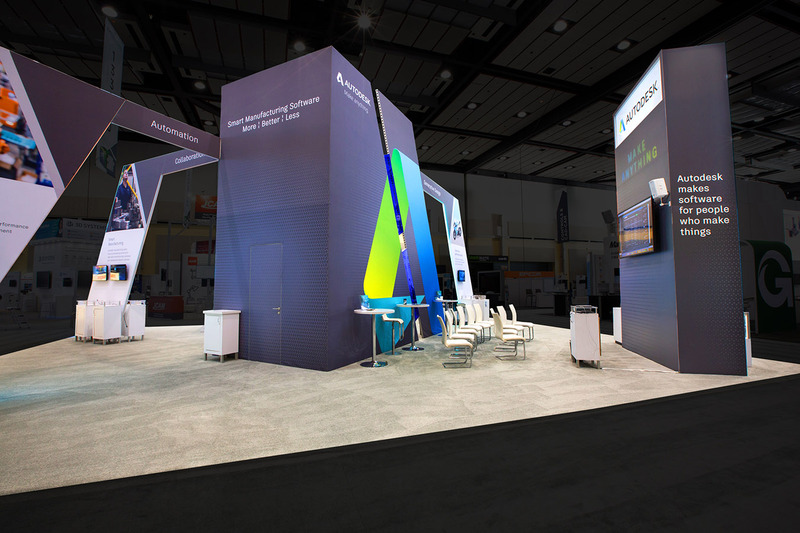 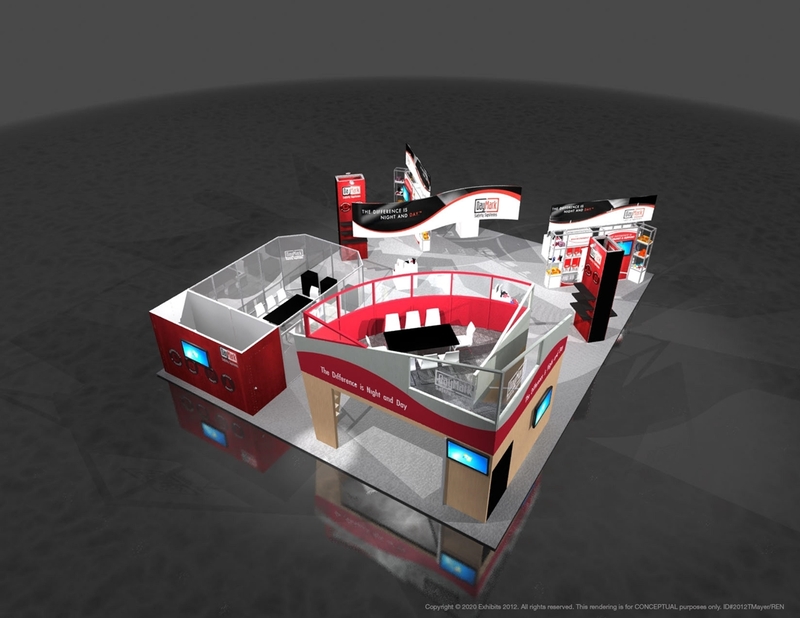 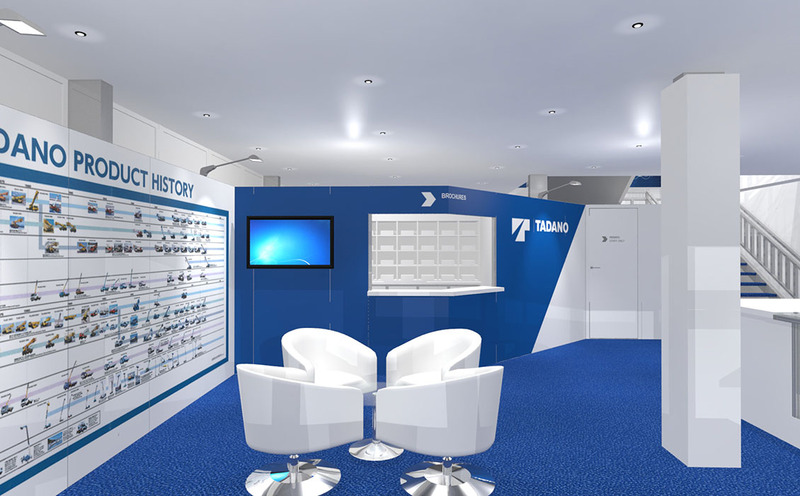 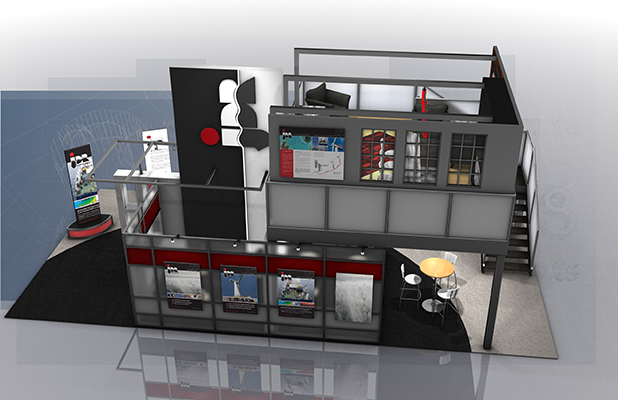 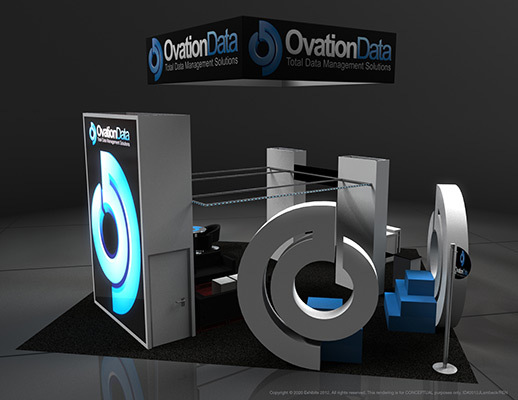 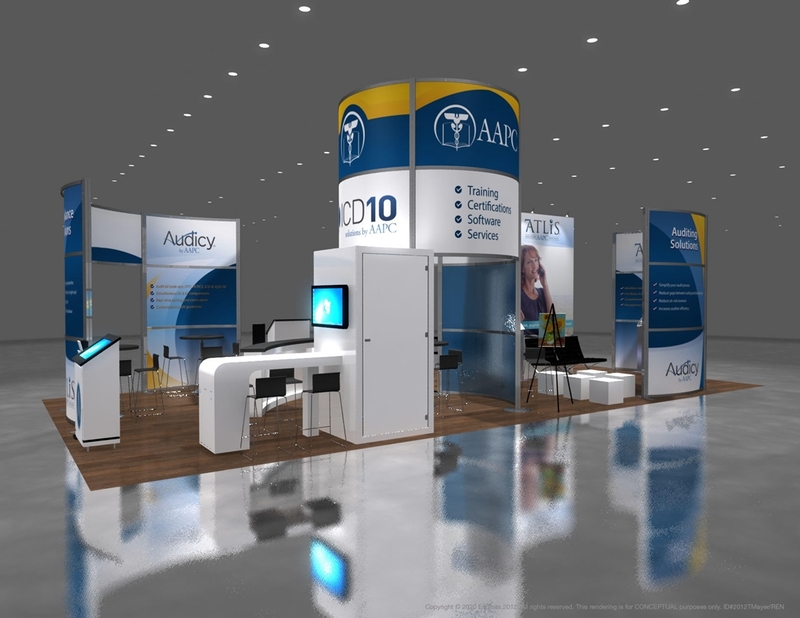 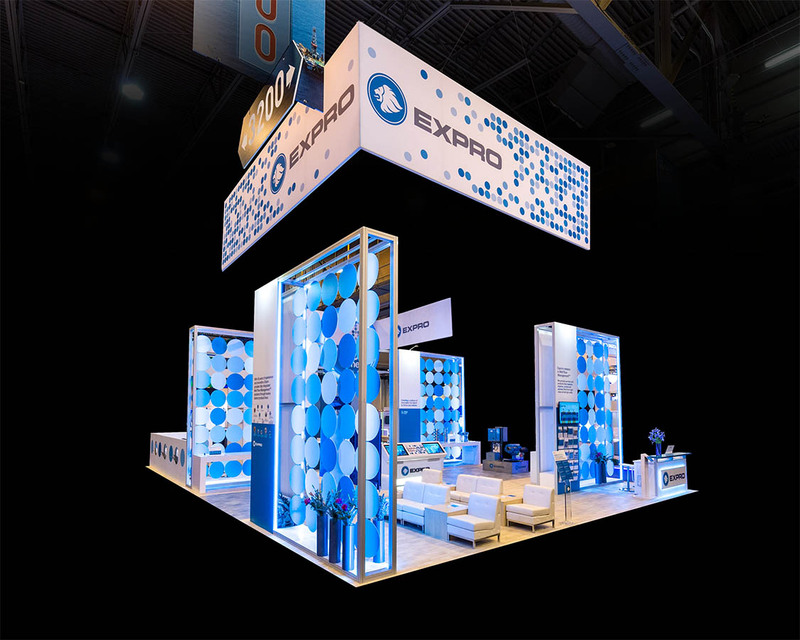 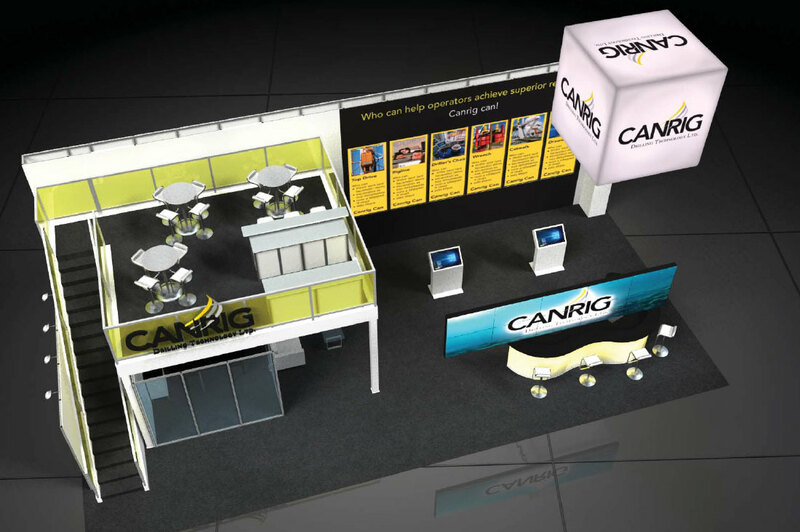 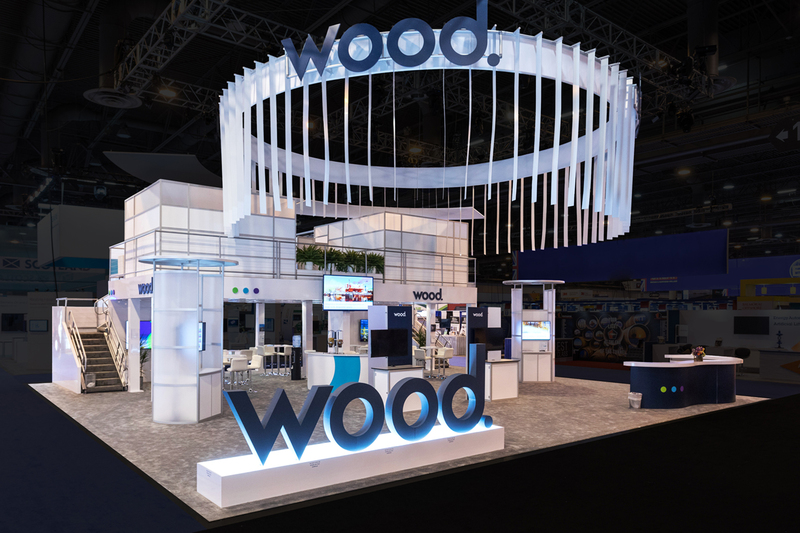 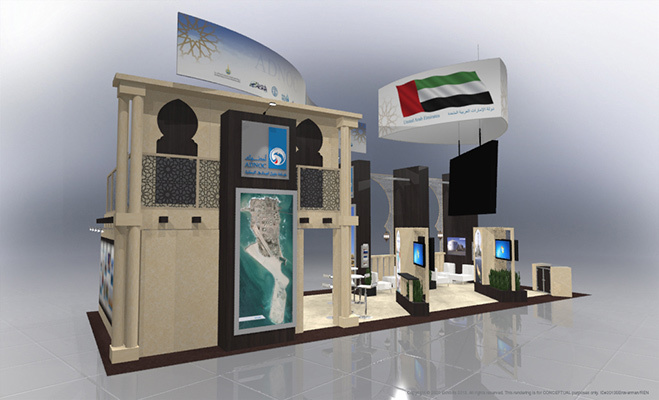 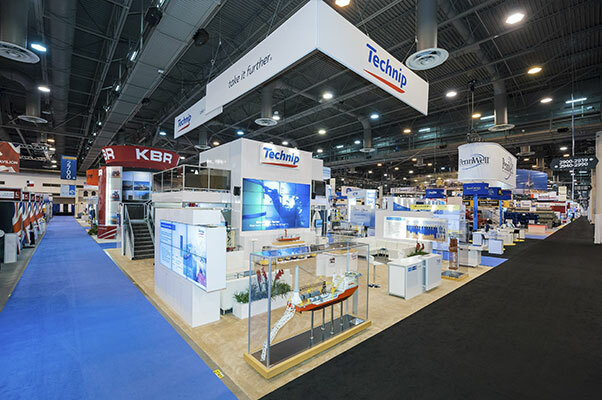 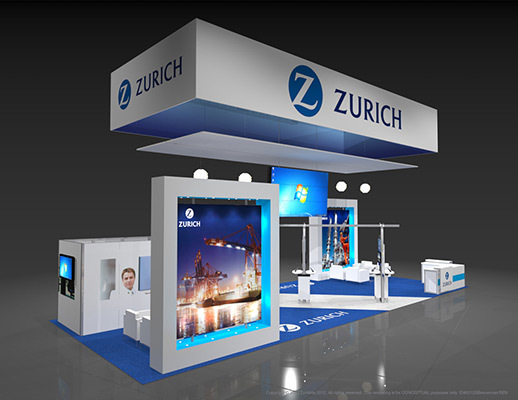 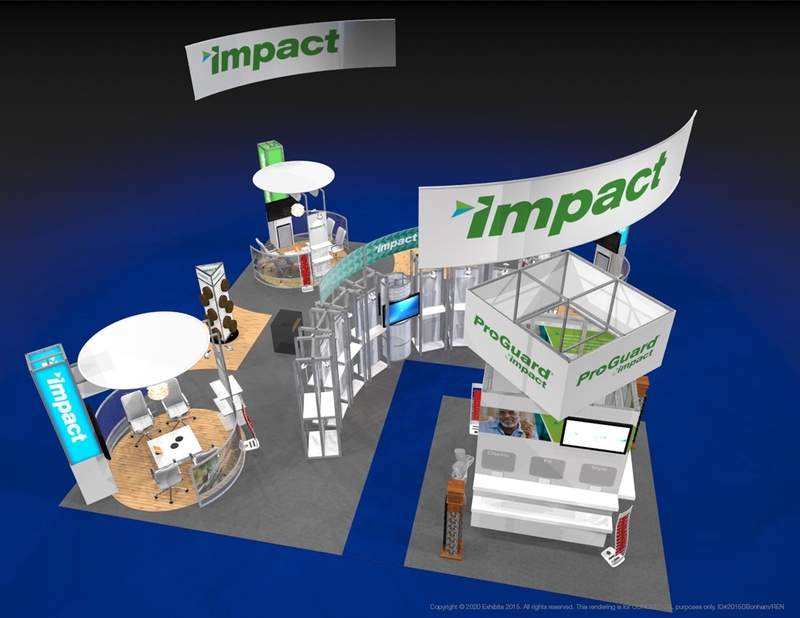 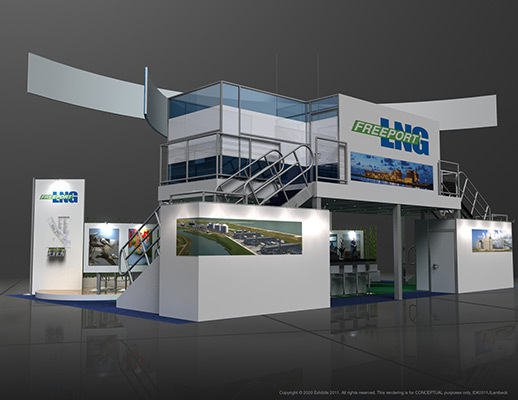 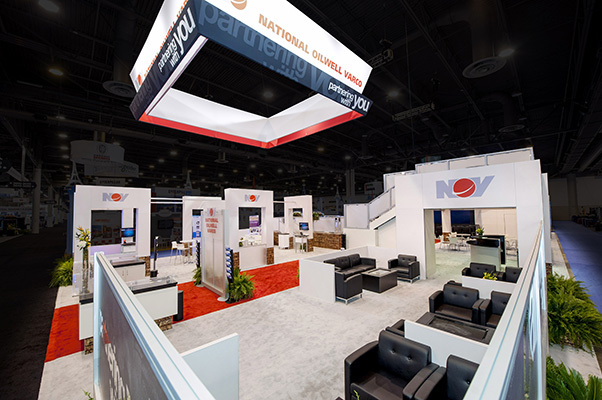 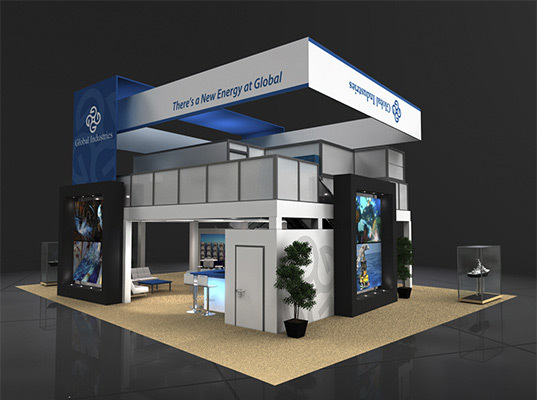 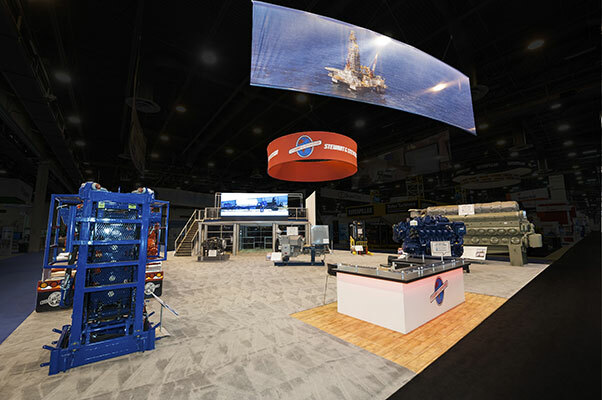 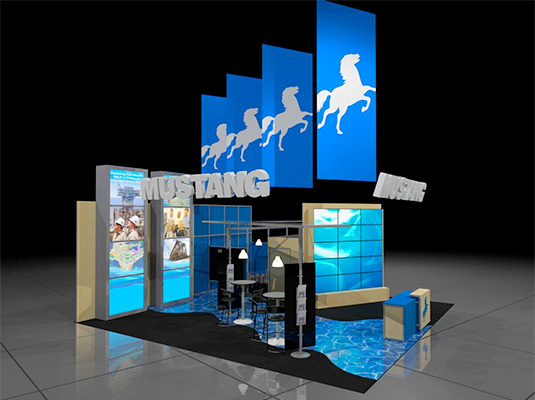 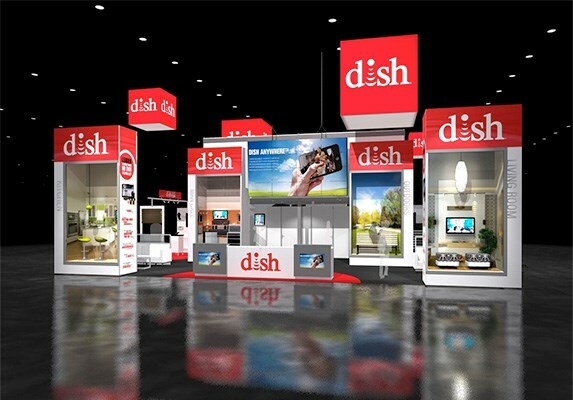 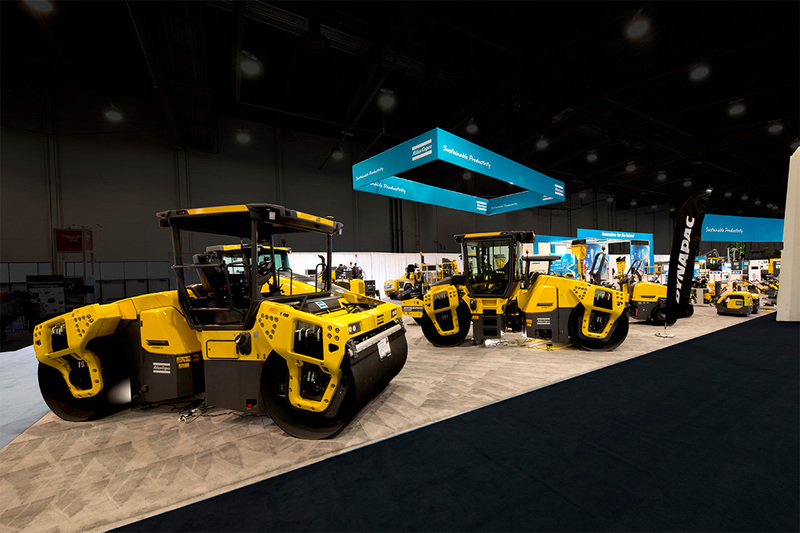 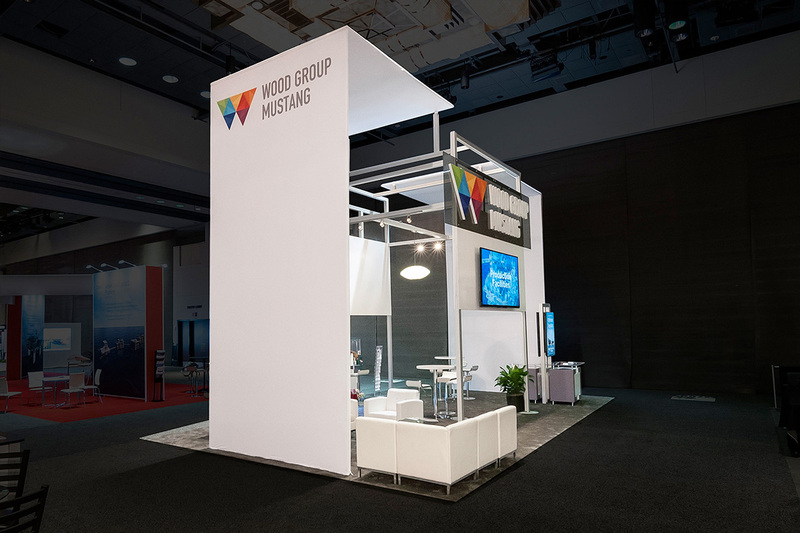 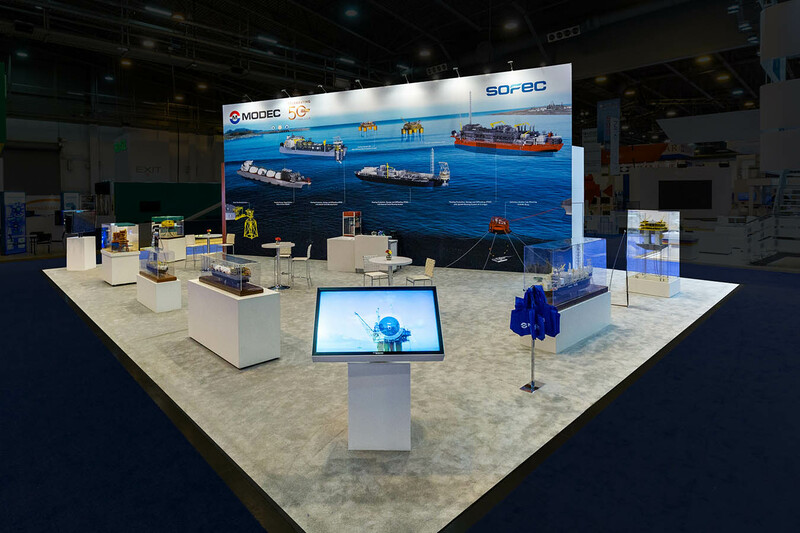 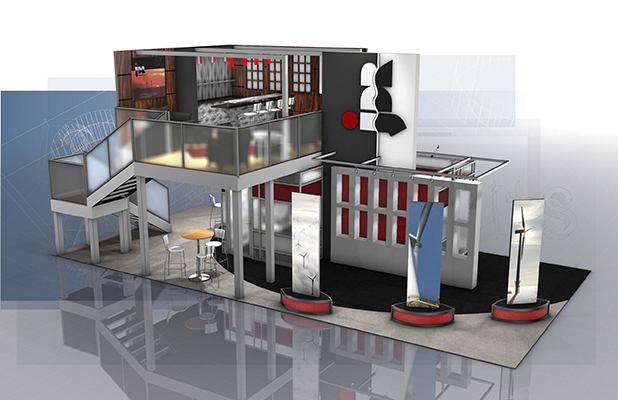 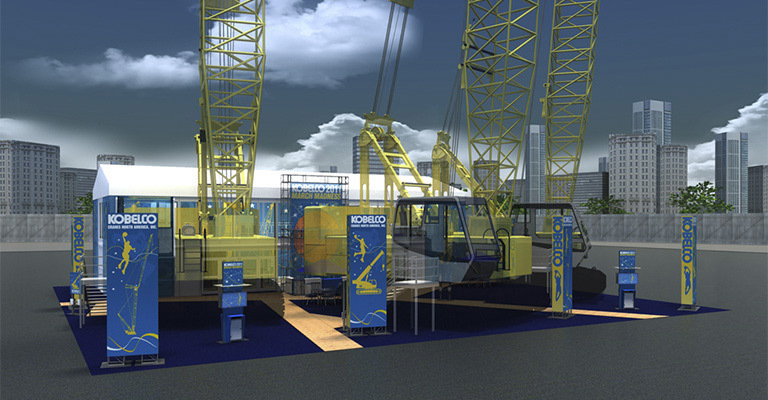 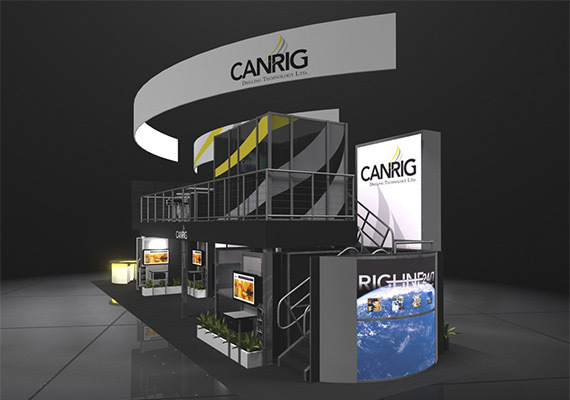 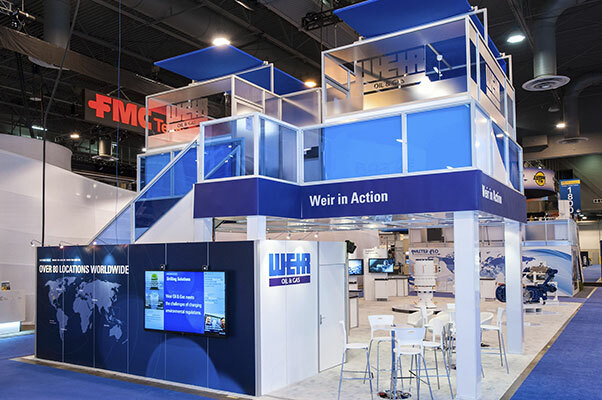 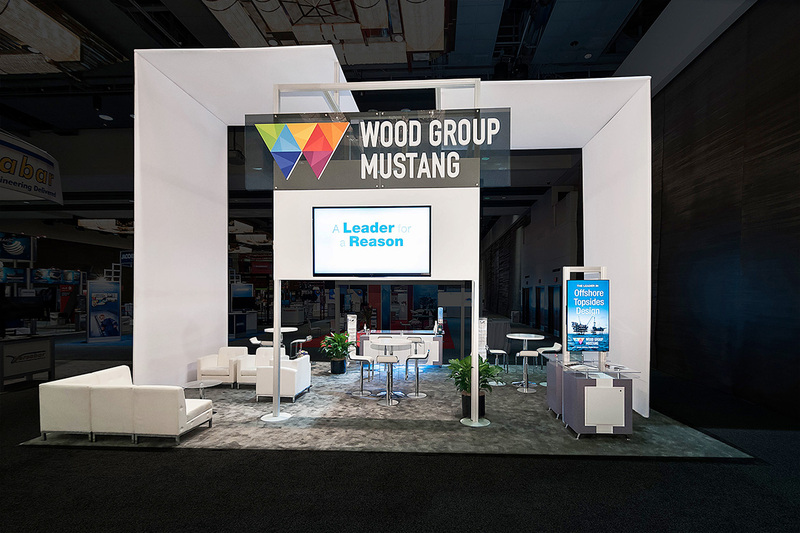 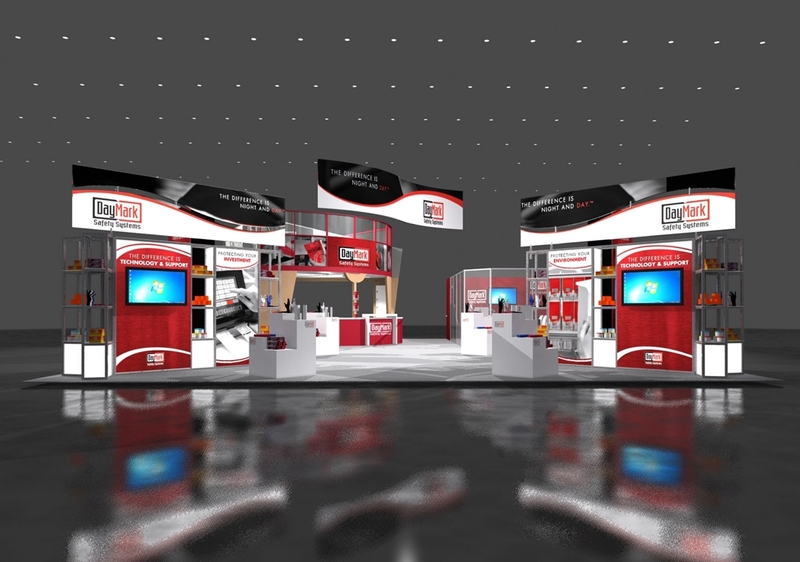 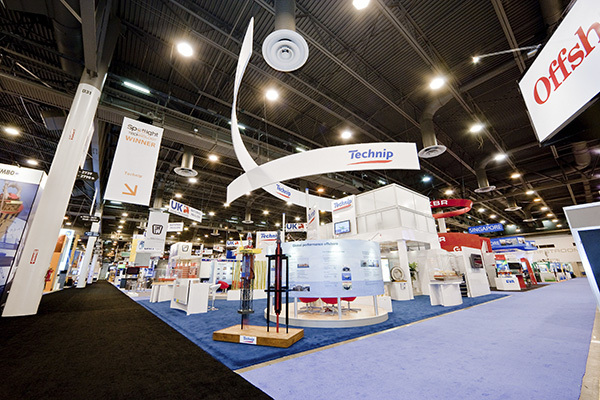 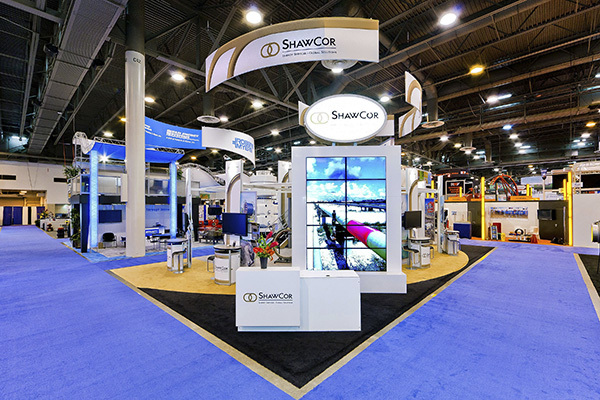 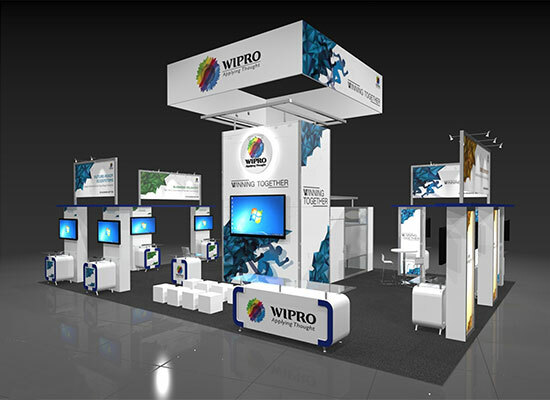 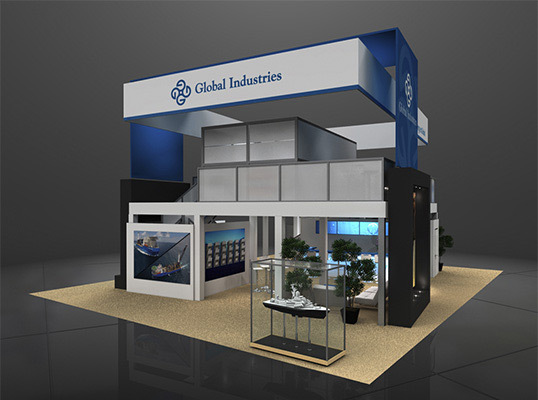 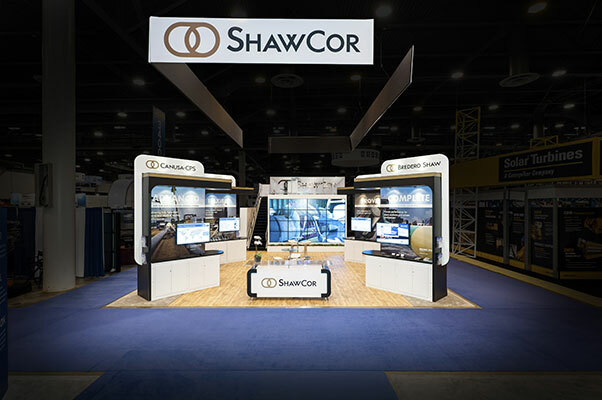 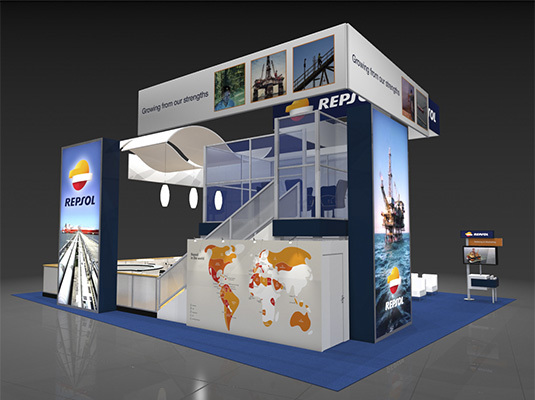 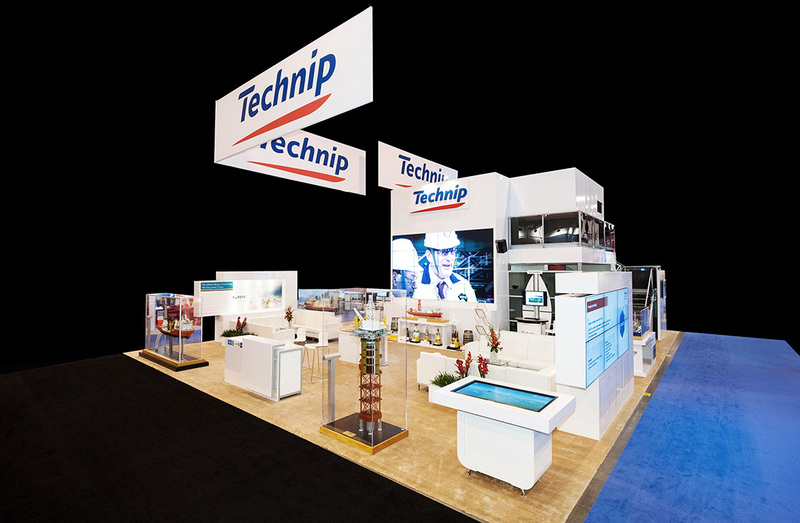 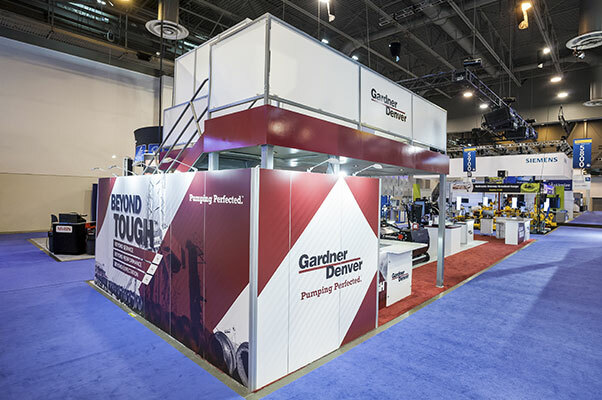 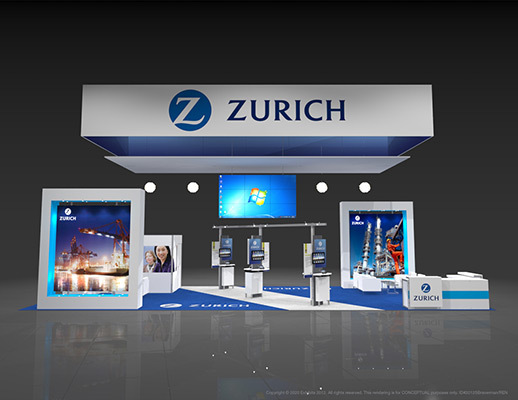 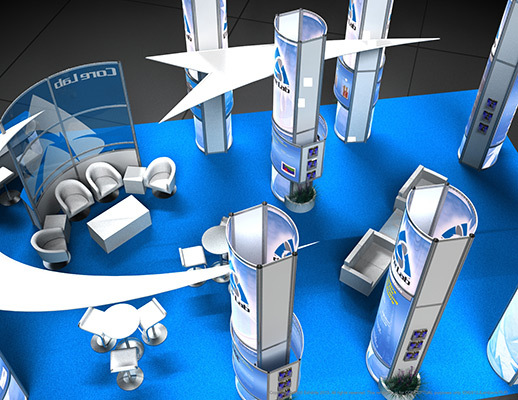 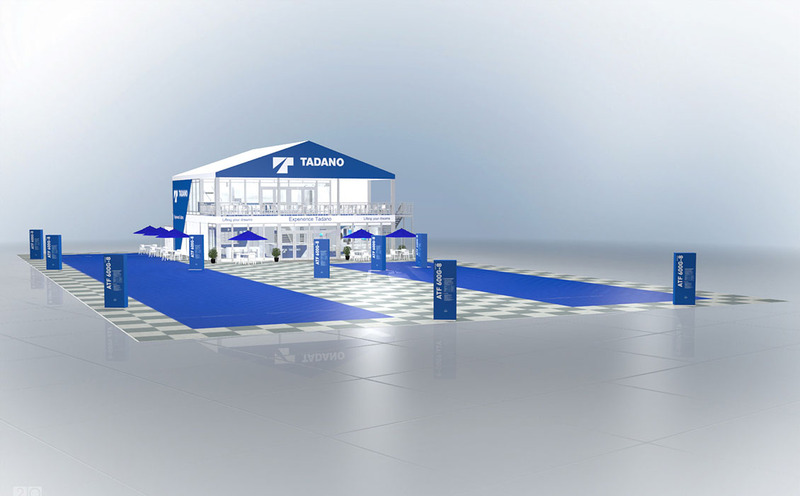 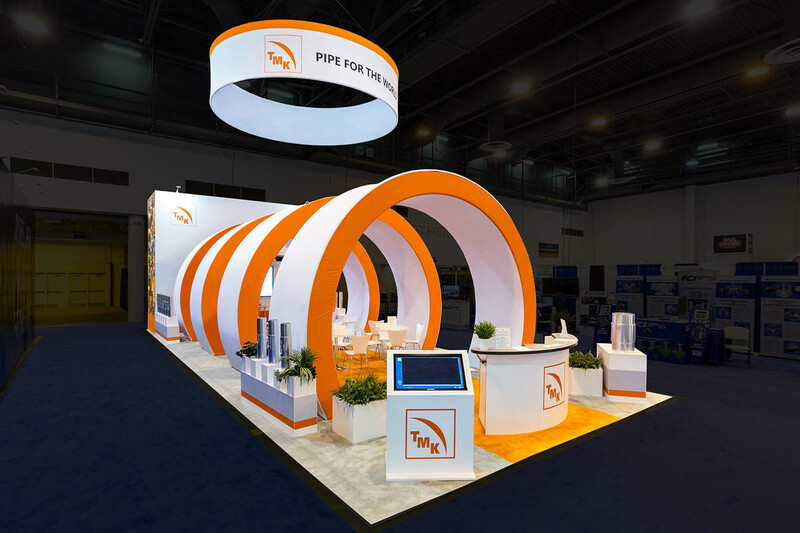 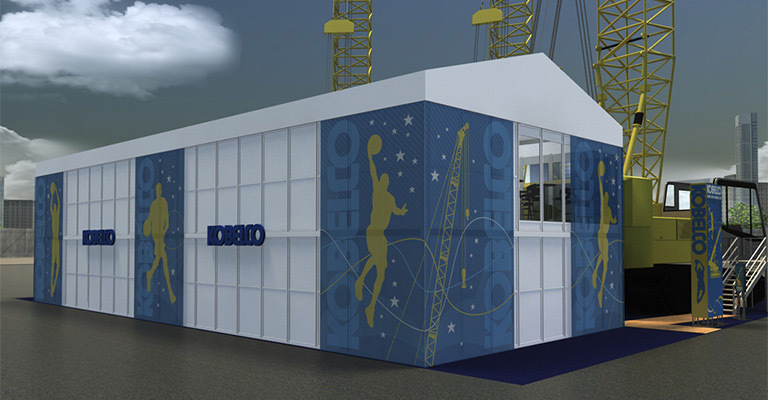 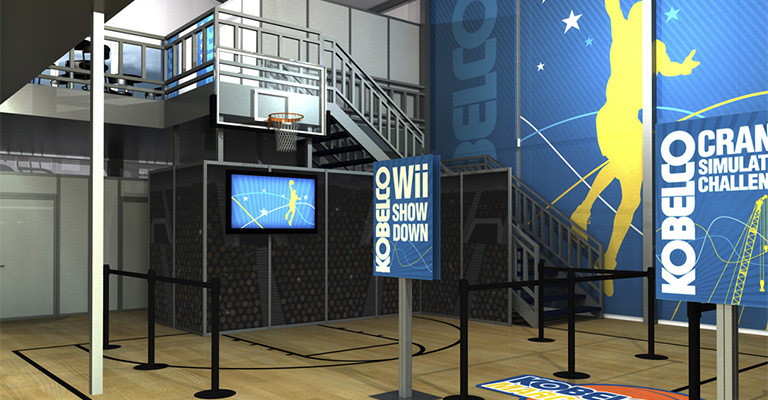 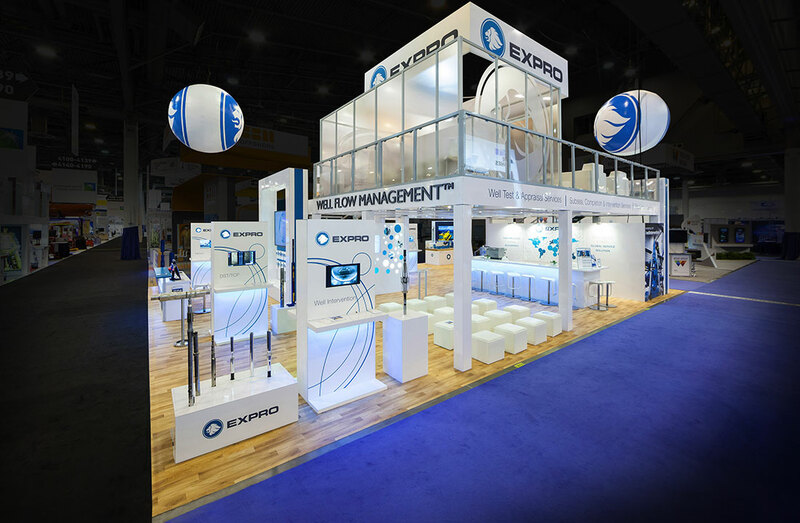 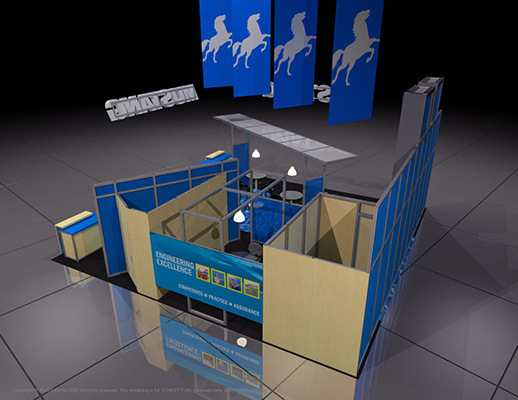 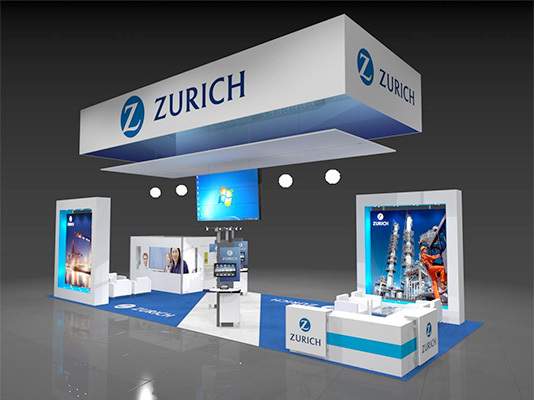 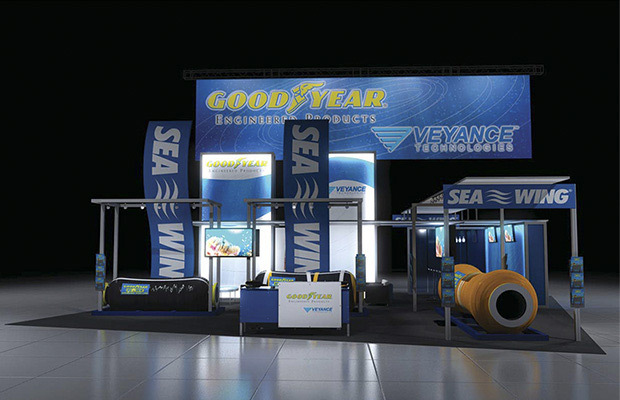 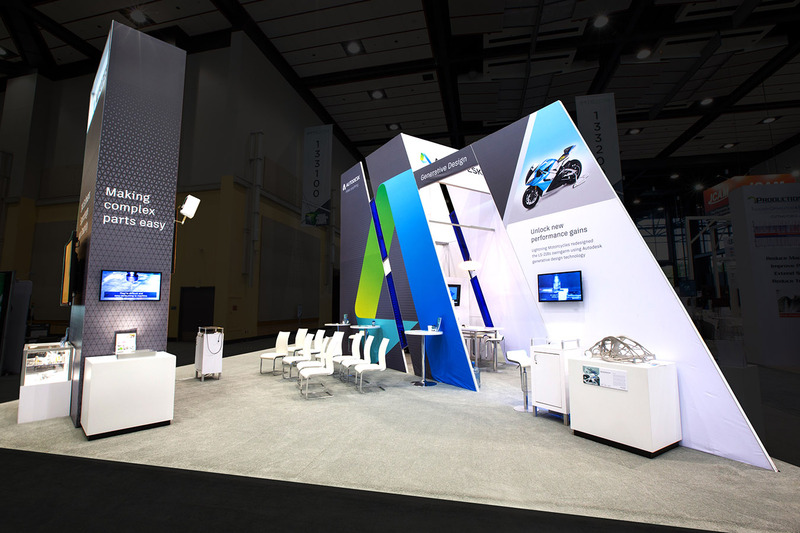 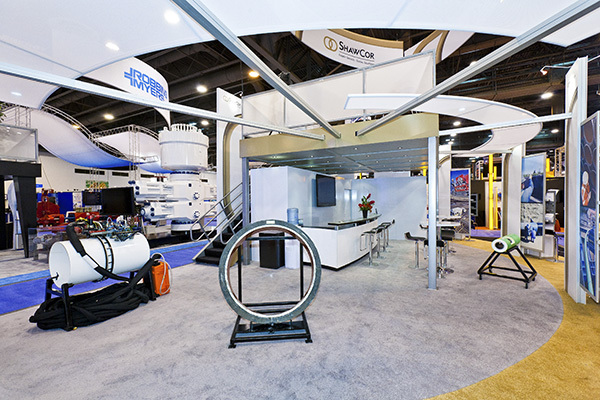 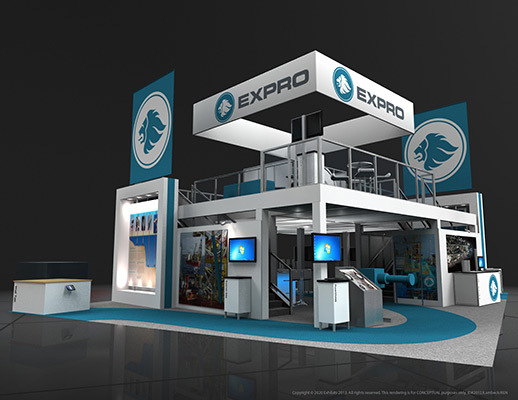 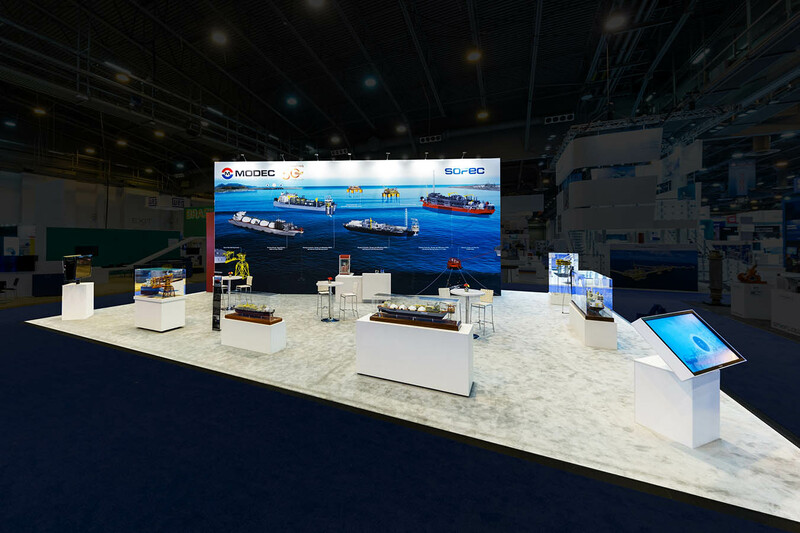 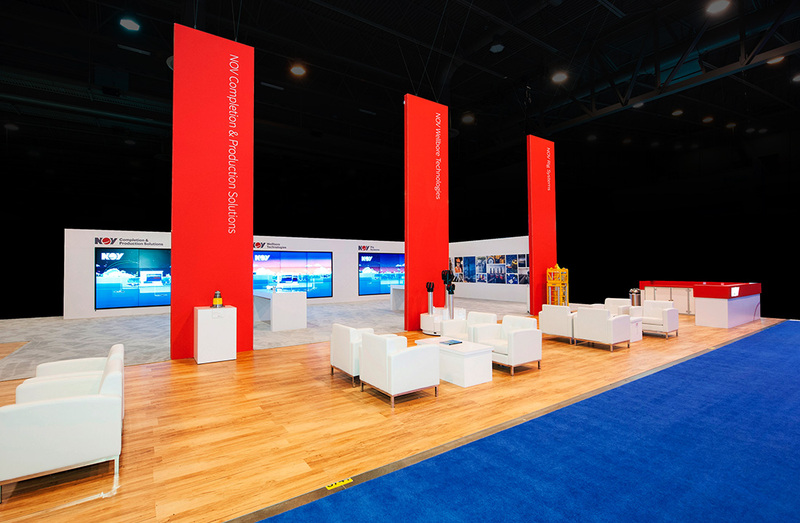 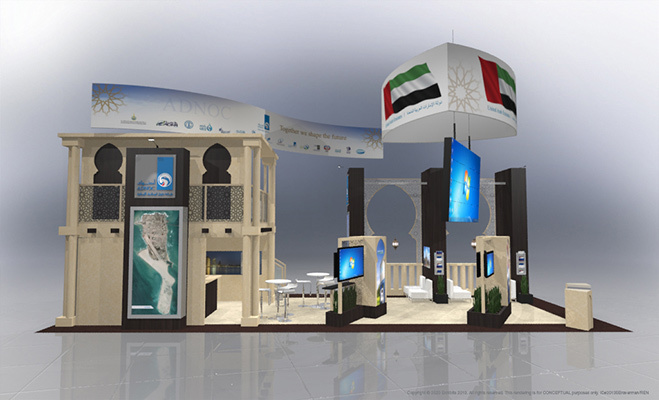 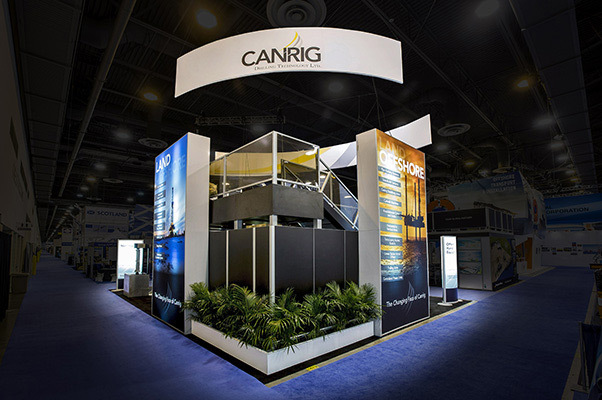 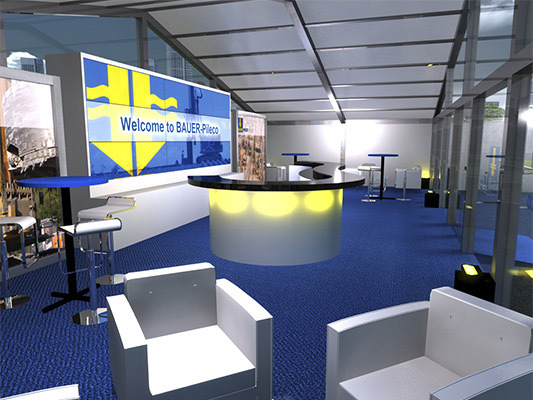 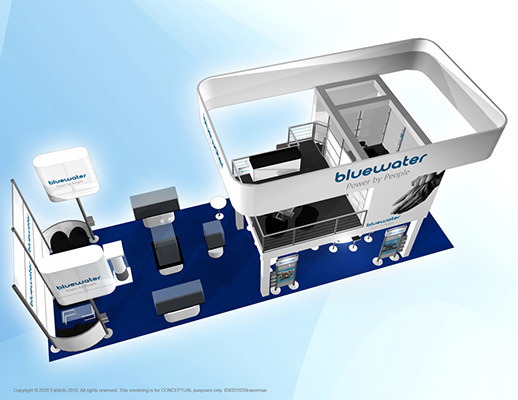 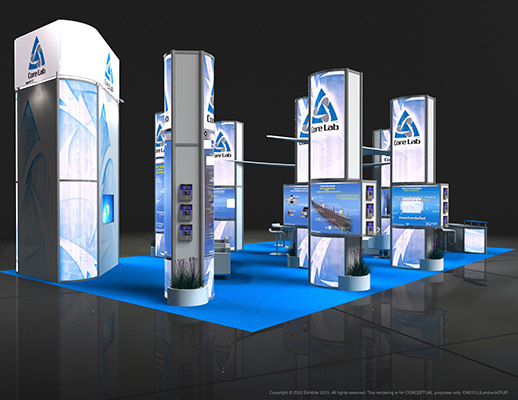 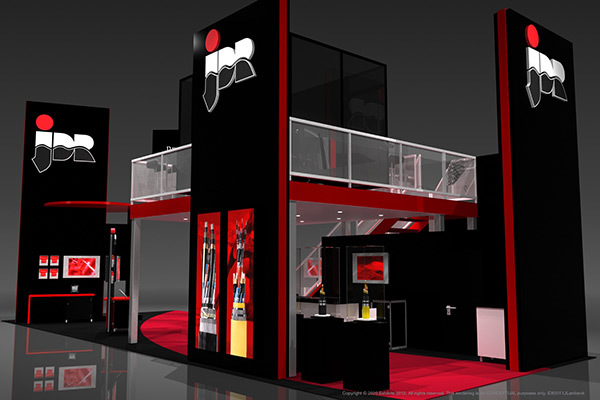 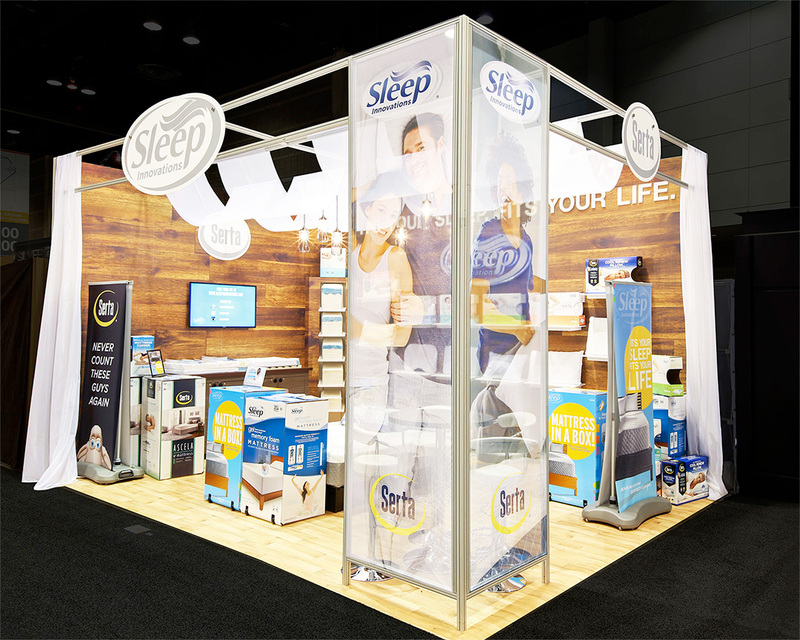 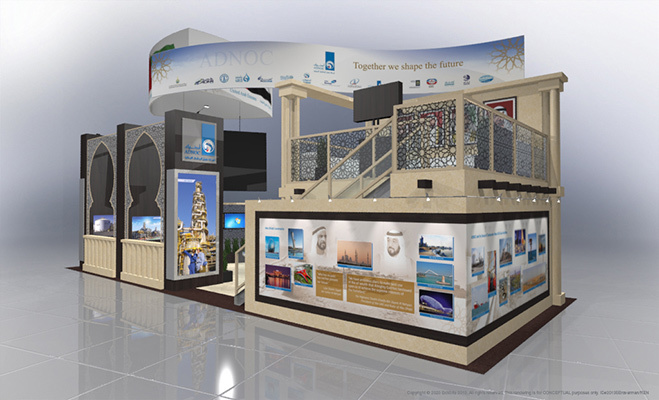 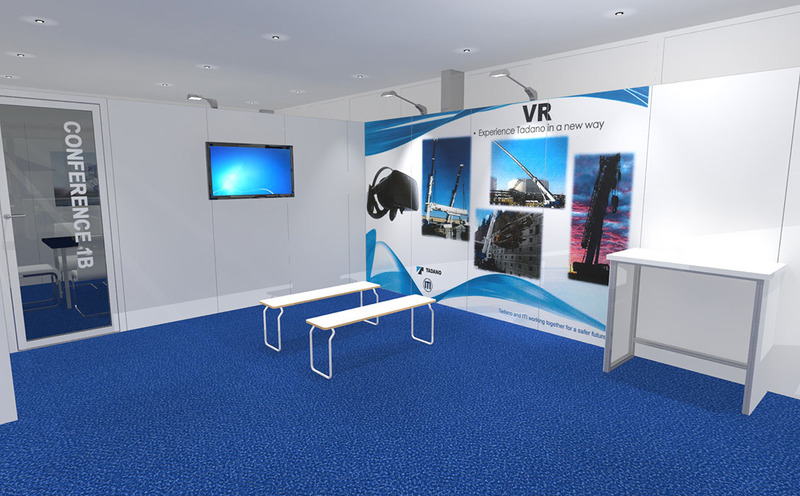 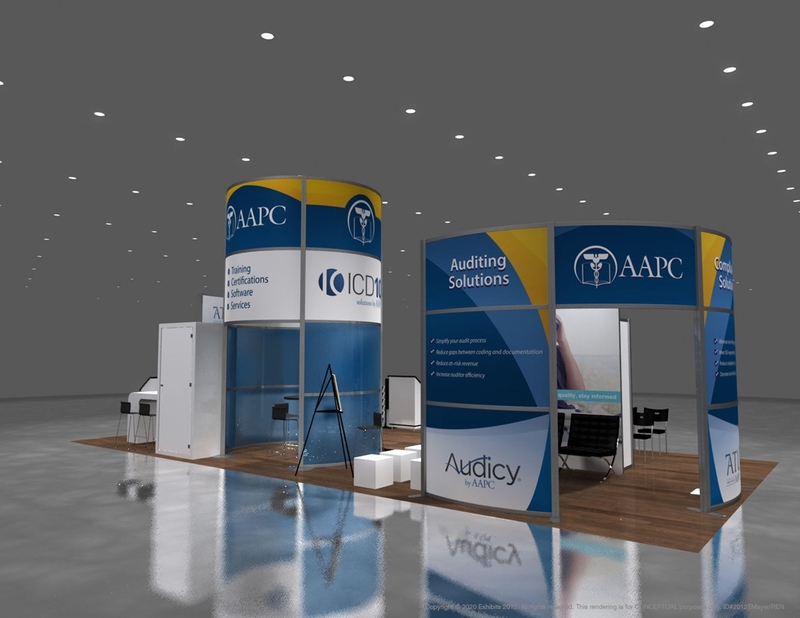 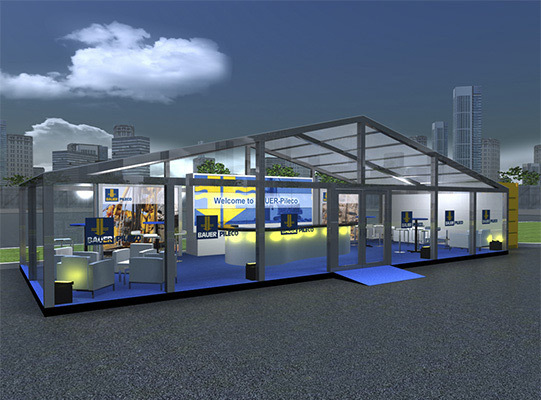 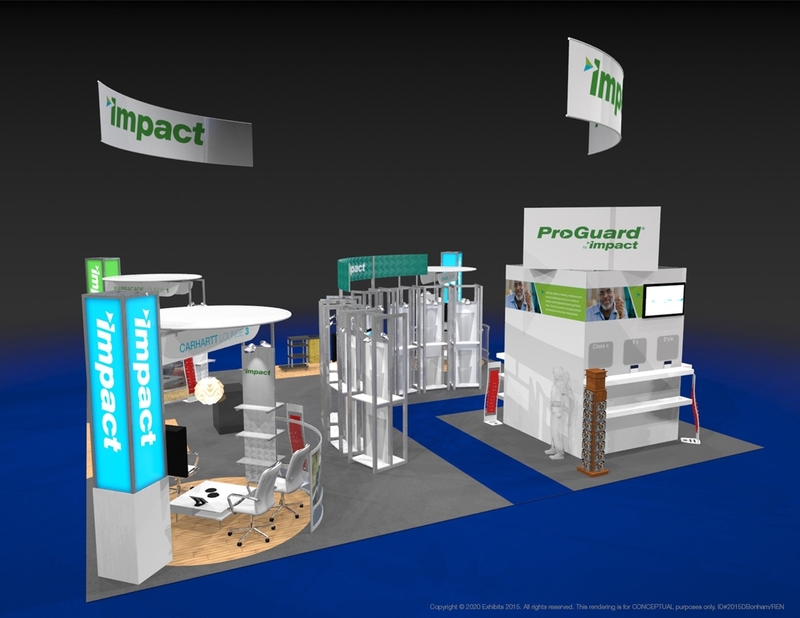 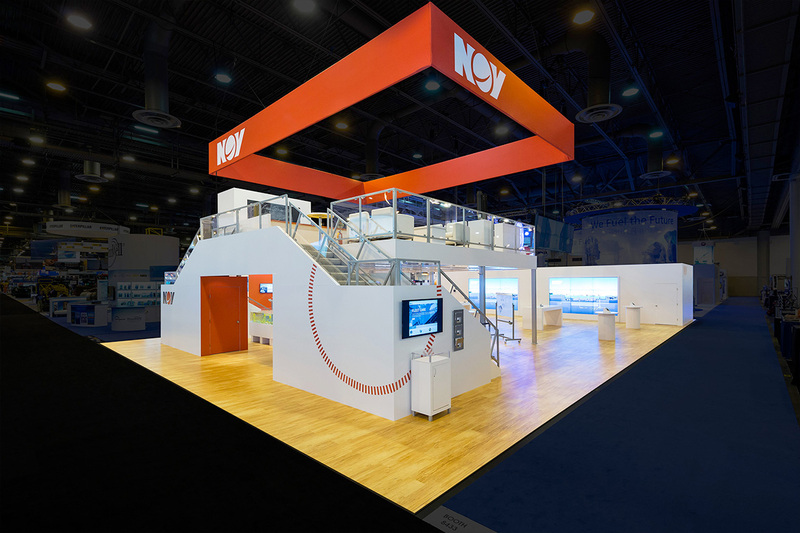 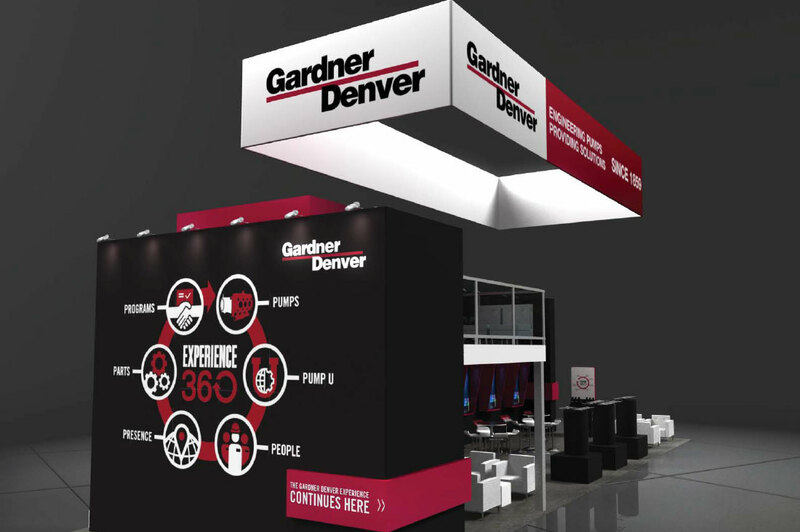 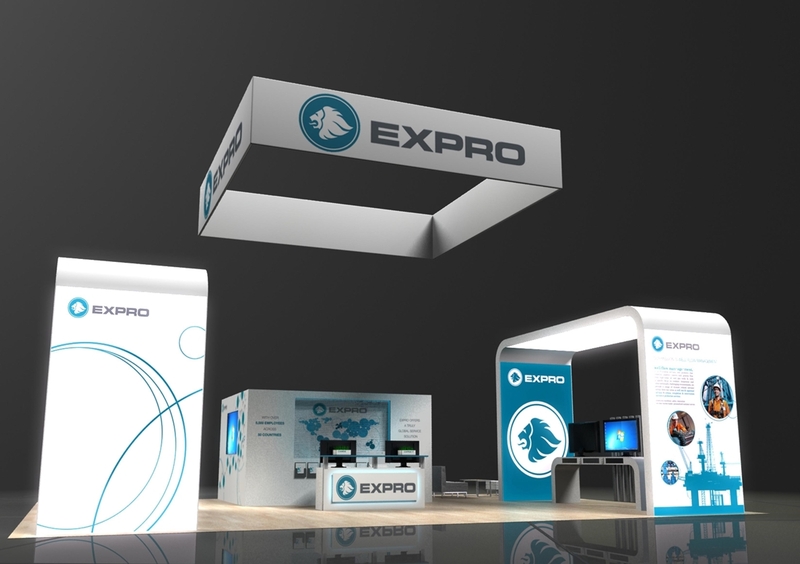 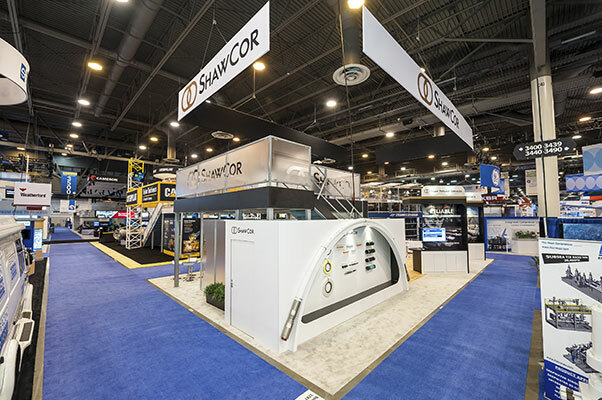 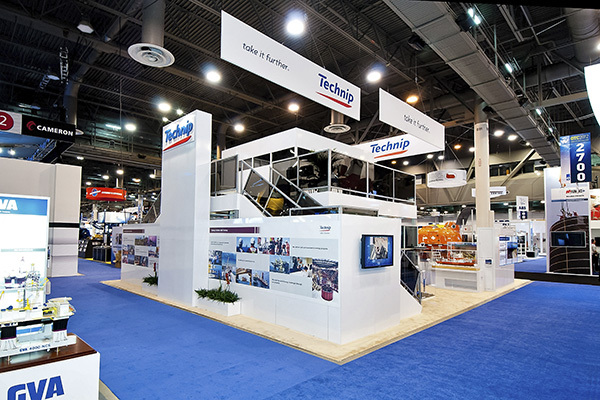 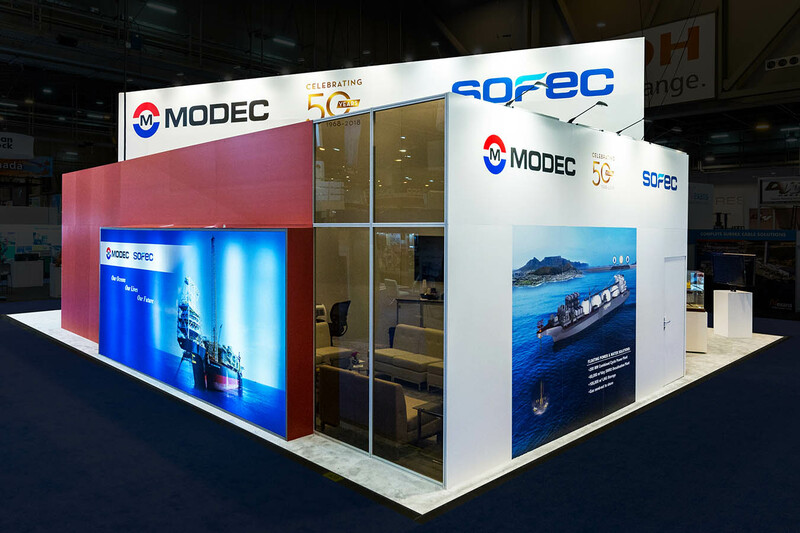 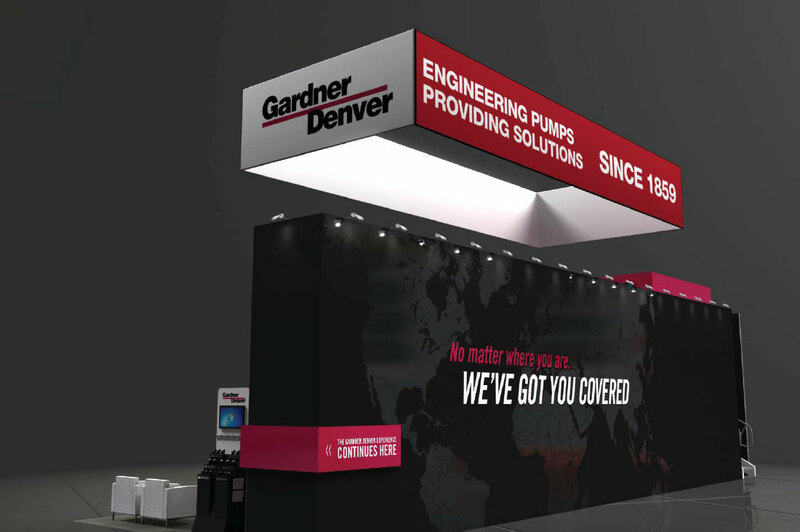 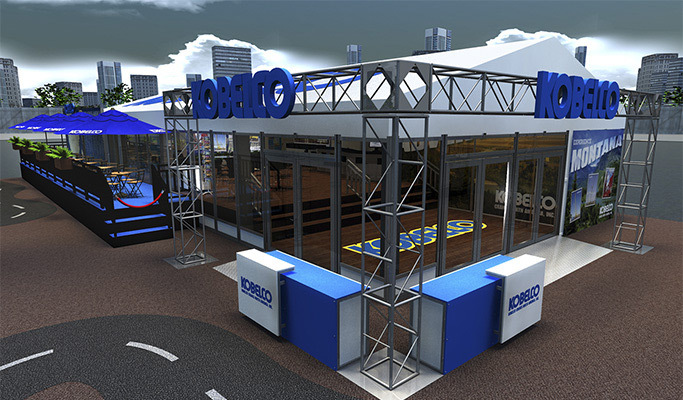 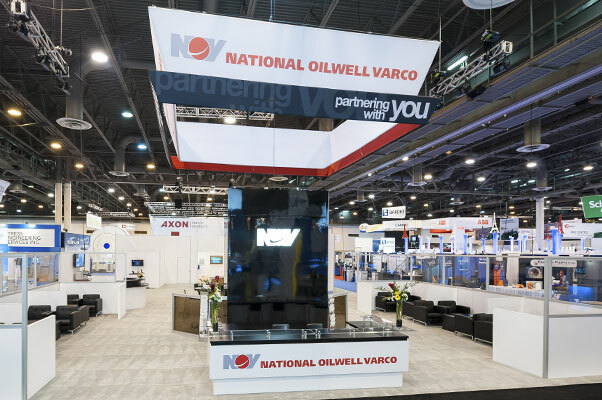 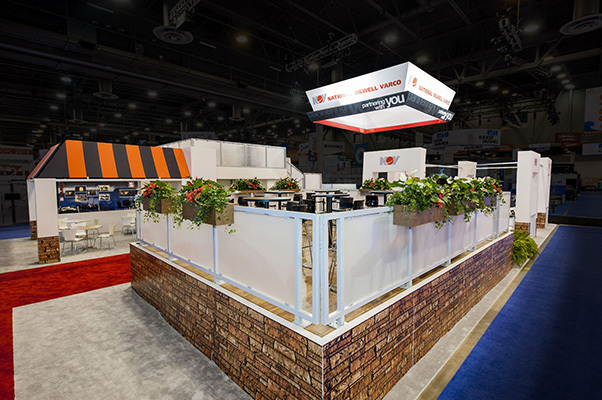 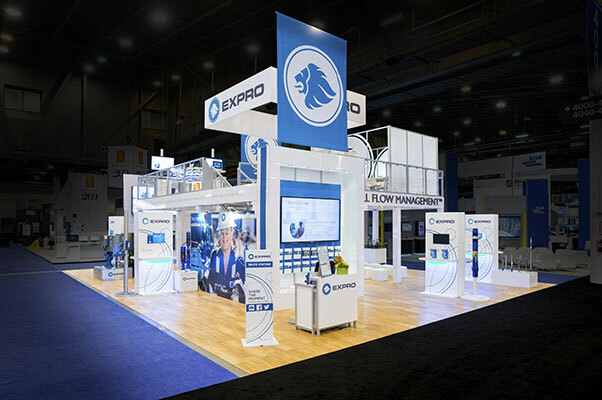 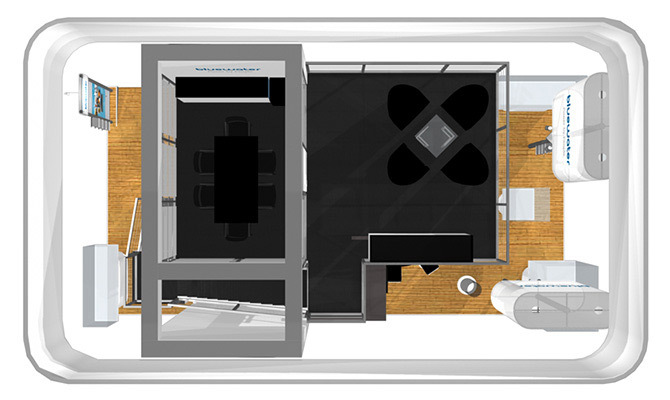 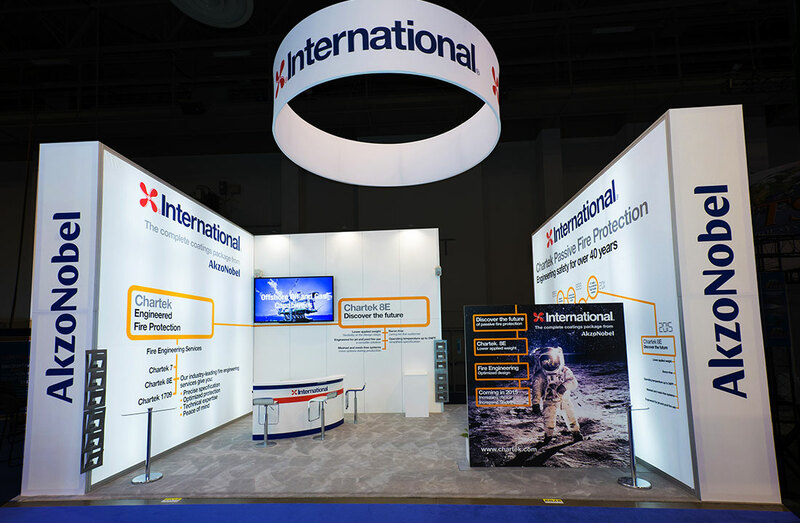 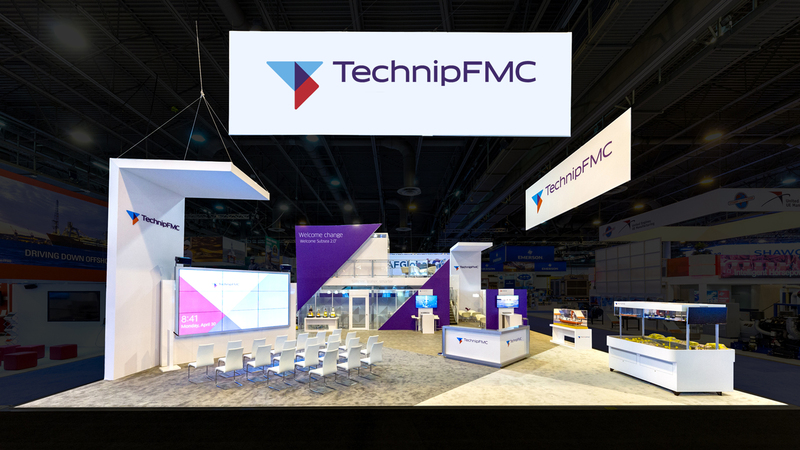 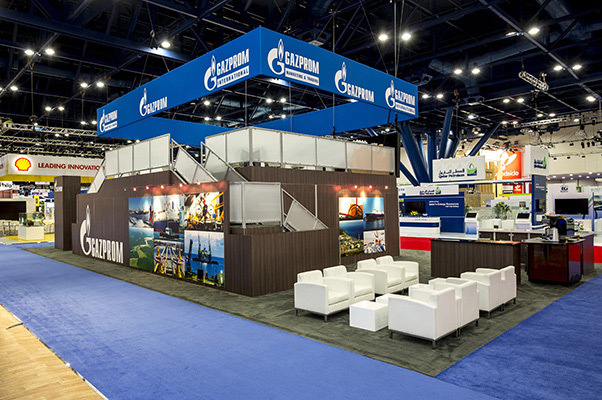 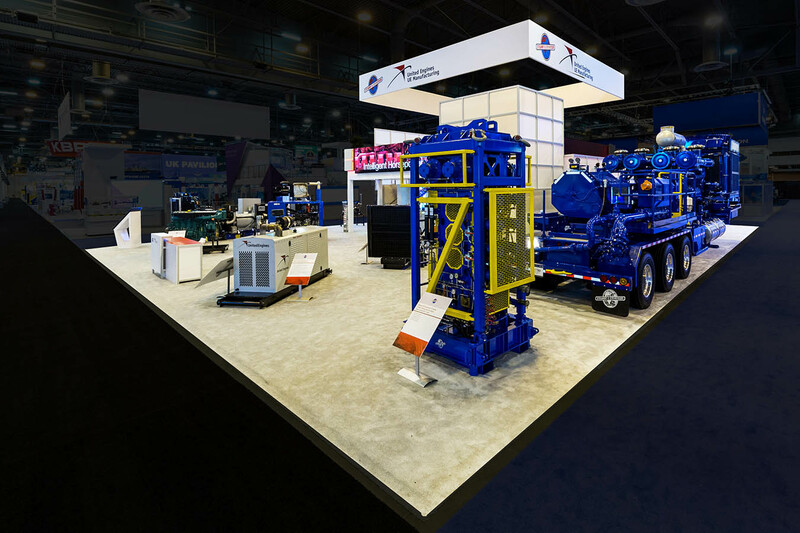 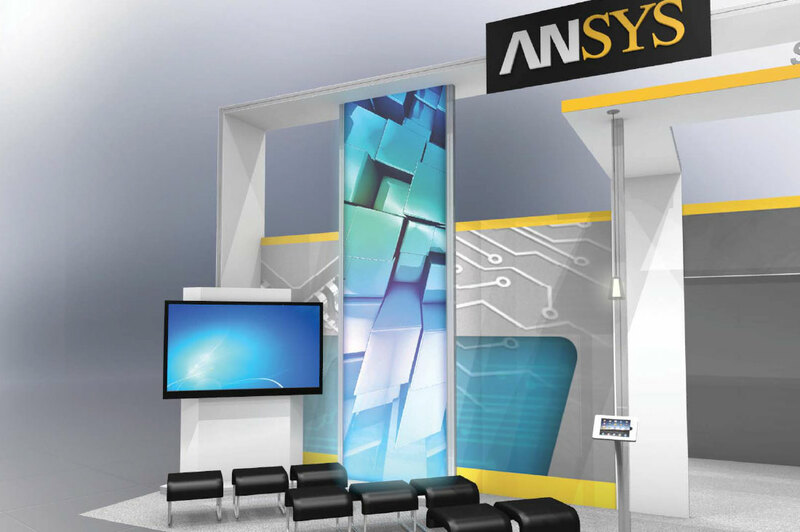 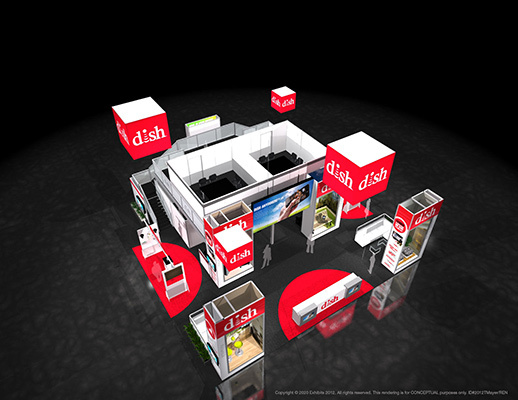 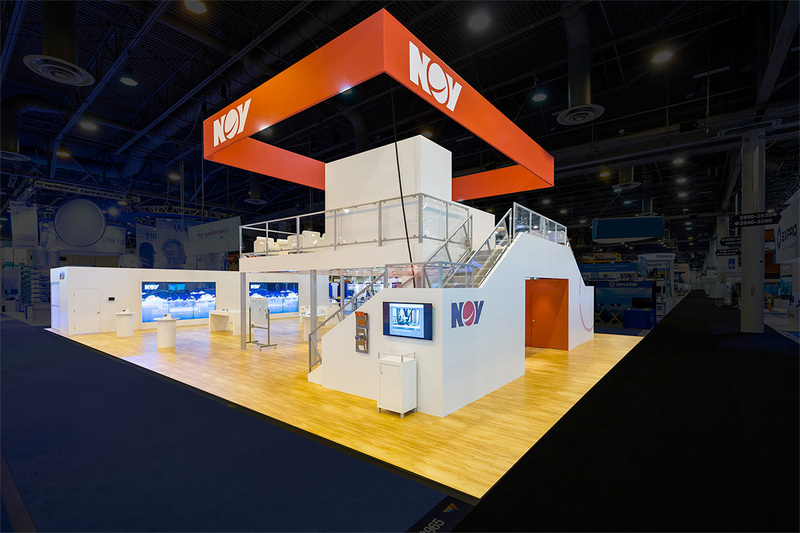 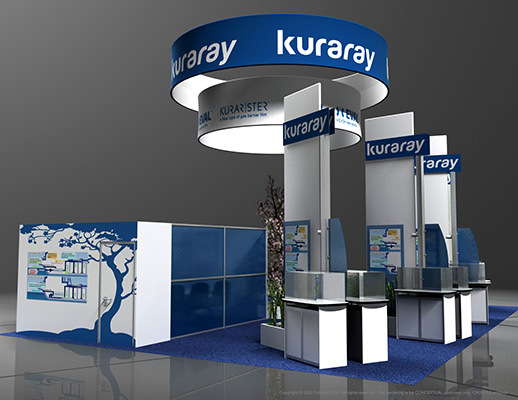 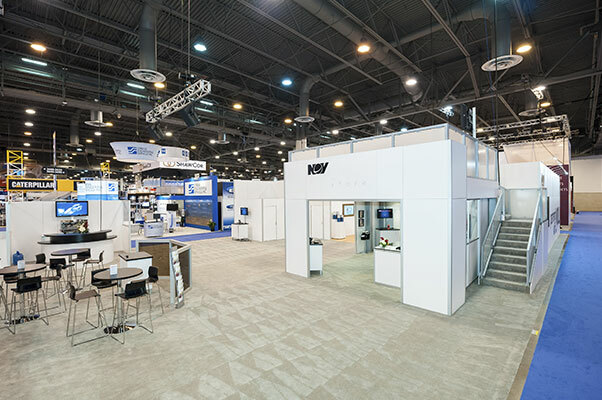 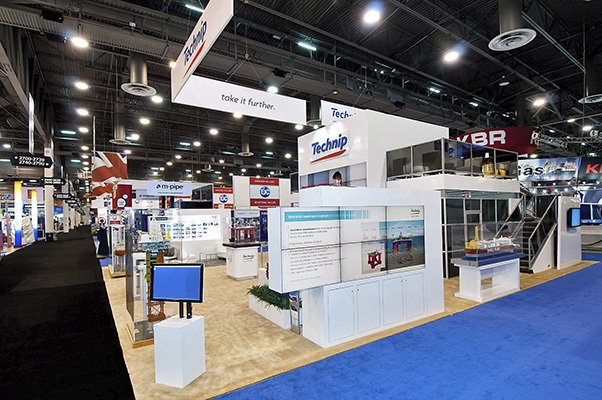 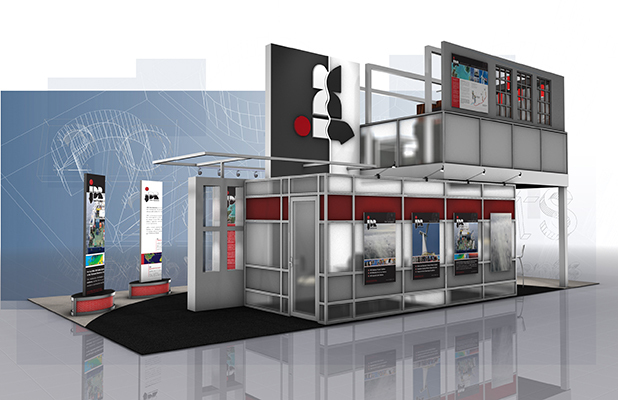 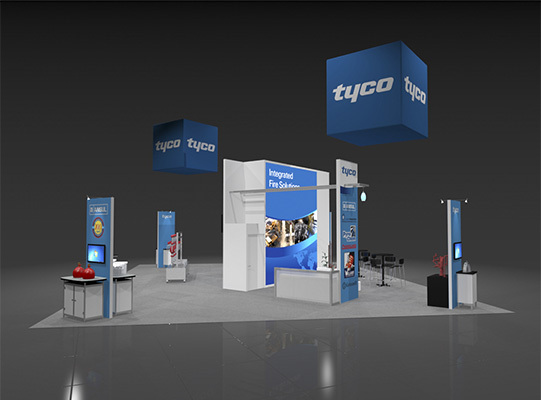 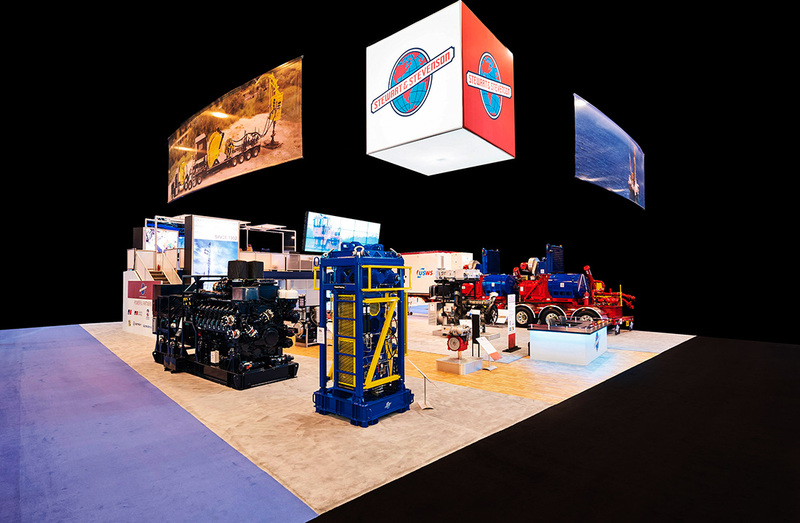 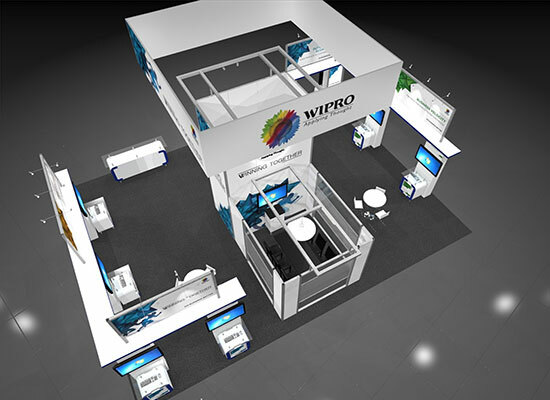 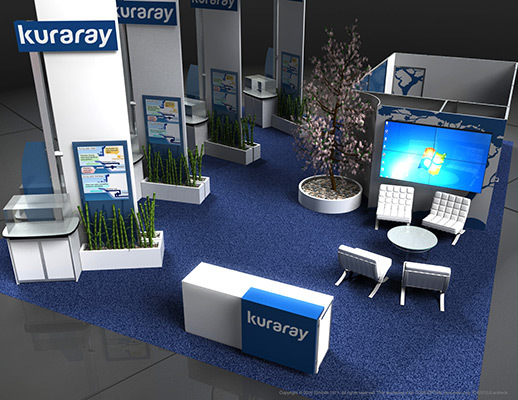 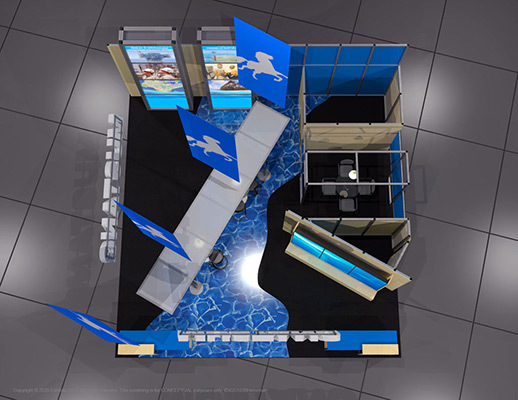 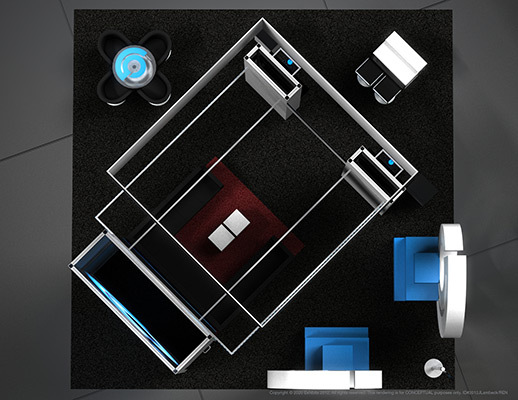 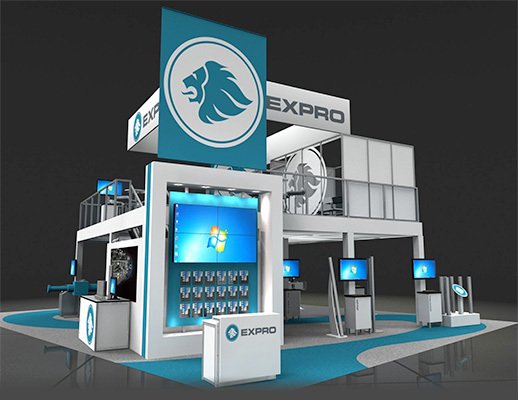 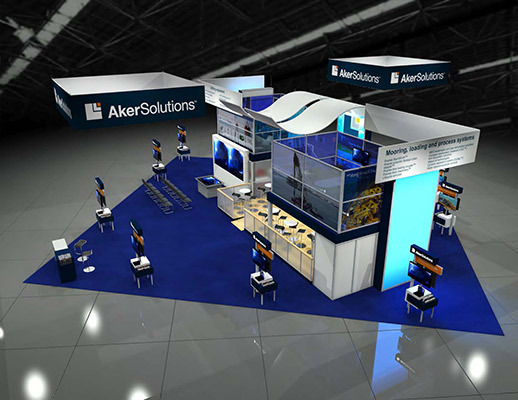 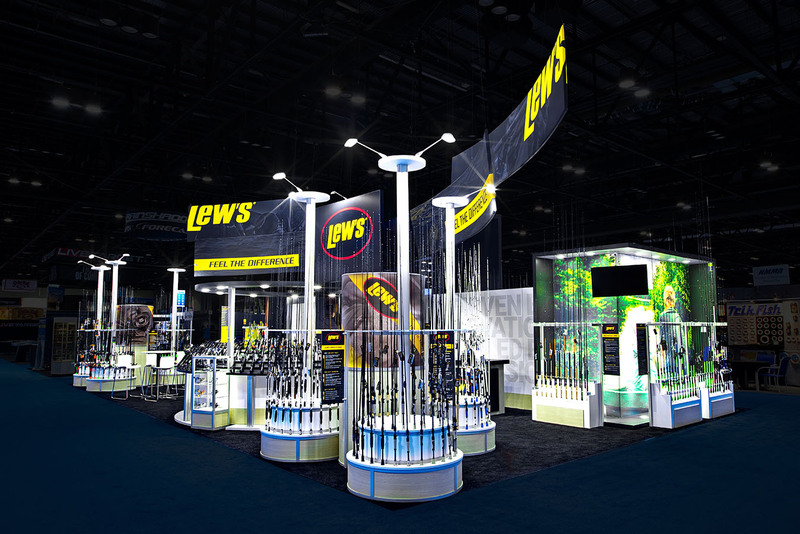 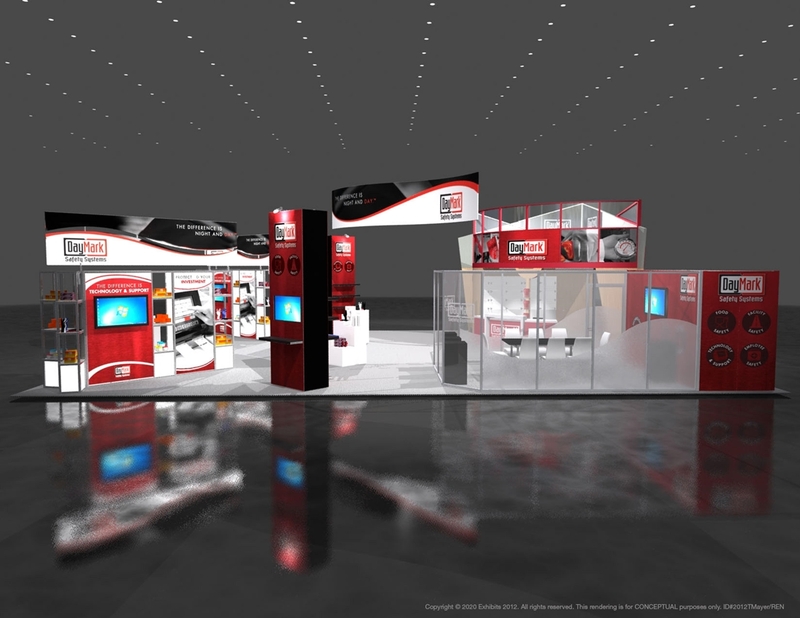 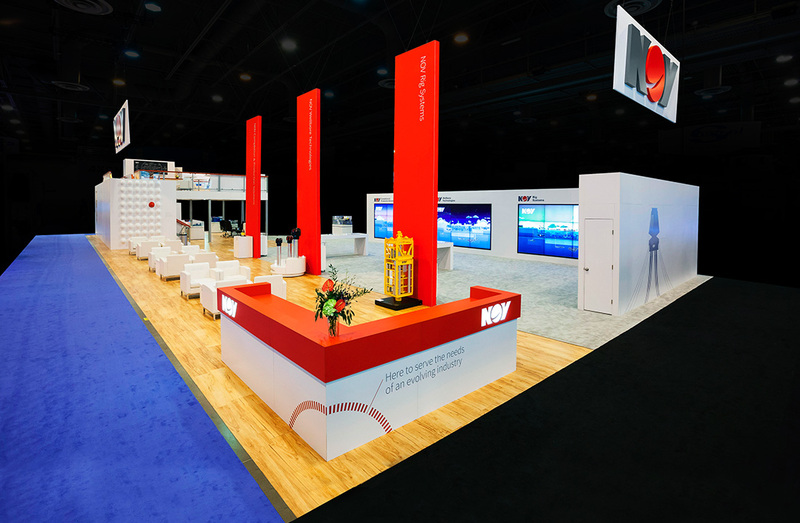 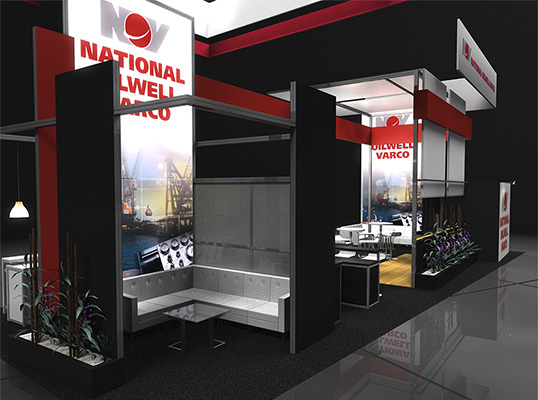 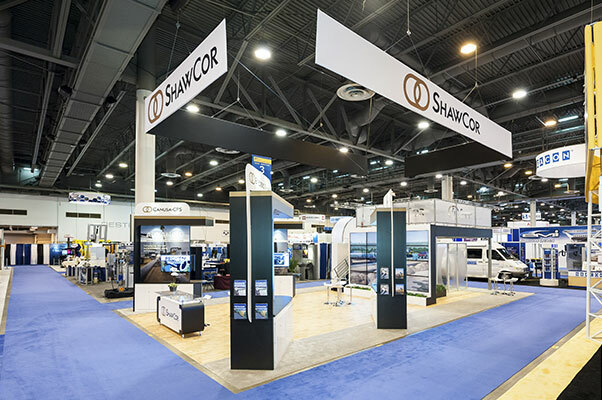 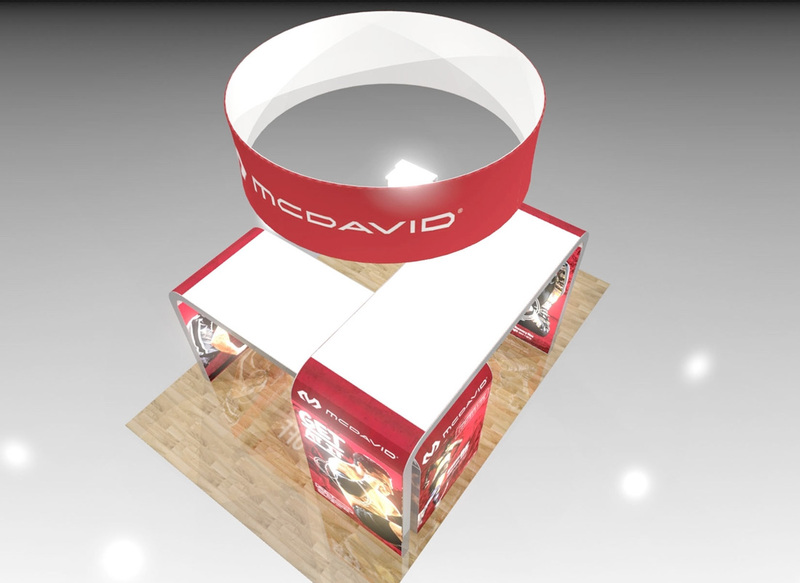 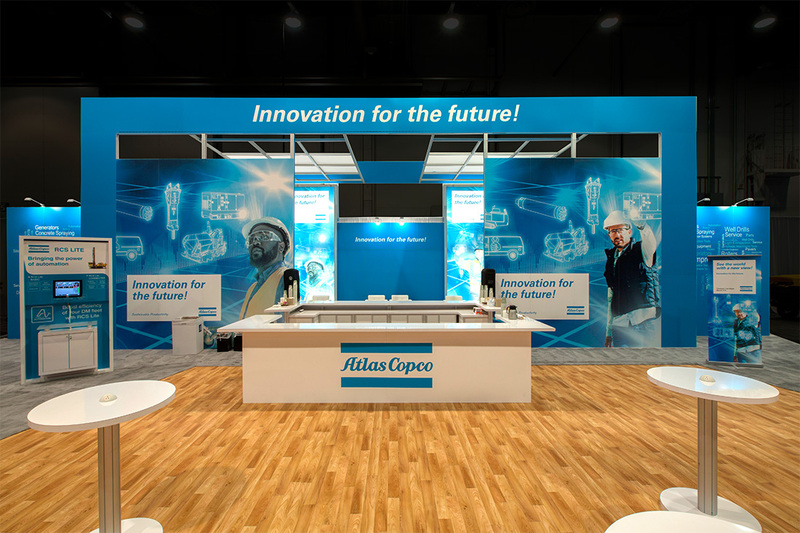 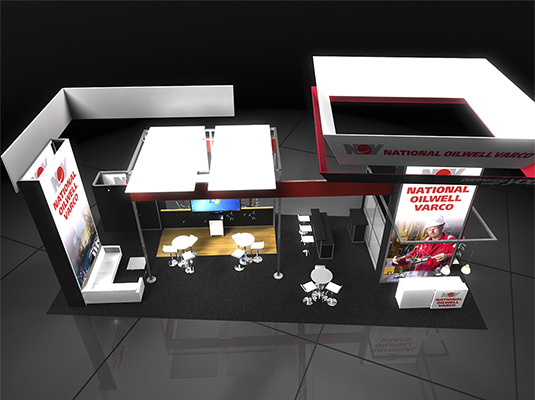 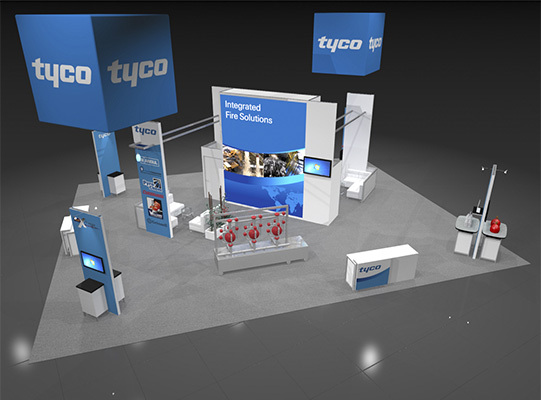 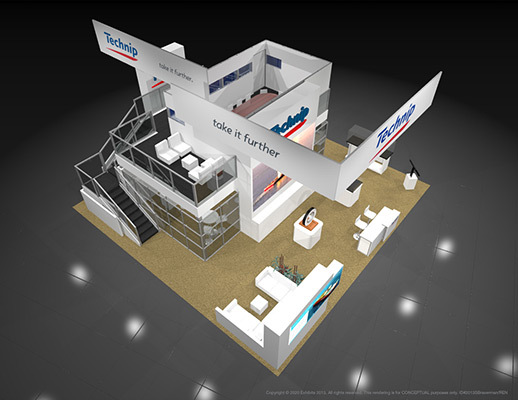 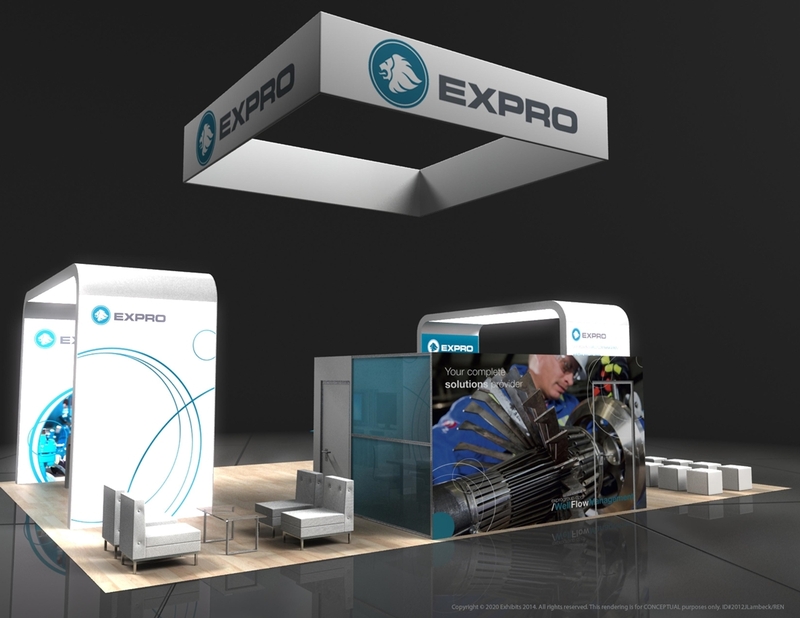 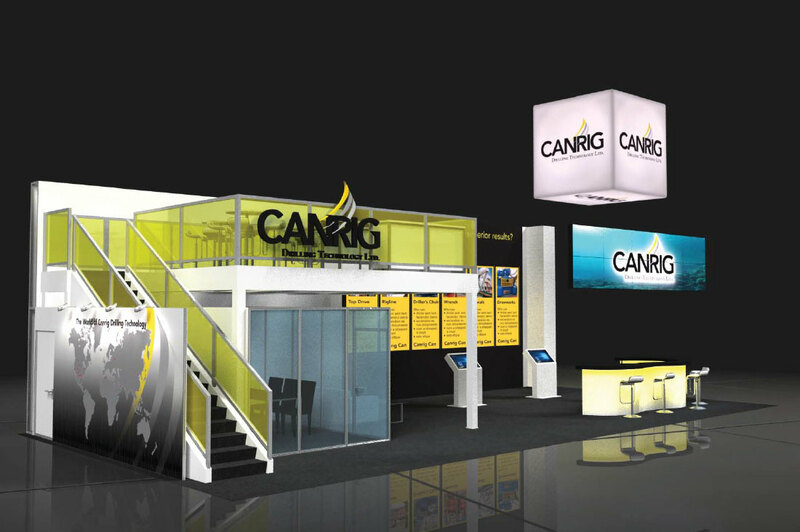 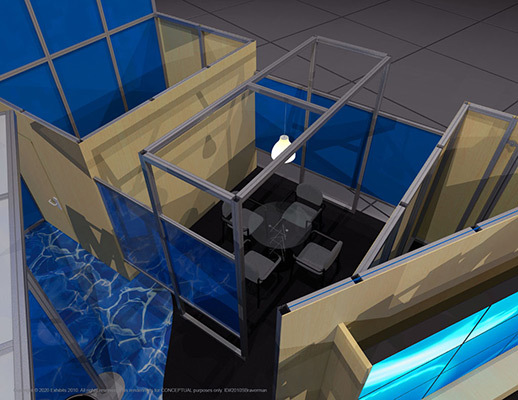 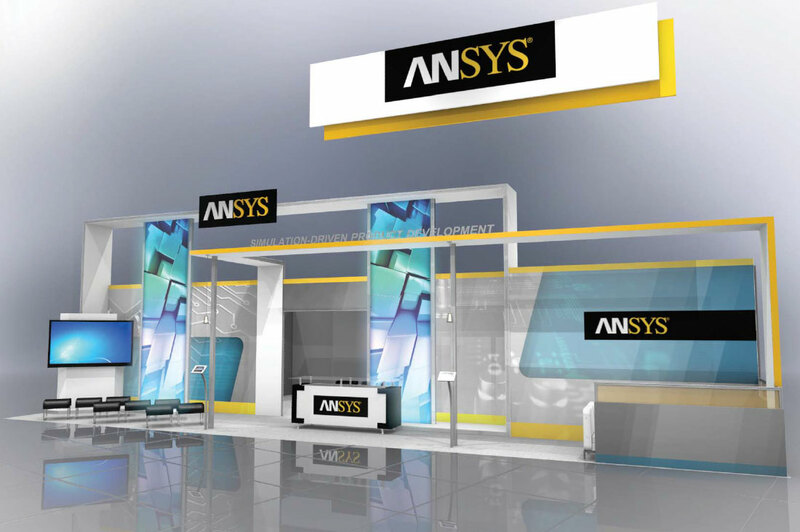 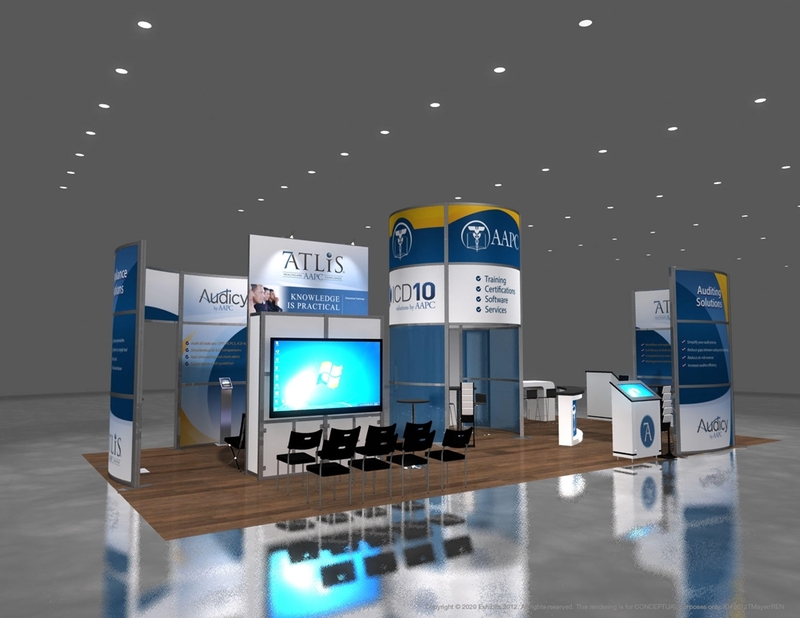 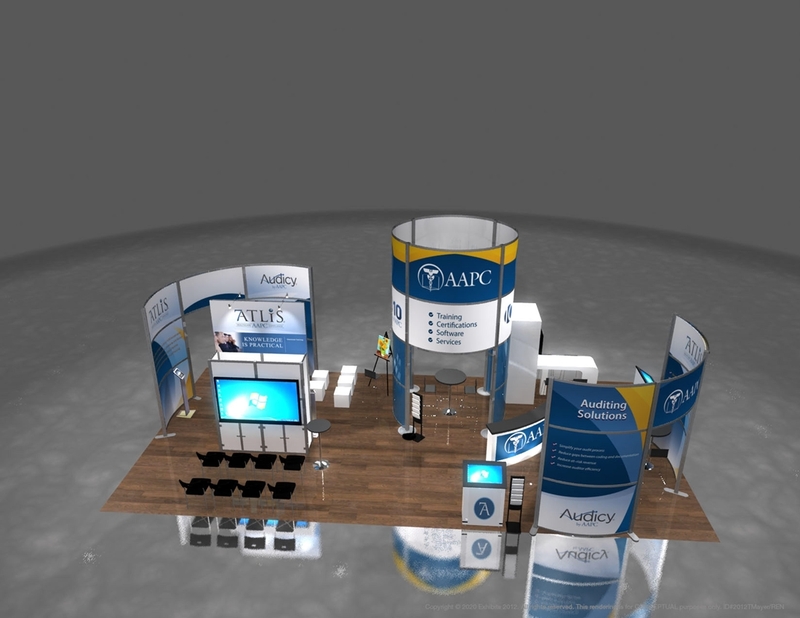 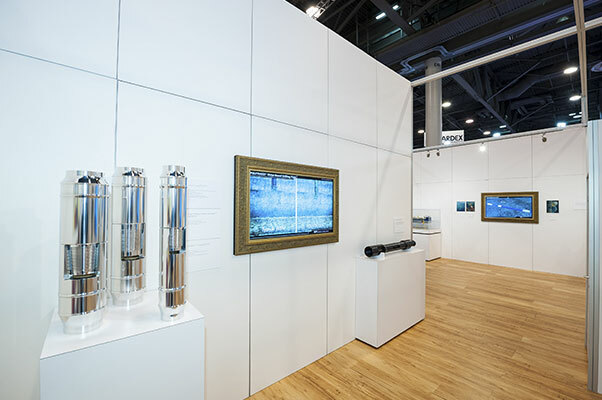 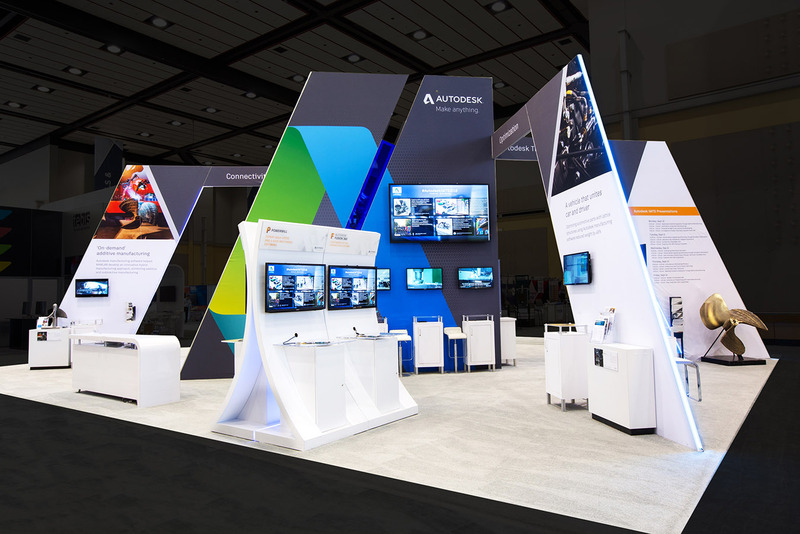 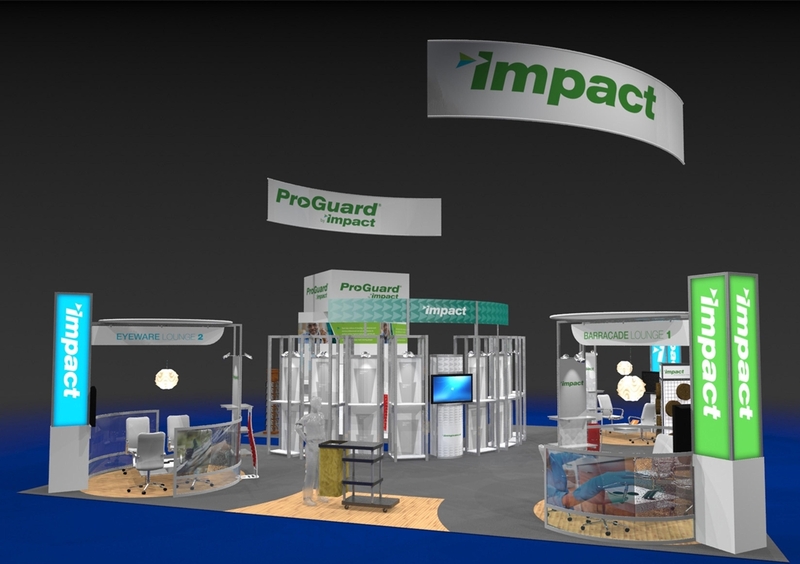 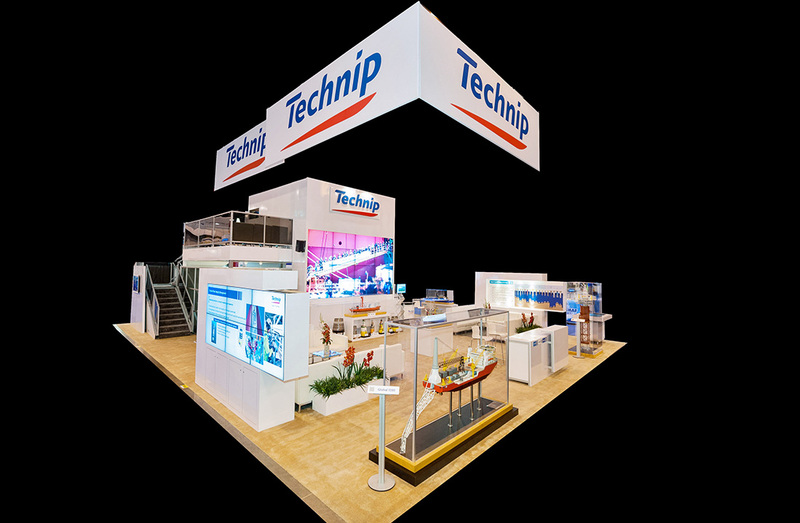 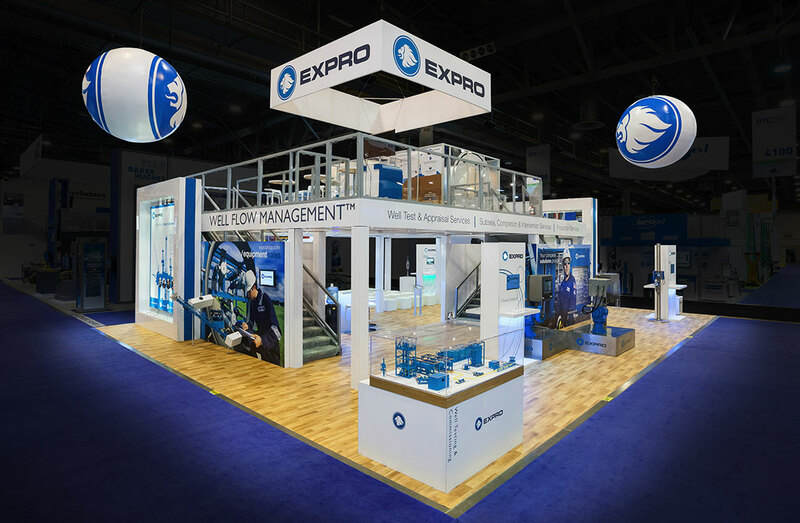 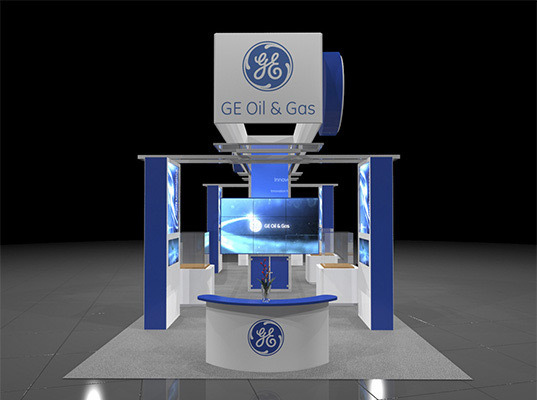 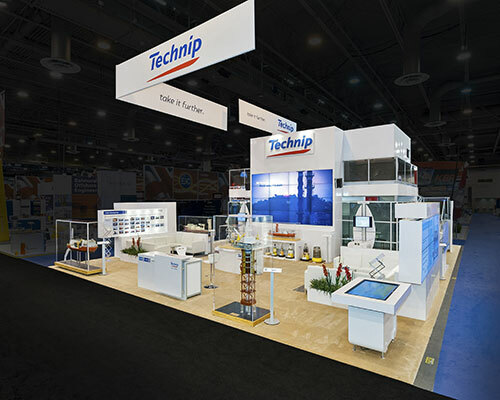 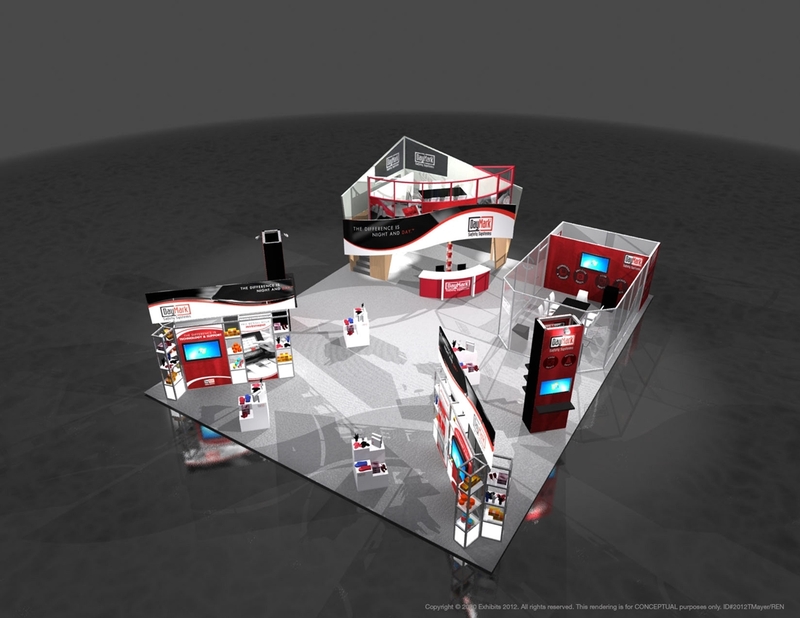 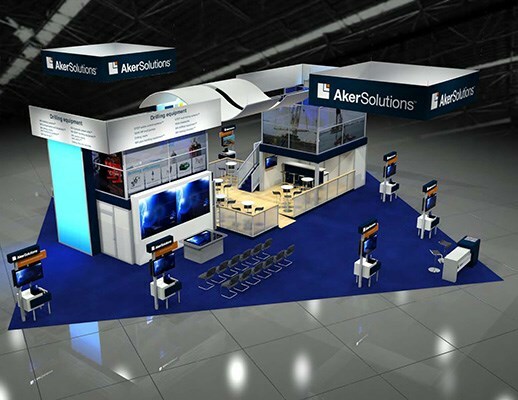 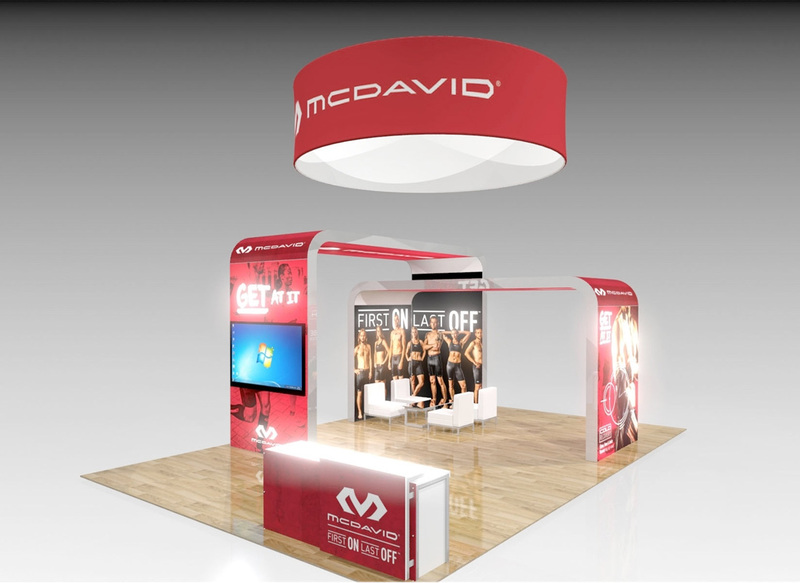 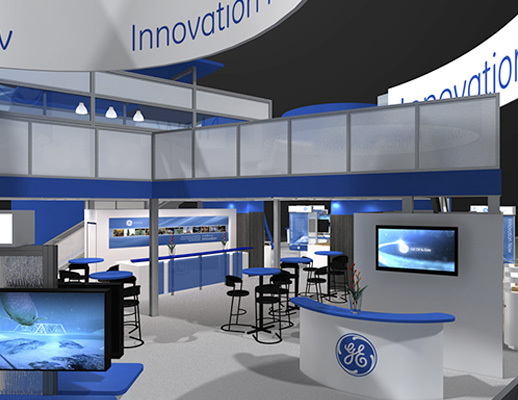 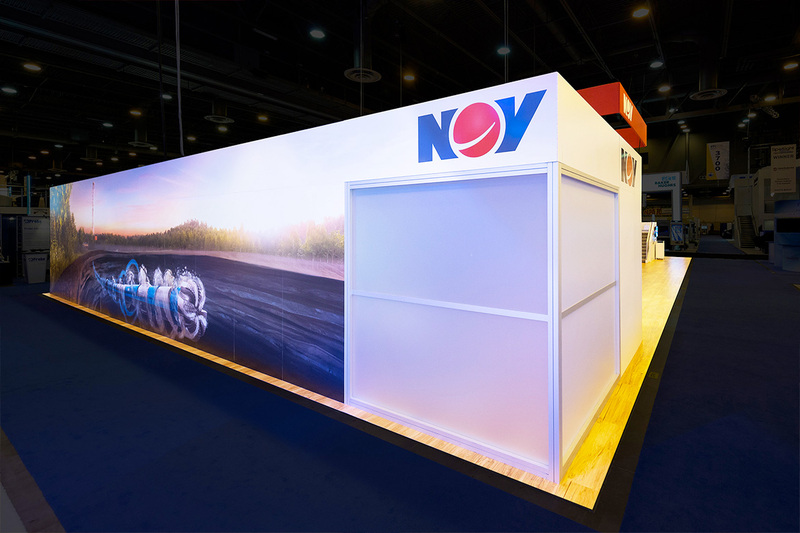 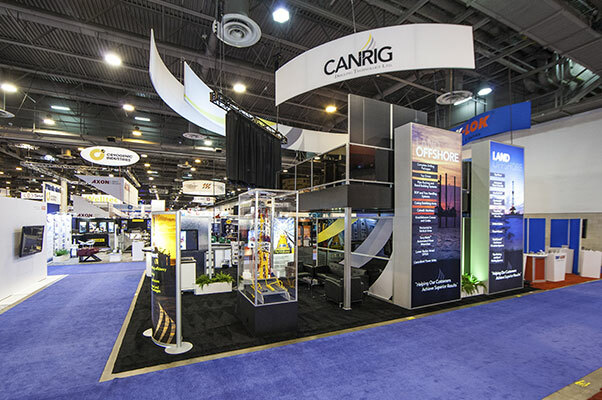 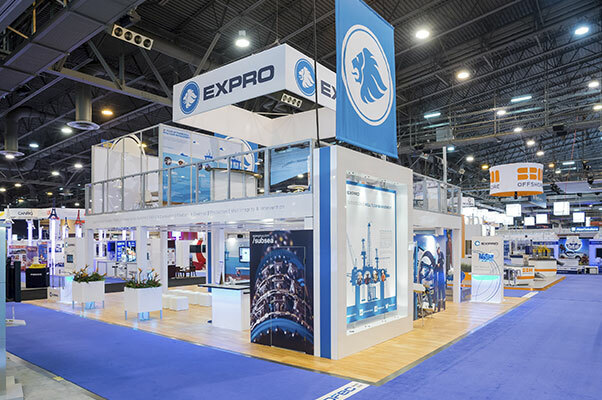 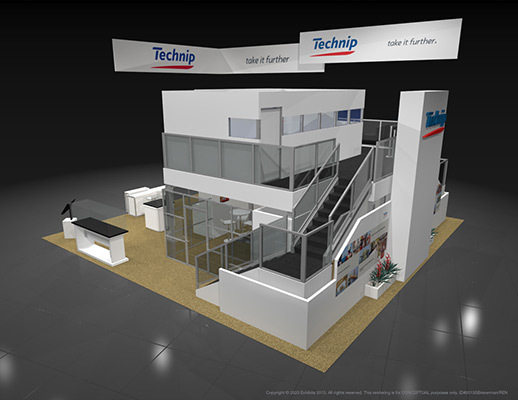 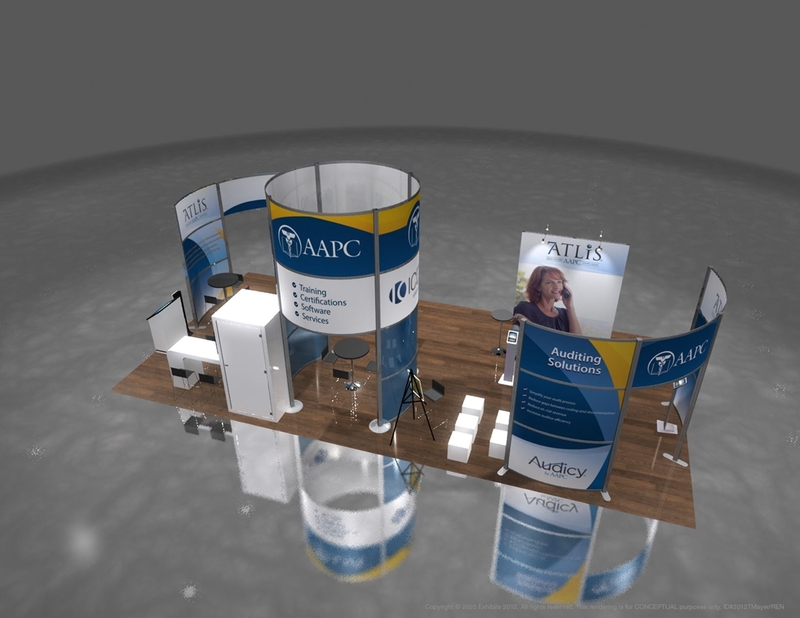 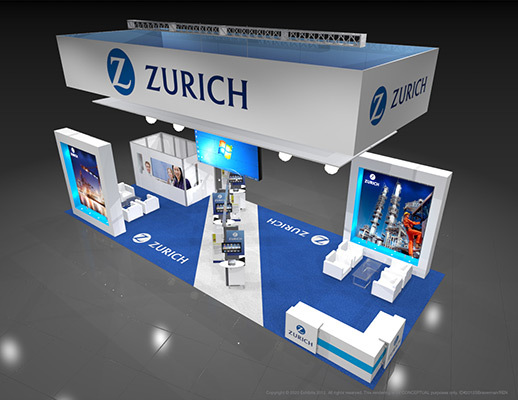 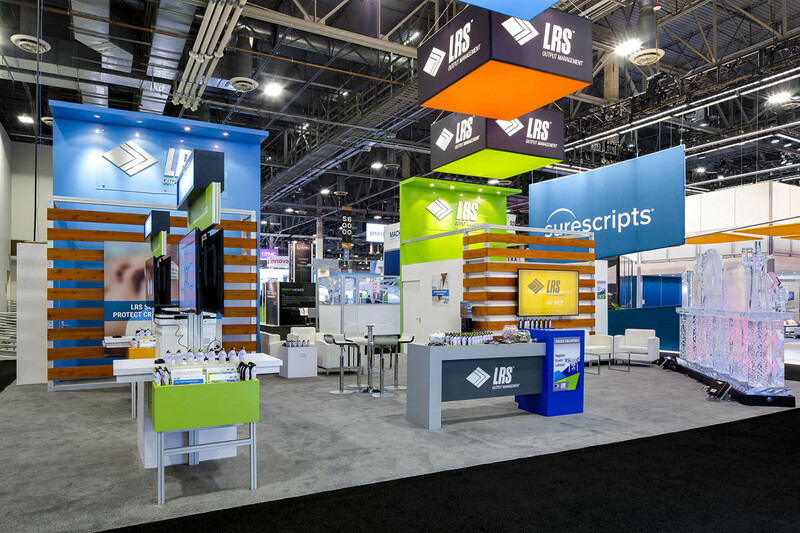 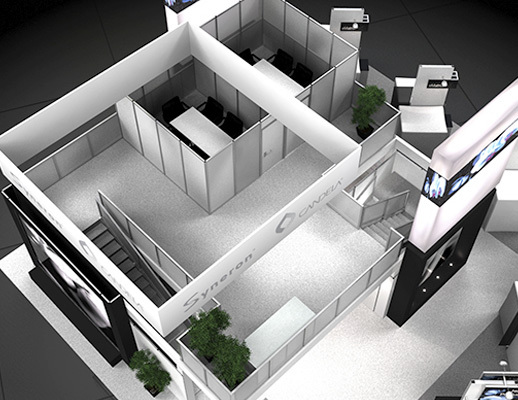 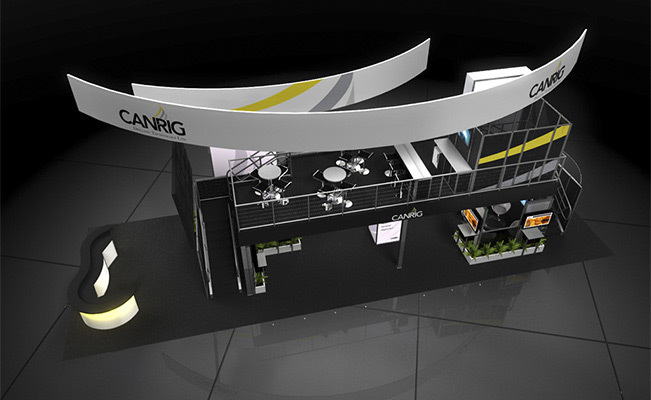 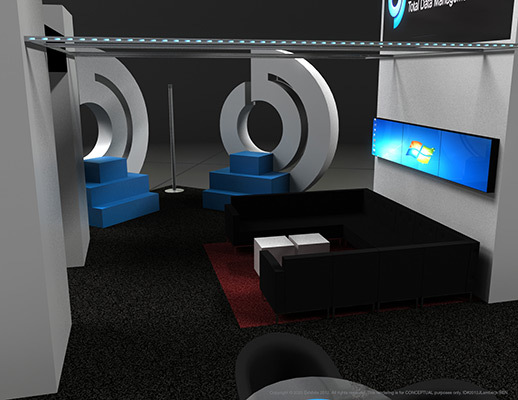 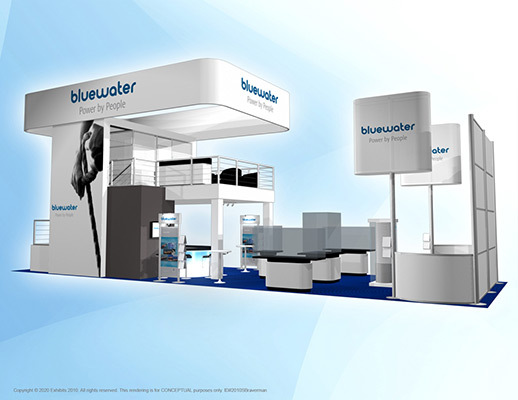 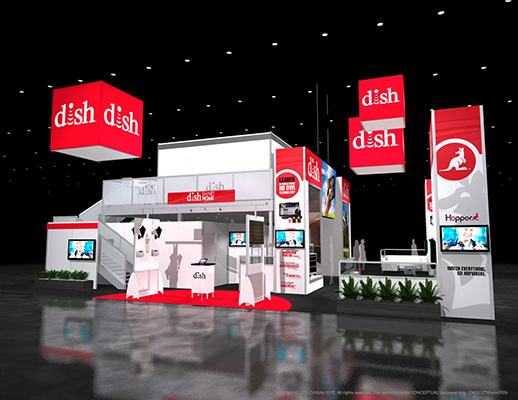 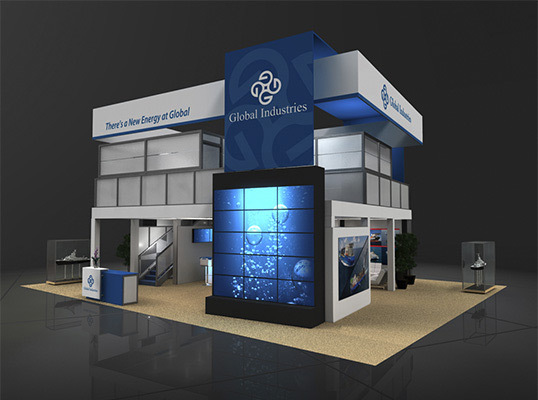 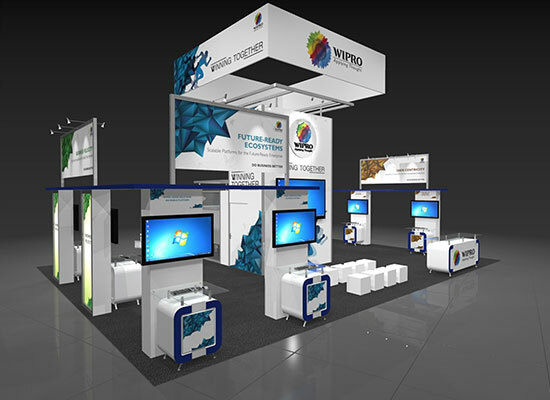 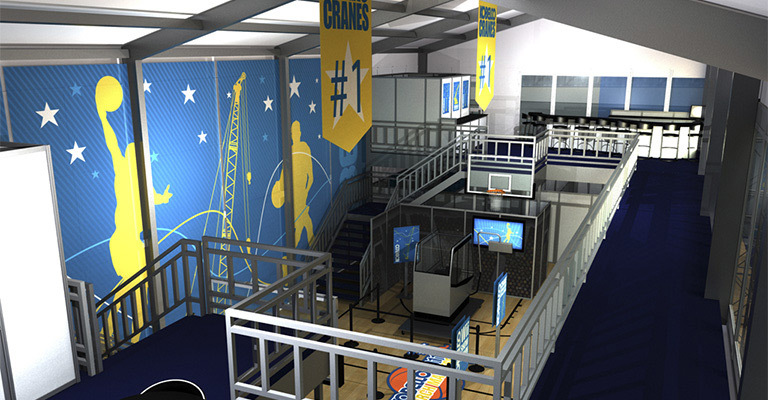 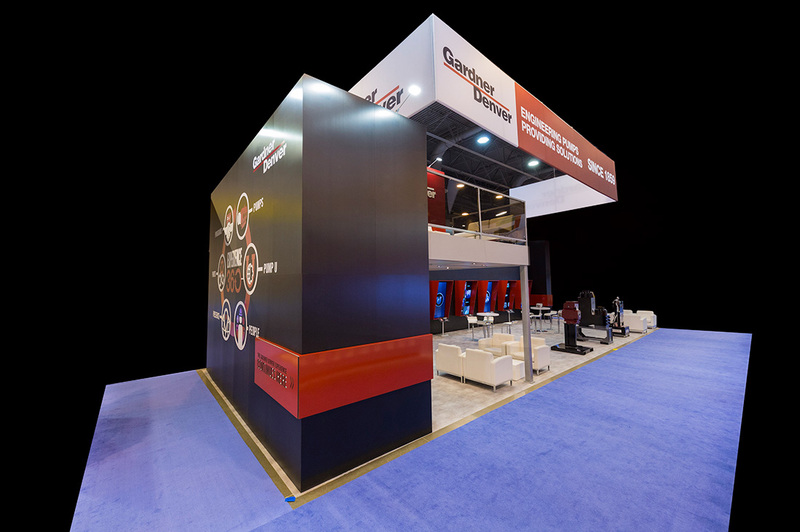 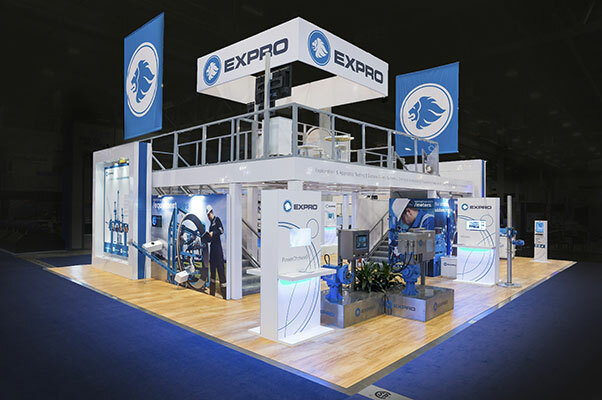 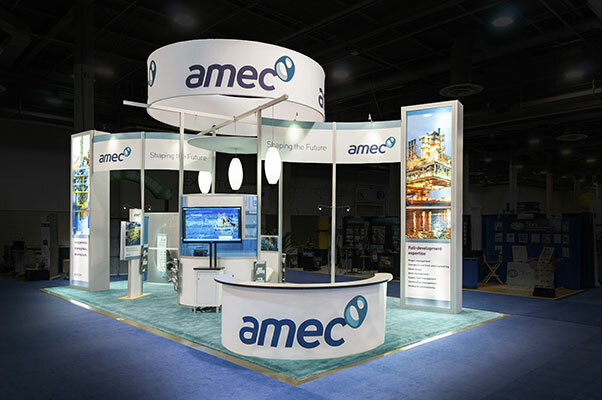 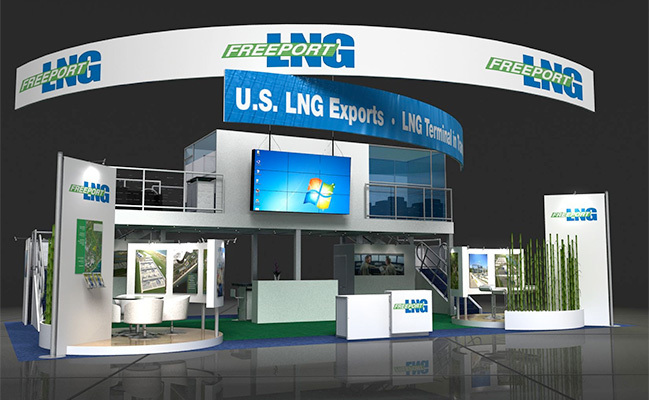 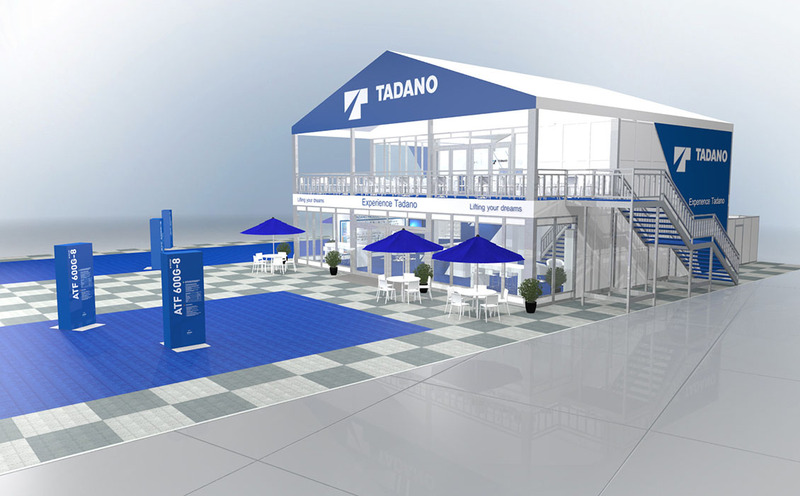 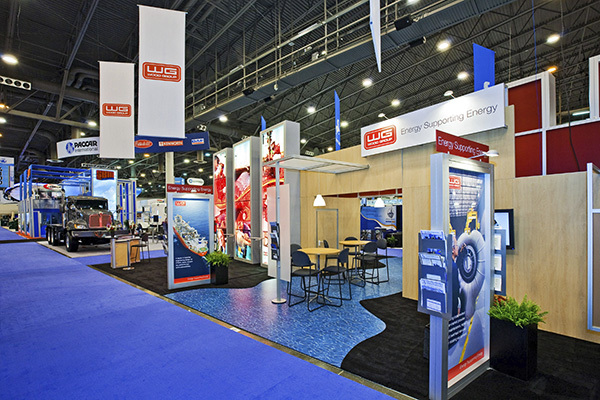 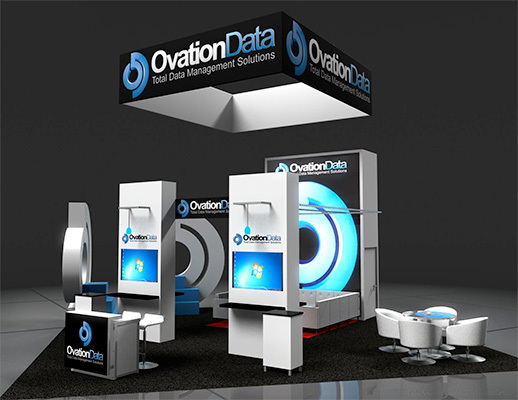 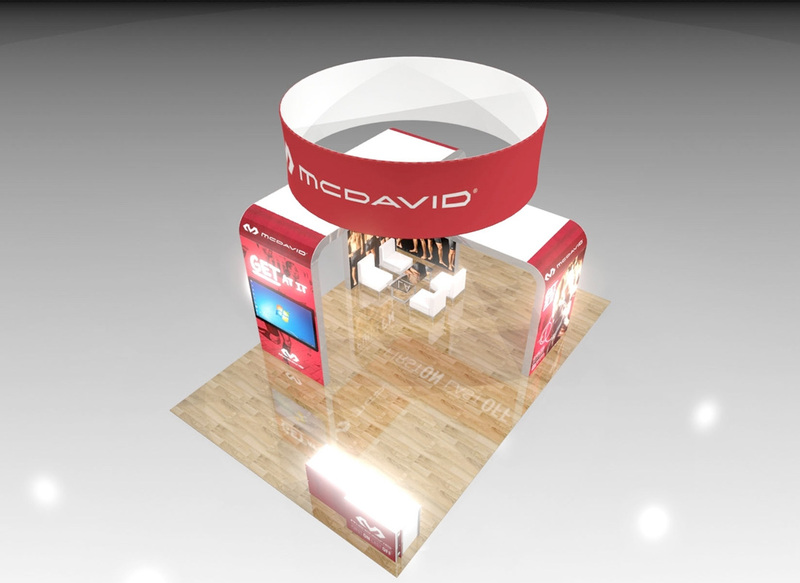 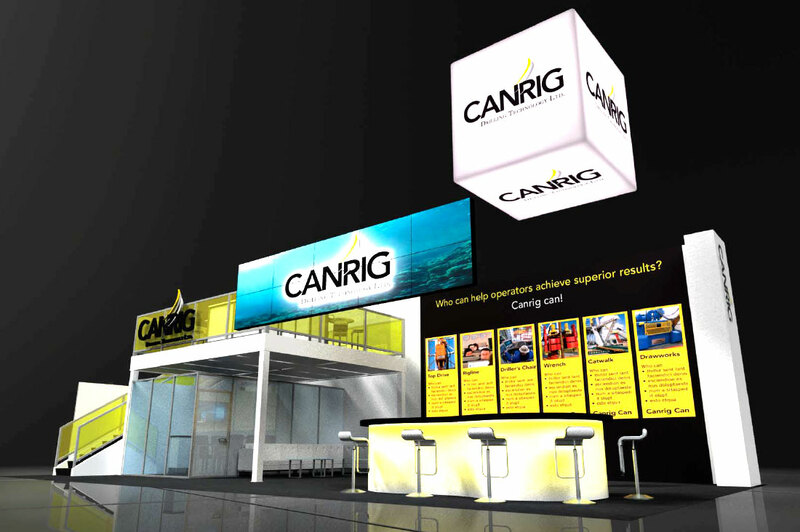 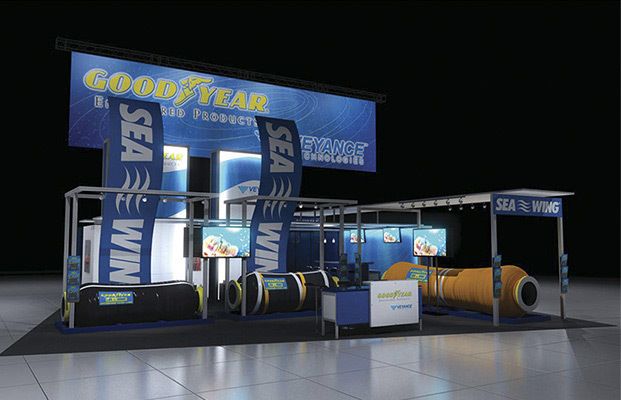 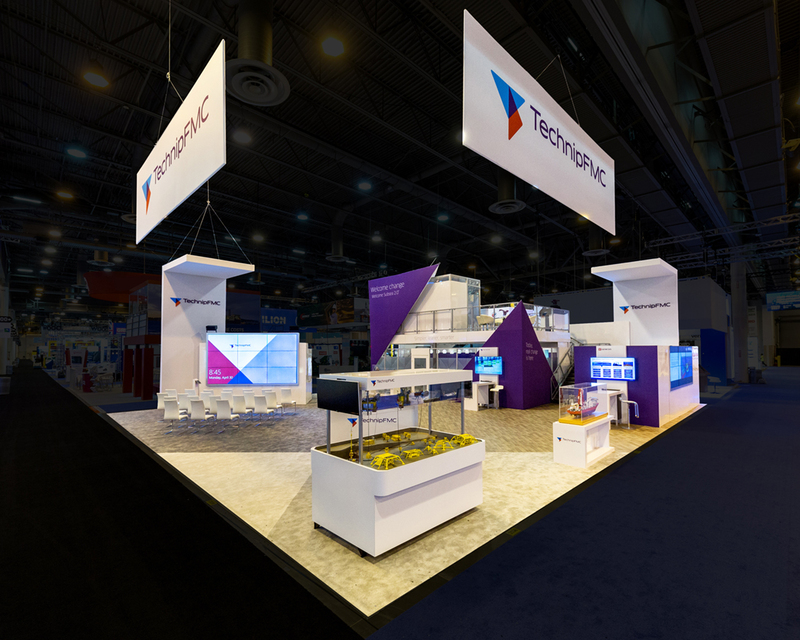 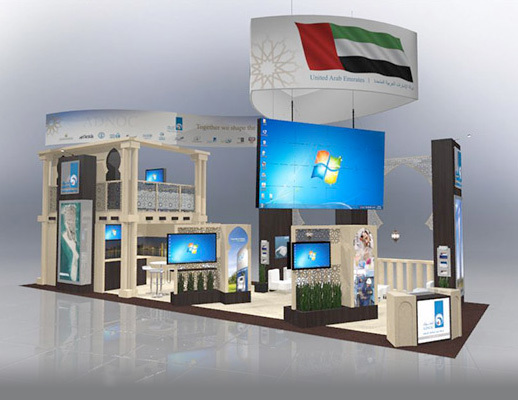 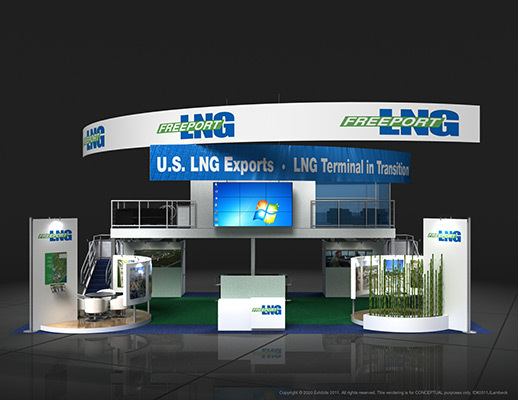 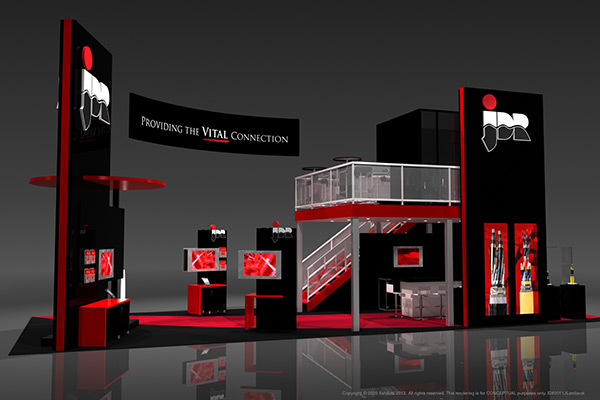 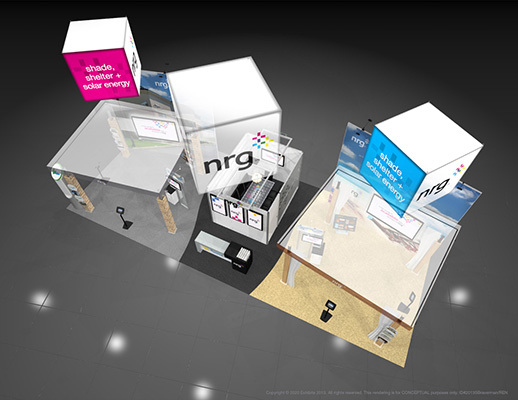 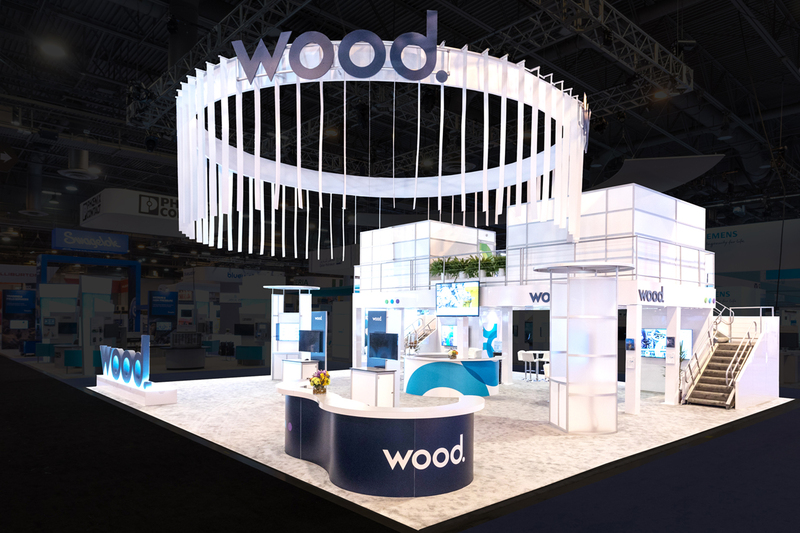 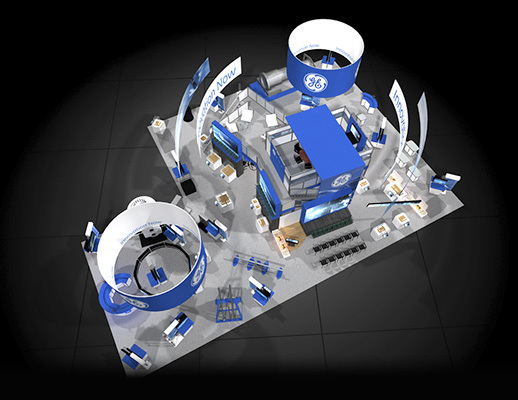 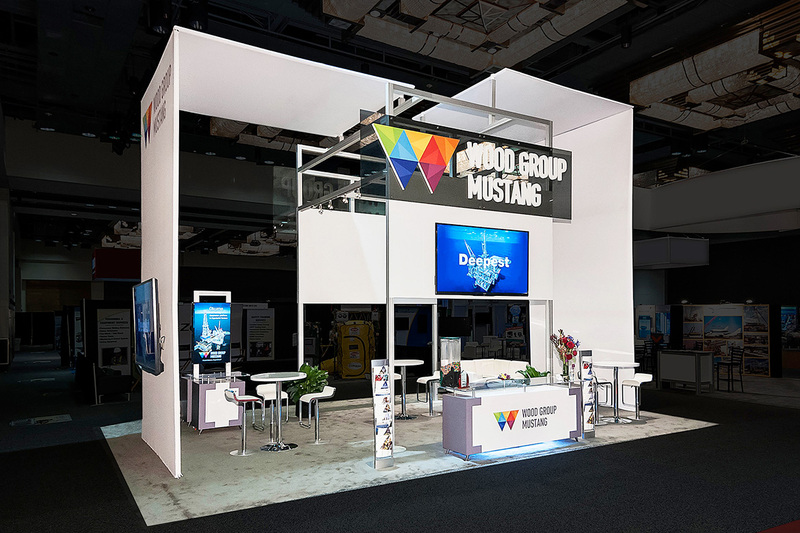 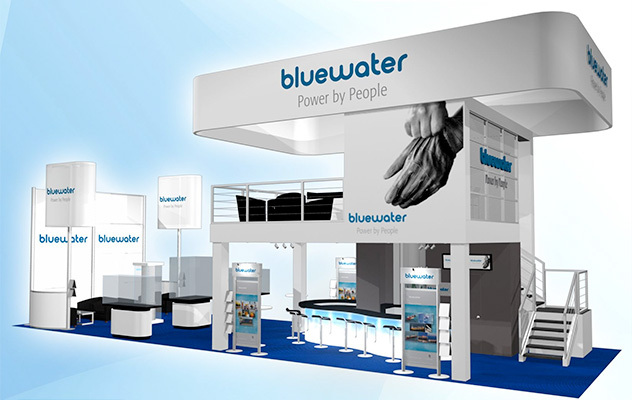 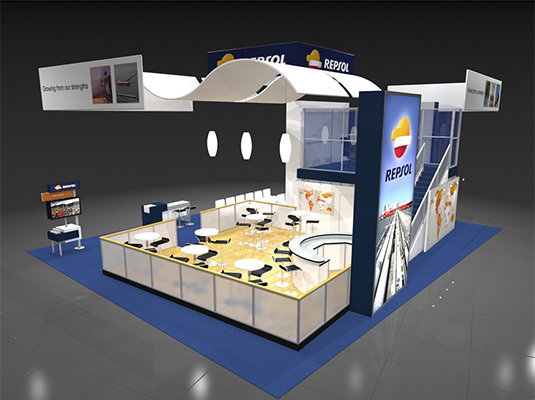 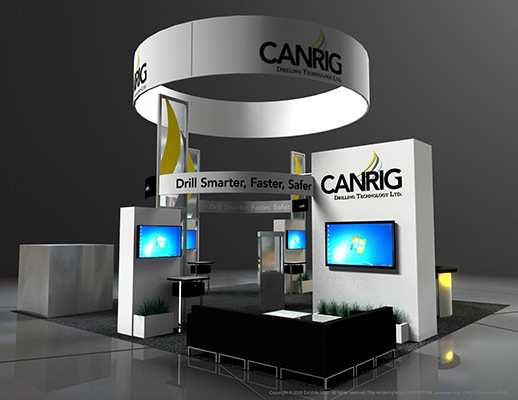 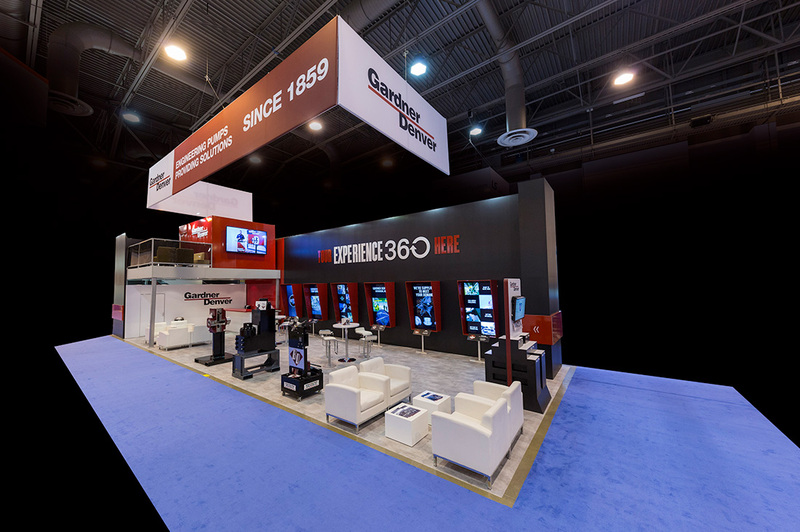 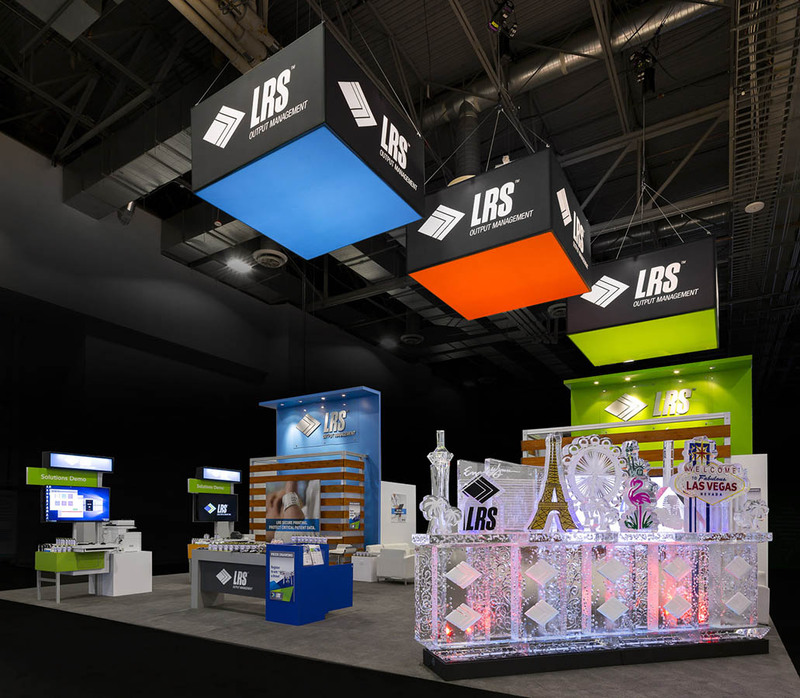 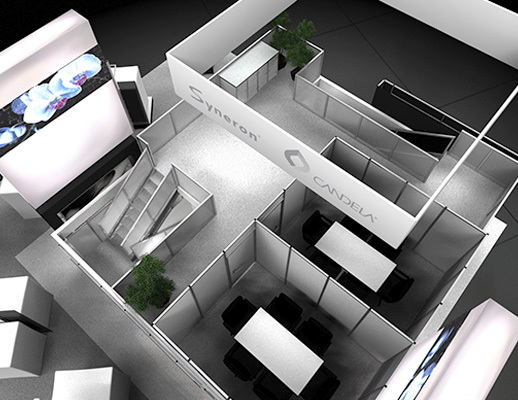 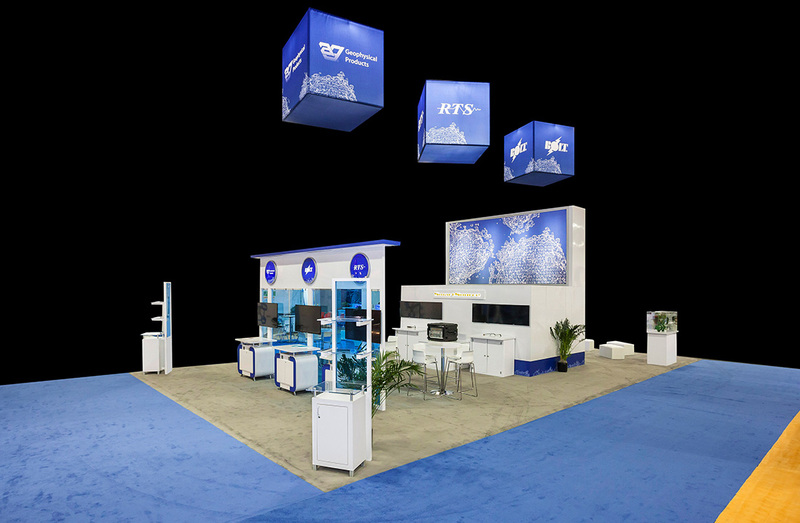 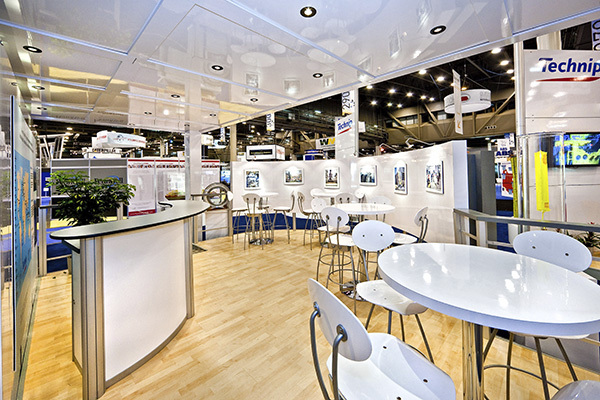 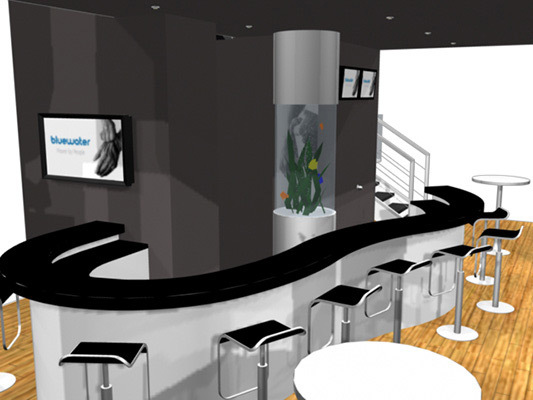 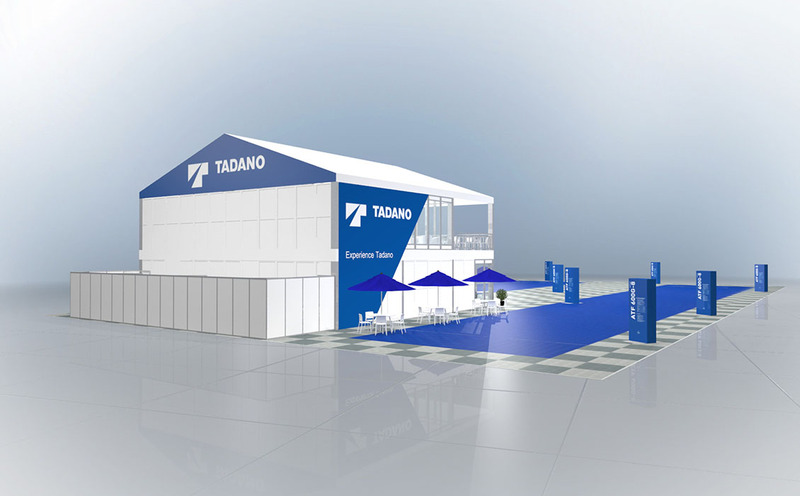 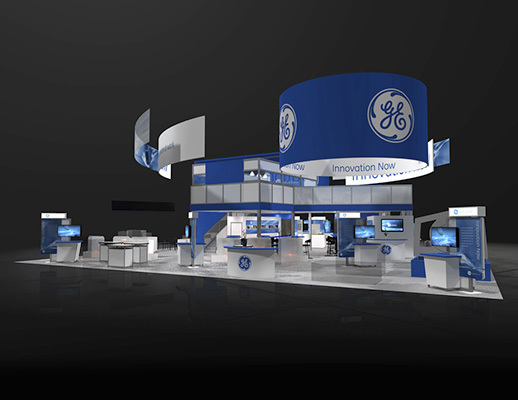 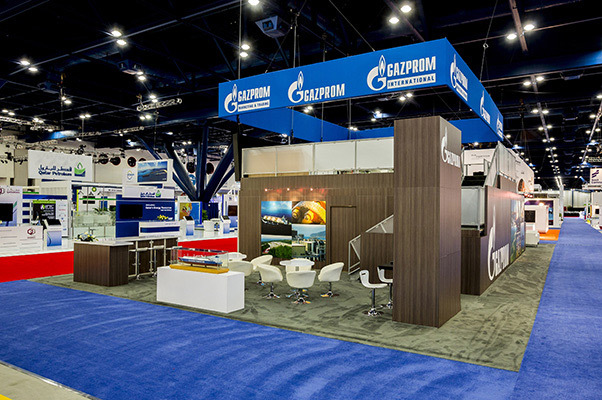 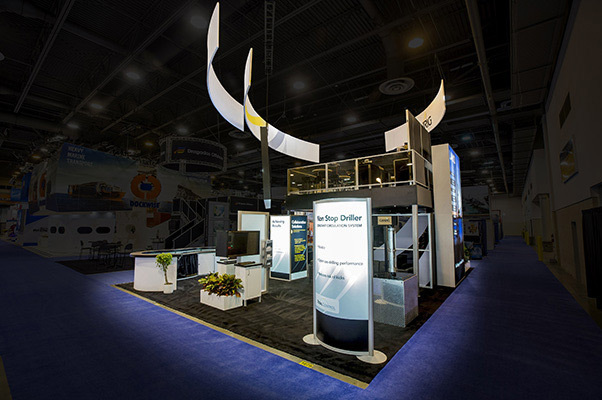 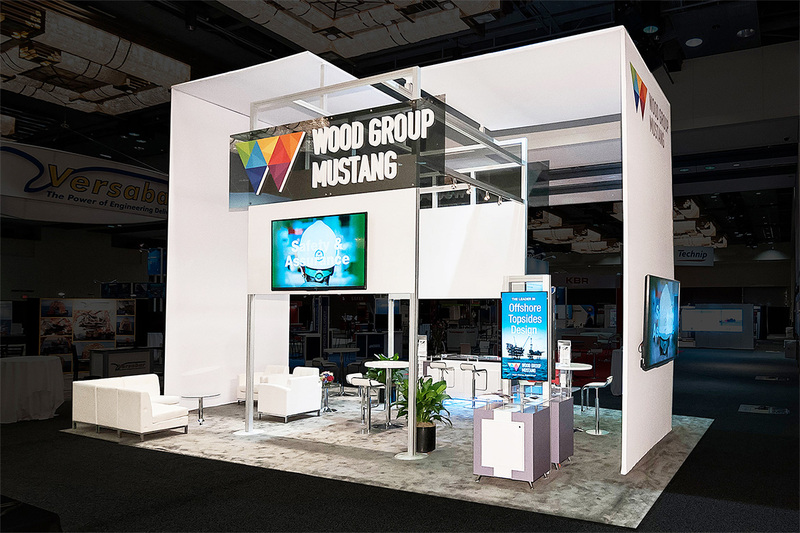 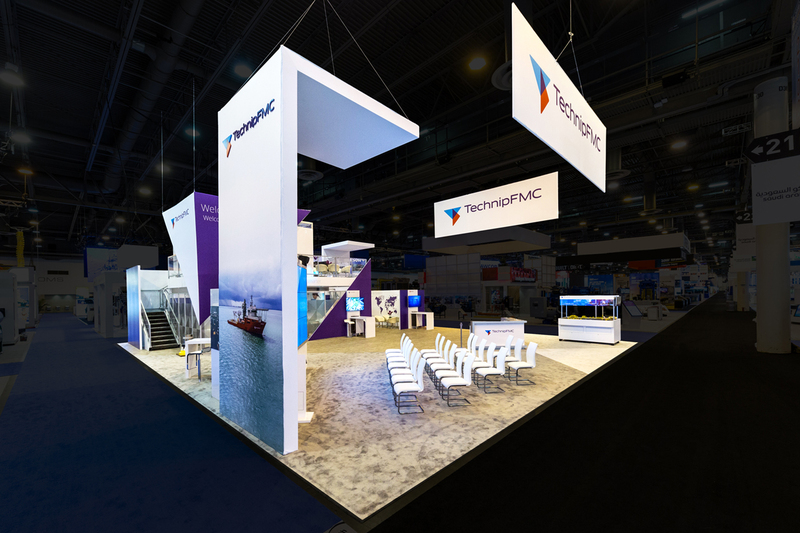 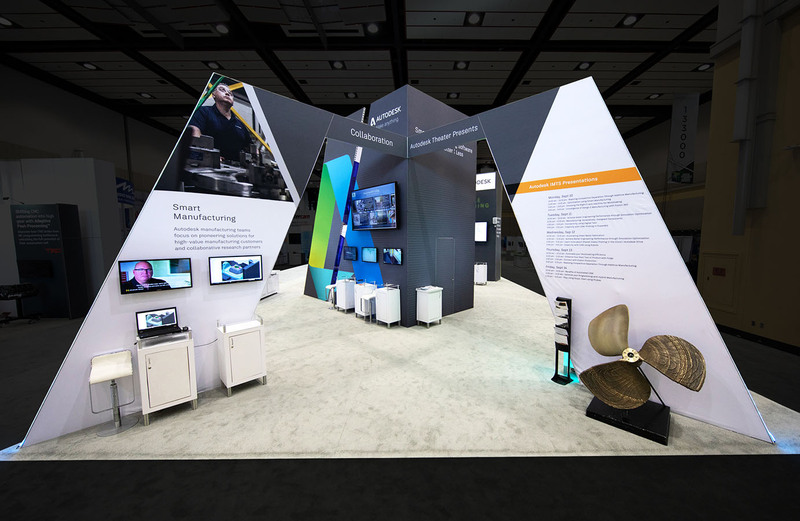 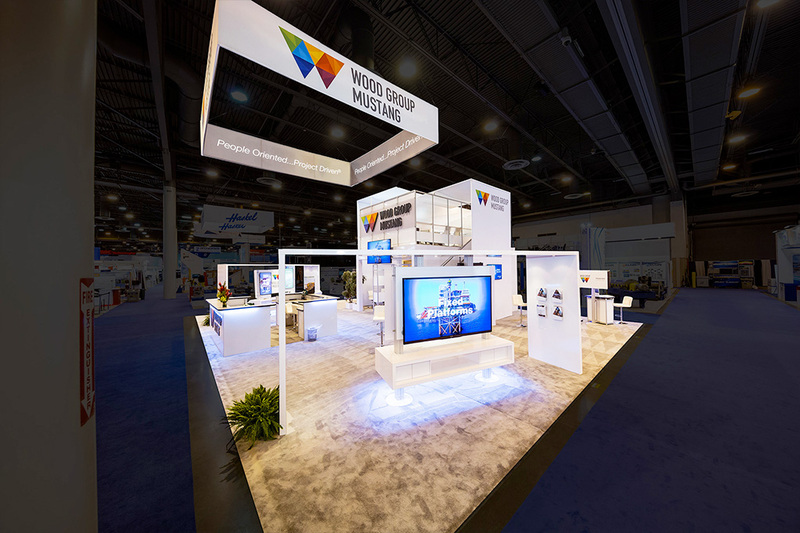 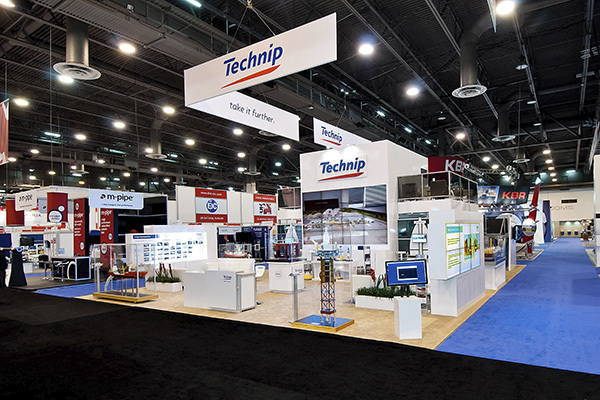 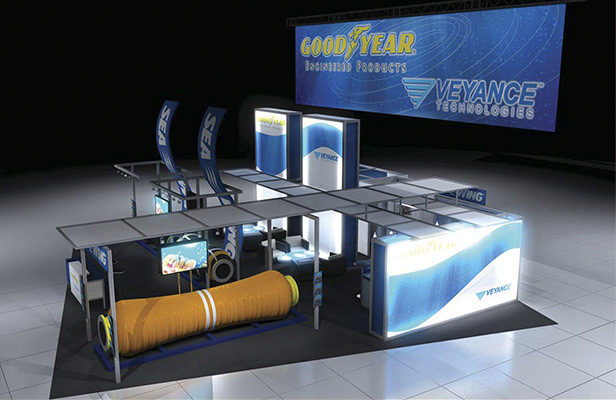 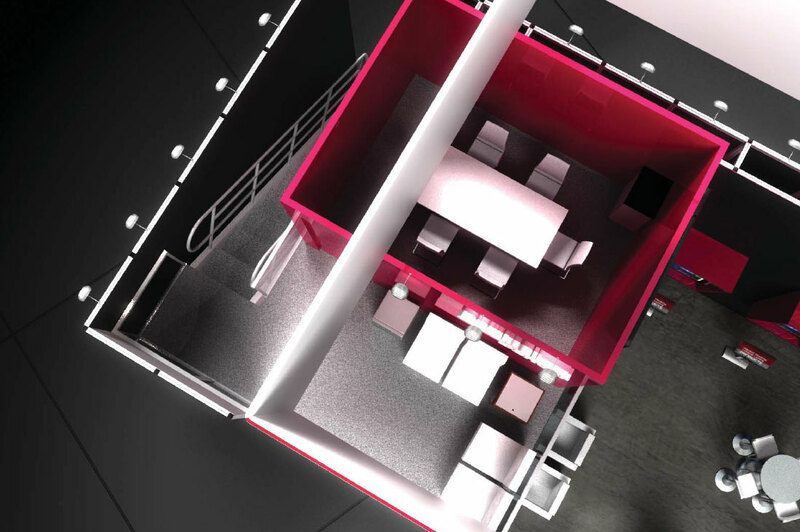 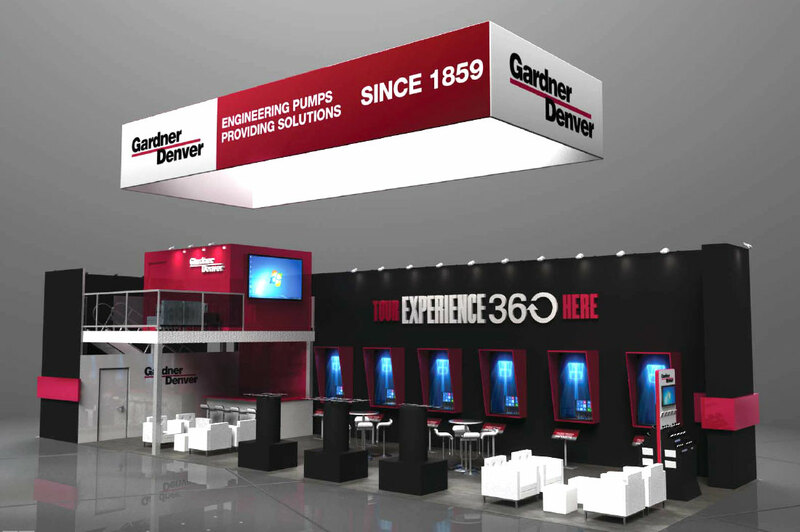 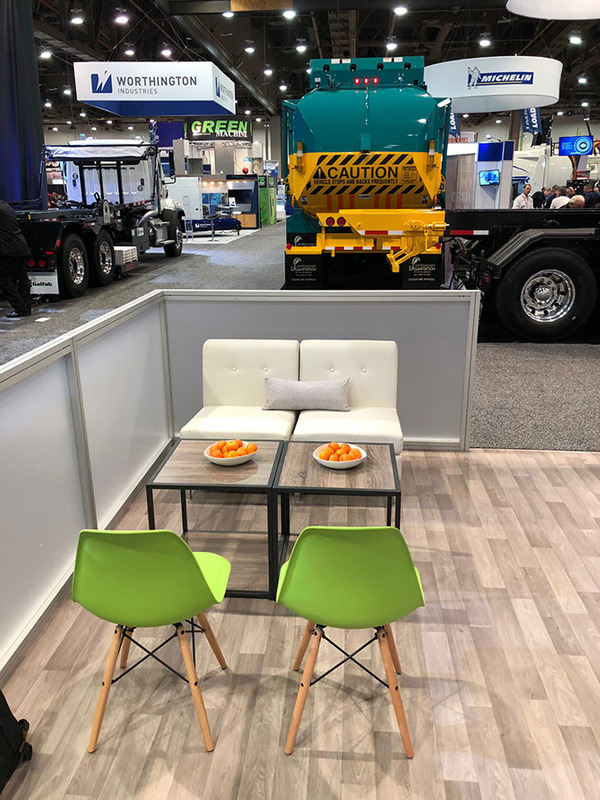 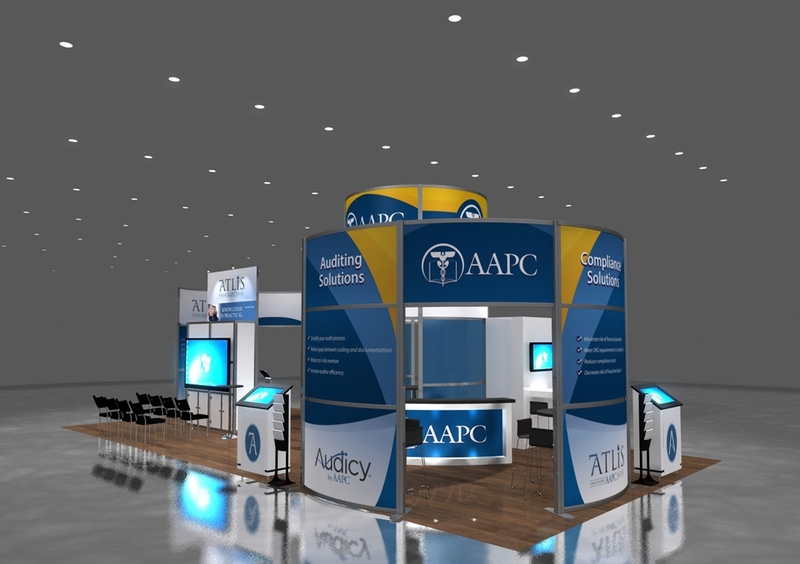 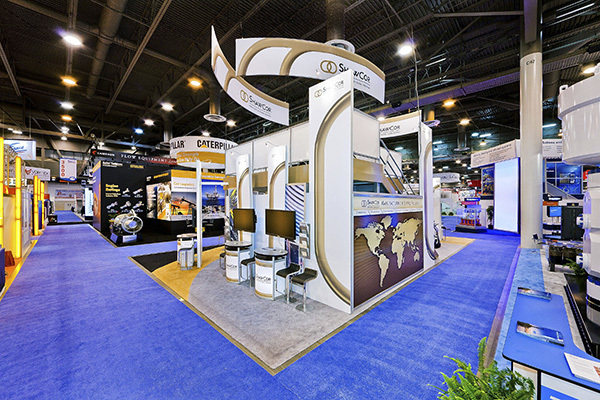 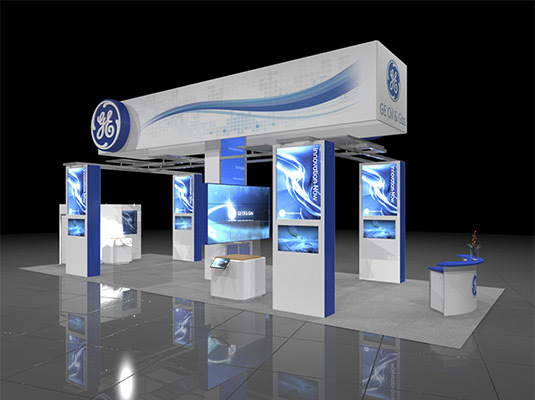 Distinctive and unique booth and construction design. 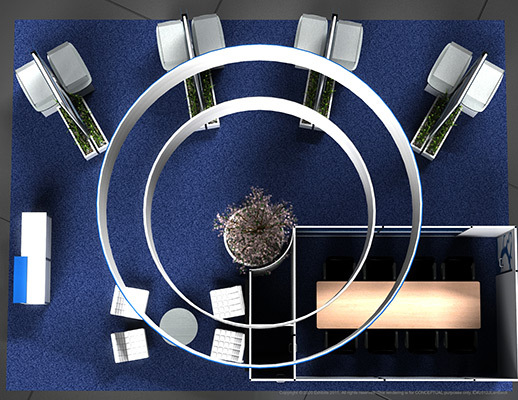 Structured design elements and custom-designed flooring path leads attendees inward, along a curved, deliberate track. 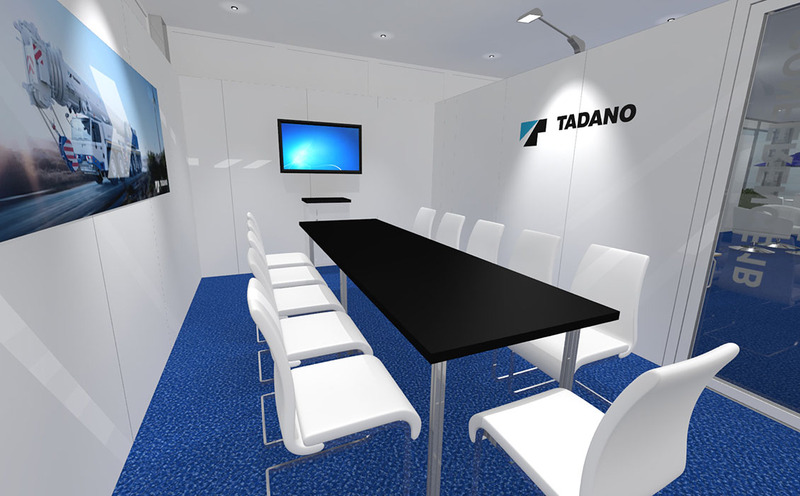 Video wall, and several stations provide ample amounts of information to browse with plenty of room available for meetings and conversation. 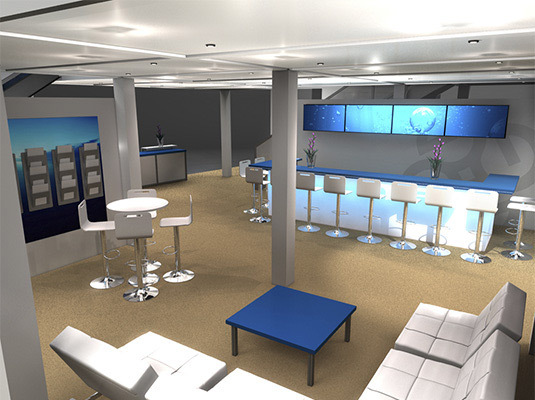 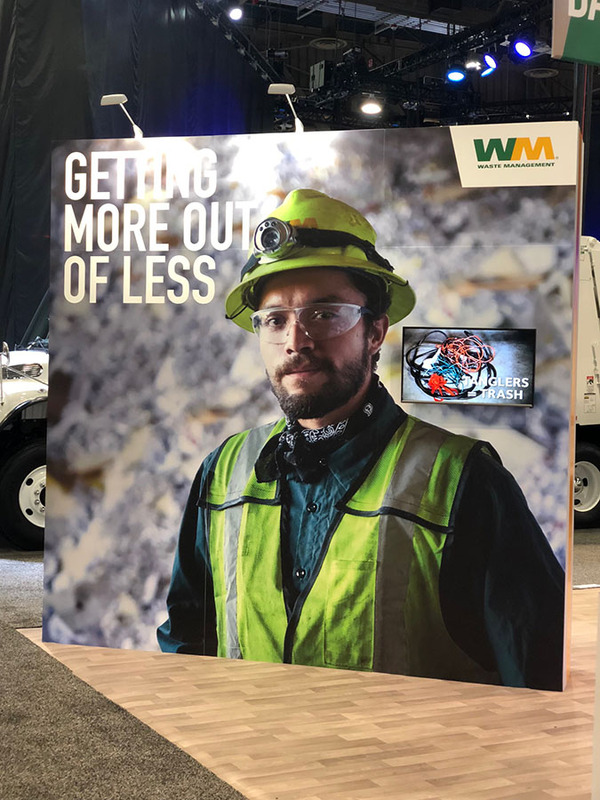 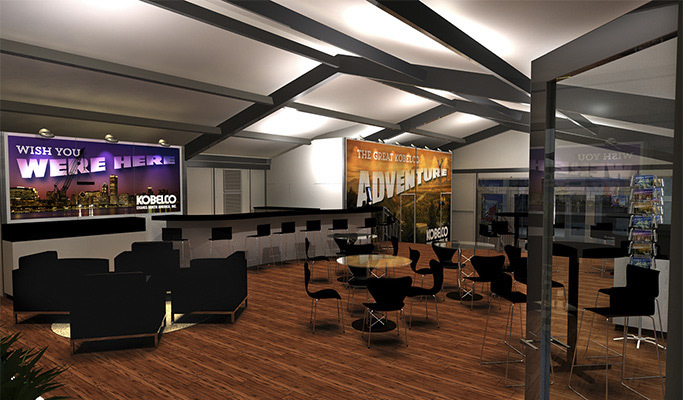 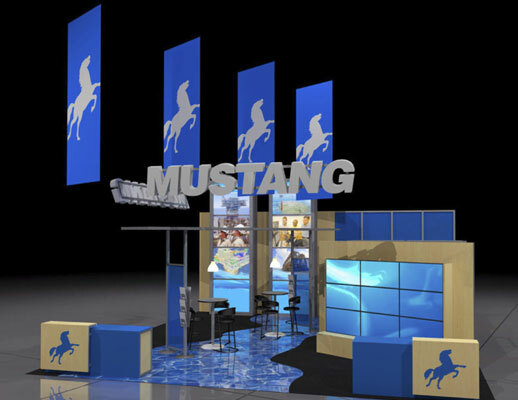 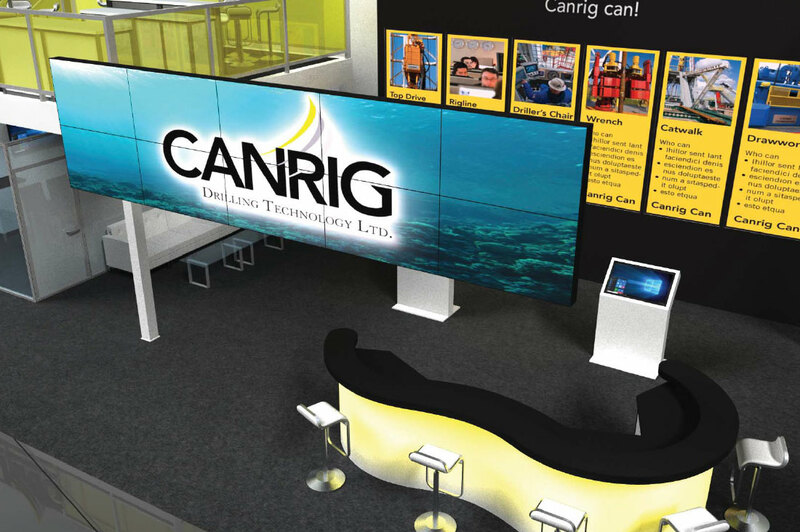 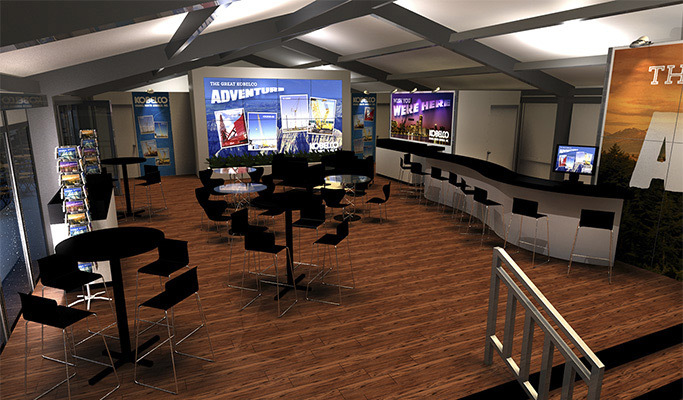 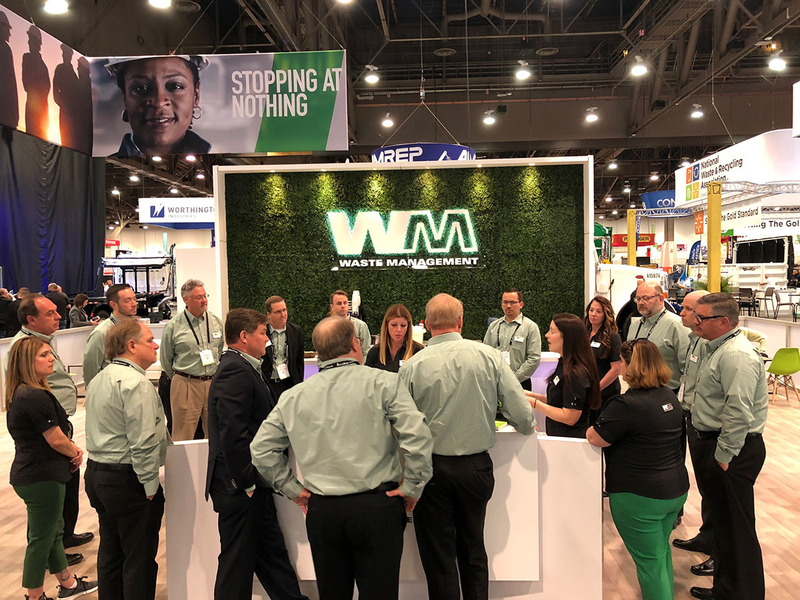 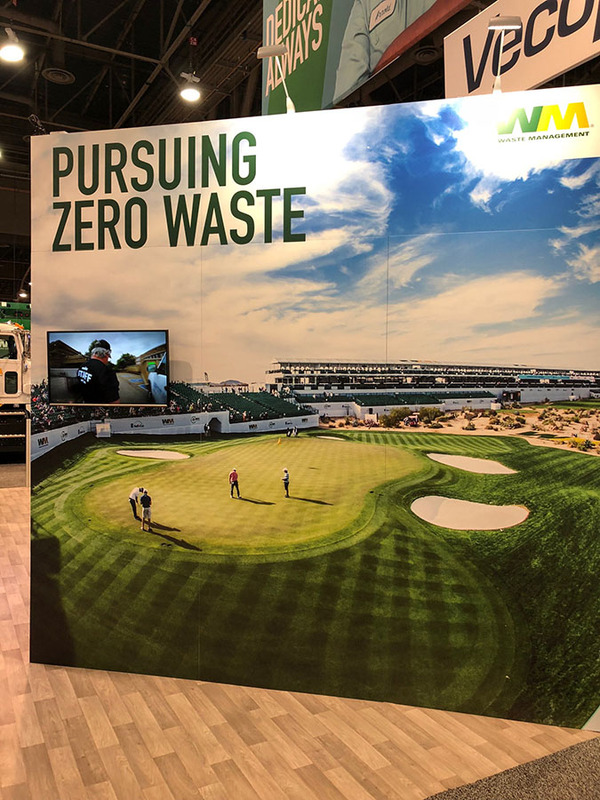 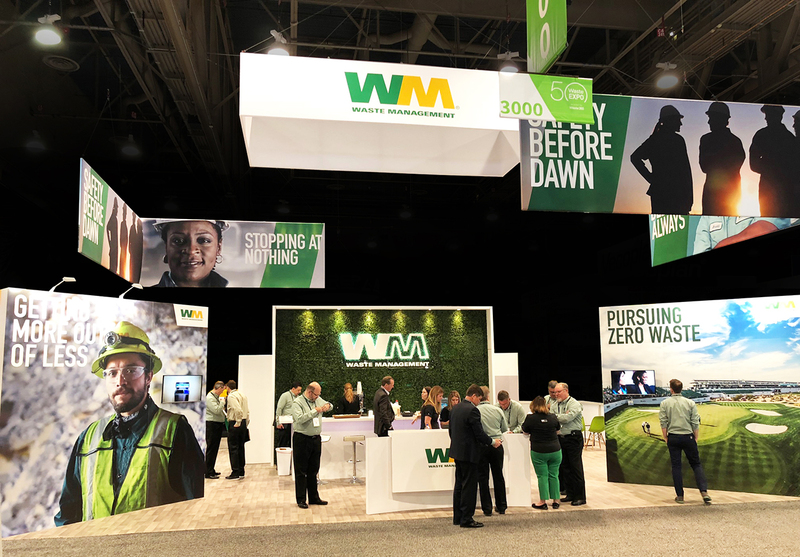 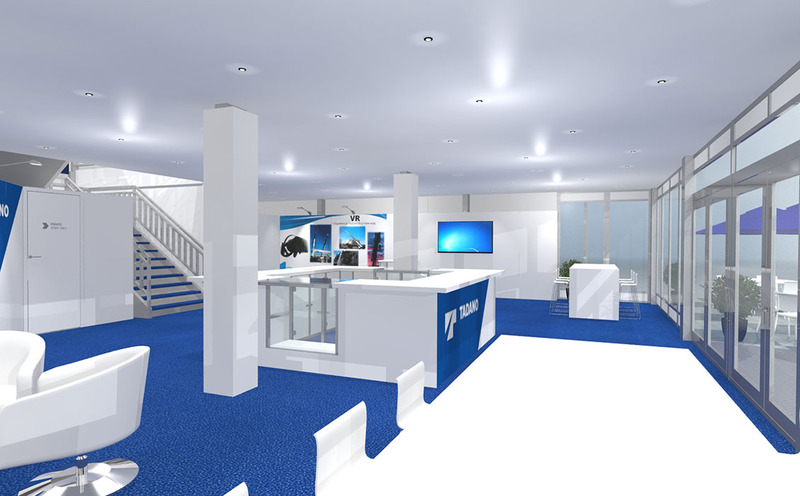 Features include: themed design, video wall, four large hanging graphic signs, dimensional logo, literature kiosks, information displays, open meeting areas, lounges, backlit graphic walls, overhead lighting, reception area, water theme curved path in ground and private meeting area.